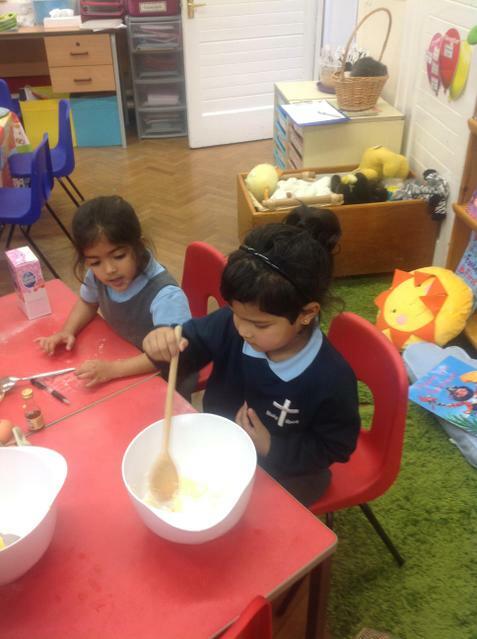 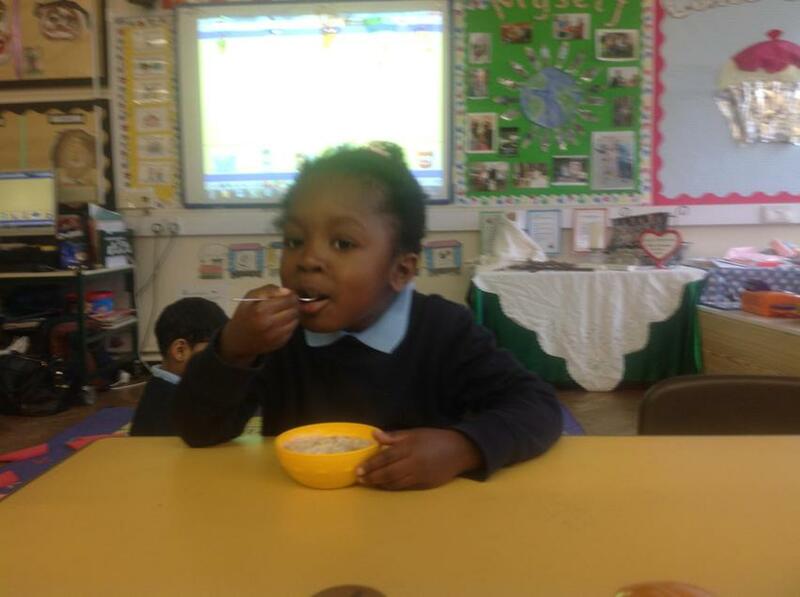 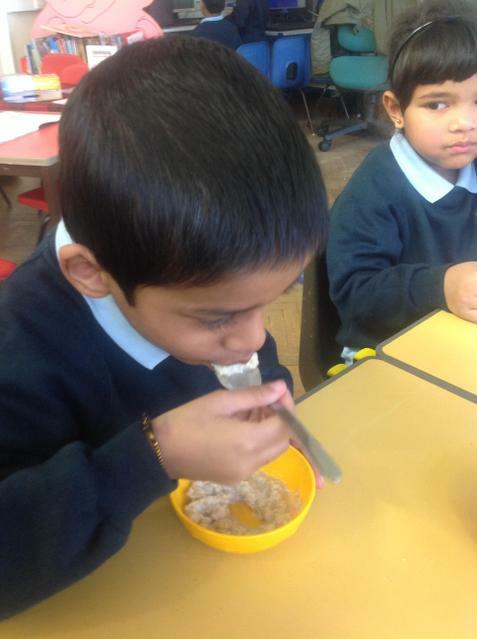 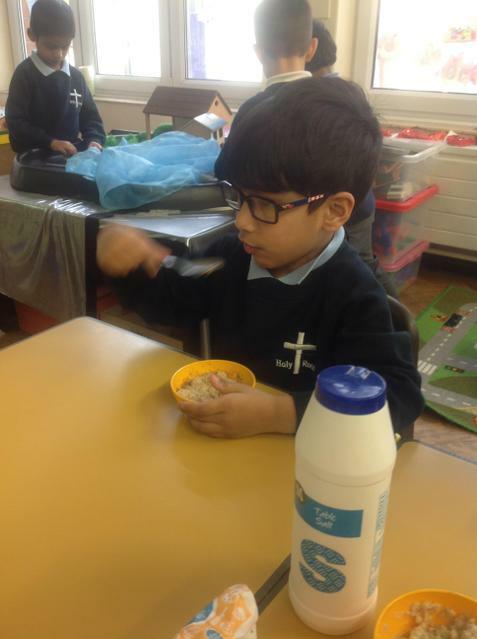 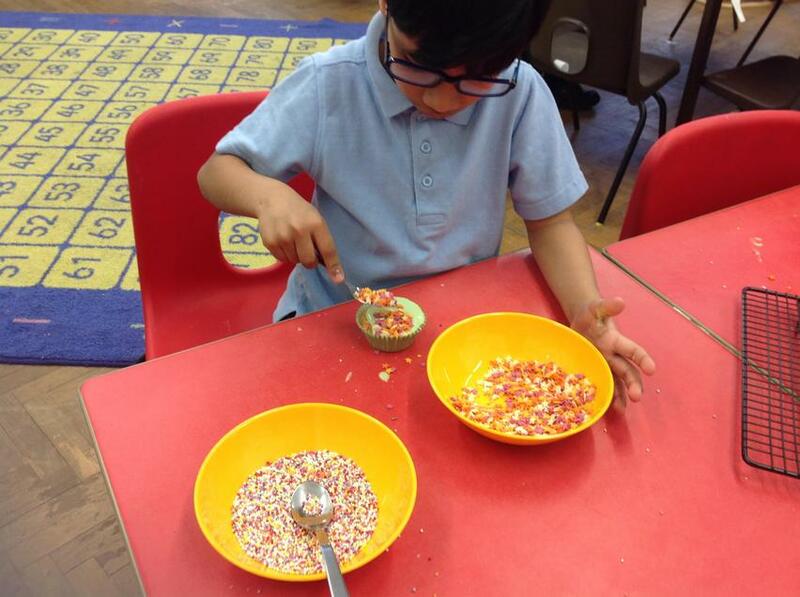 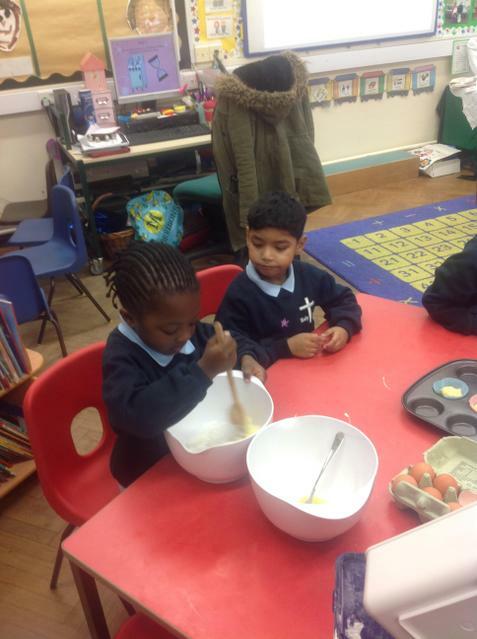 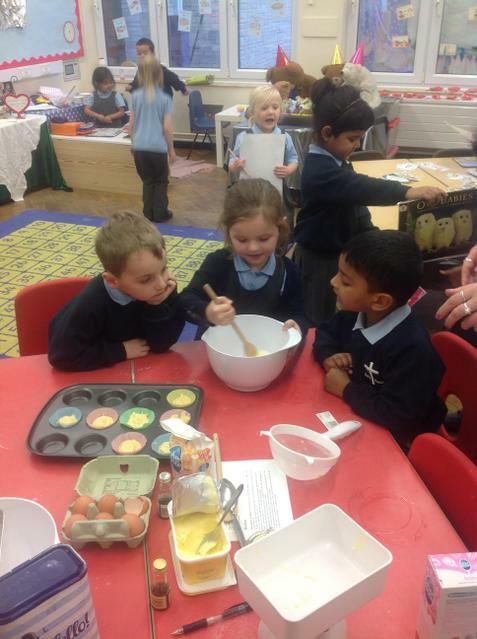 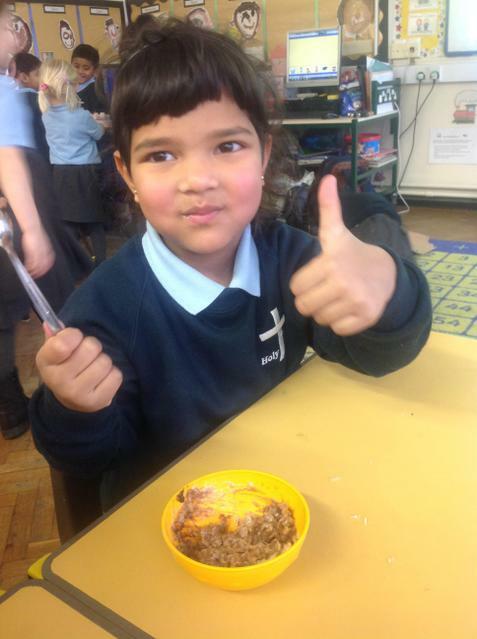 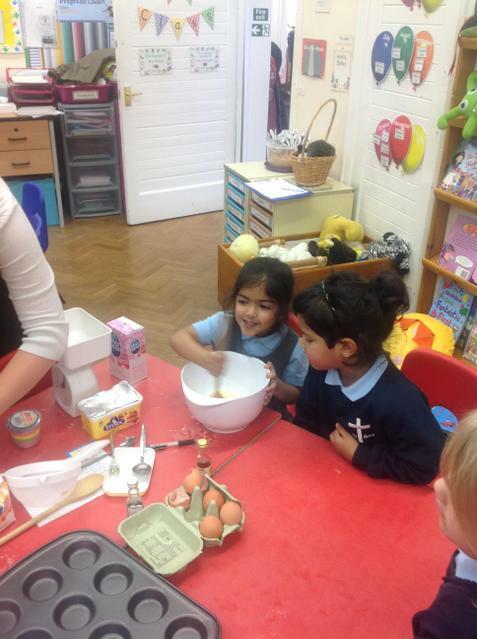 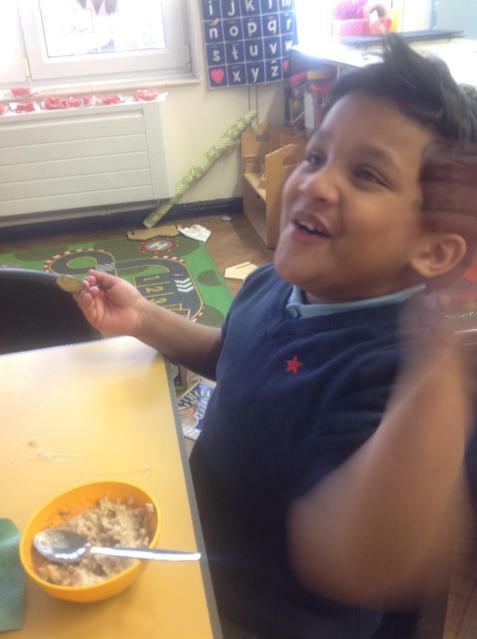 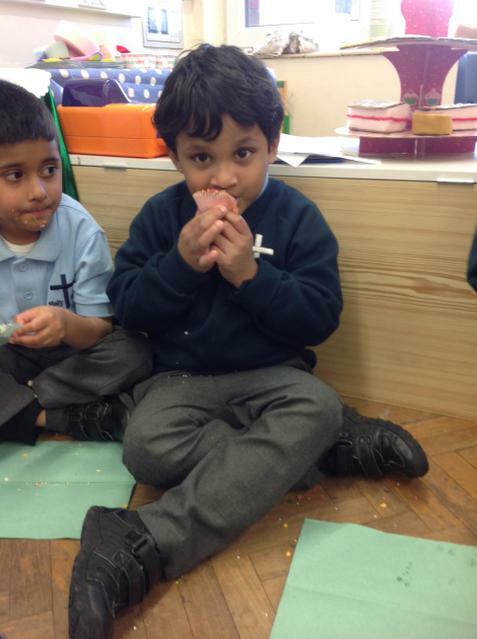 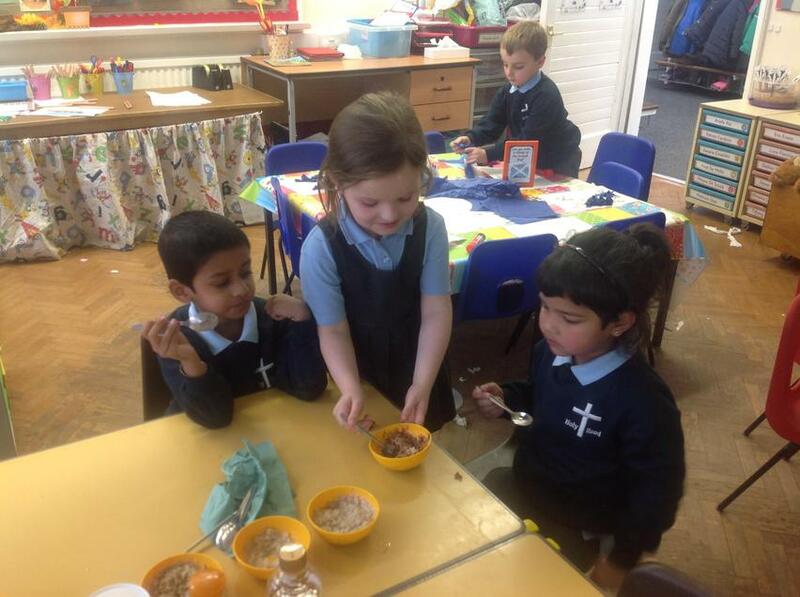 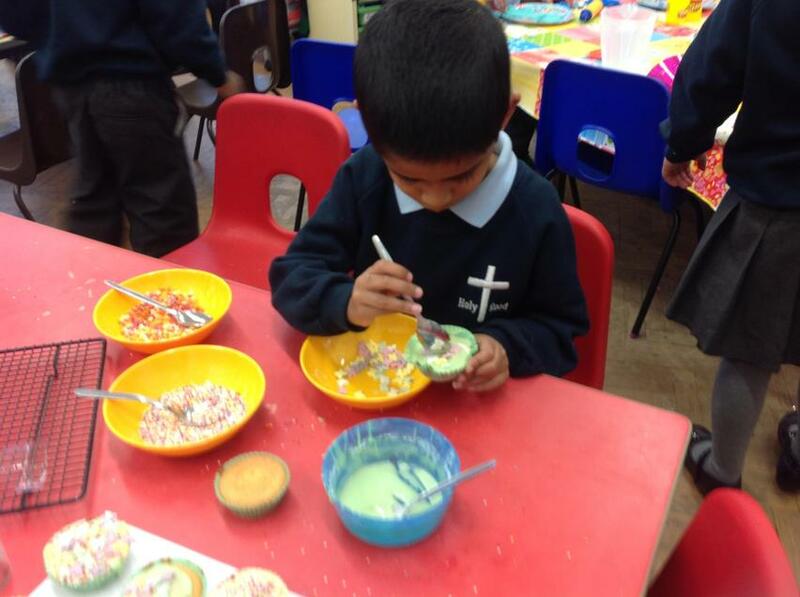 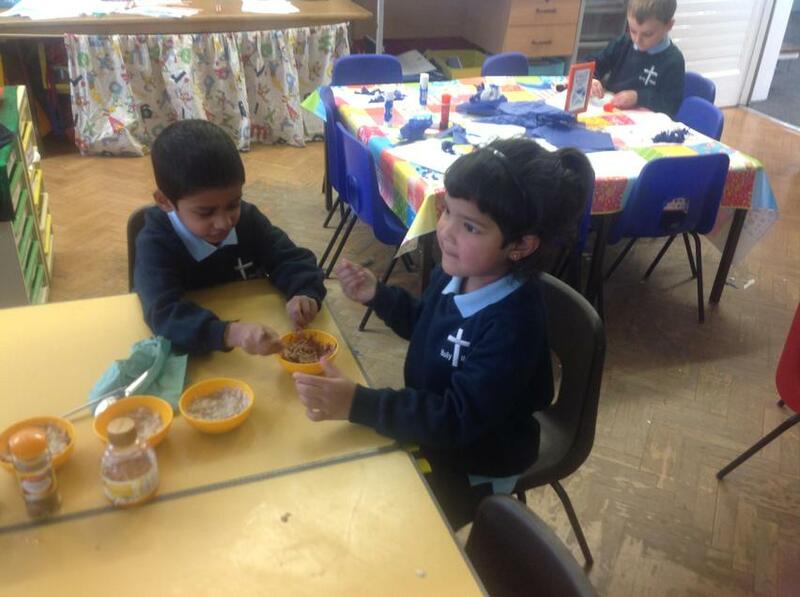 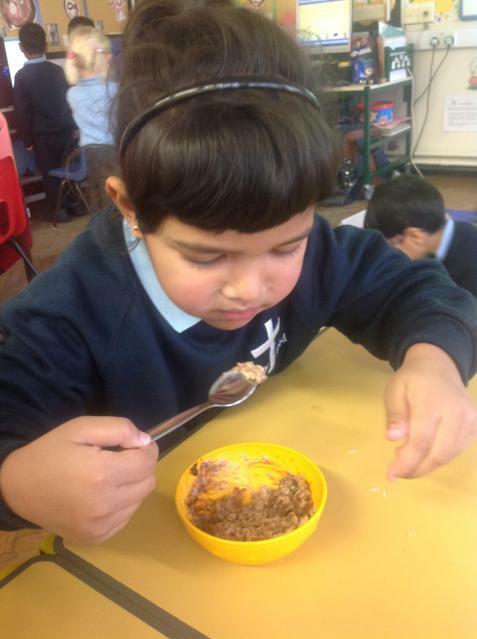 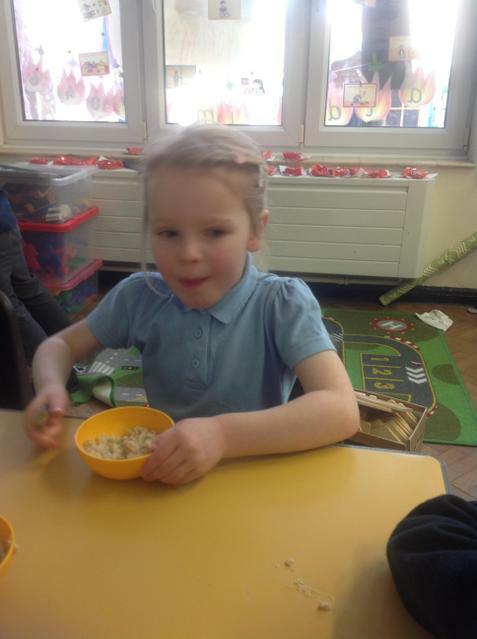 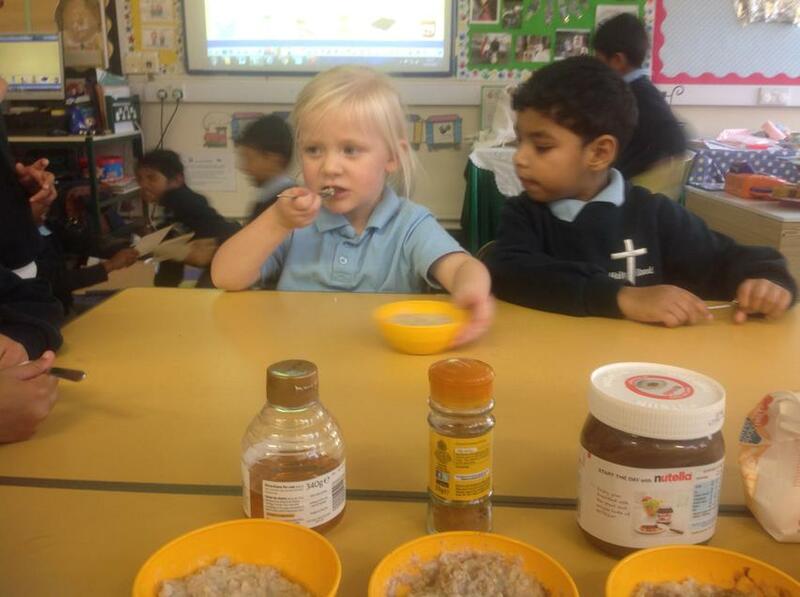 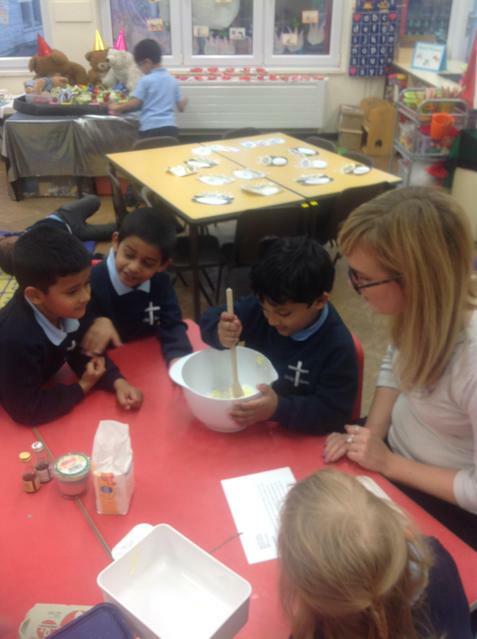 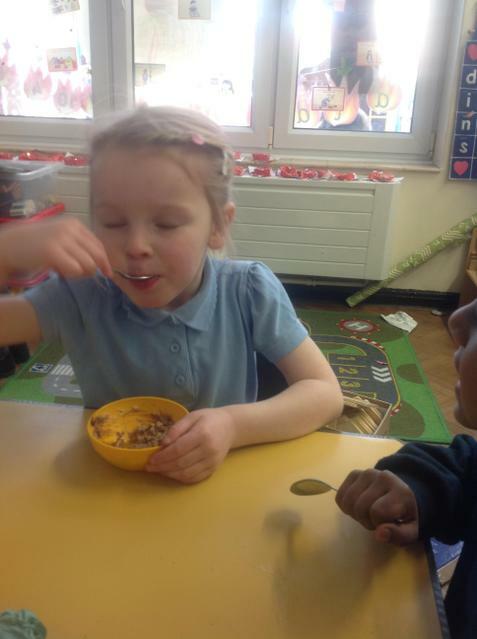 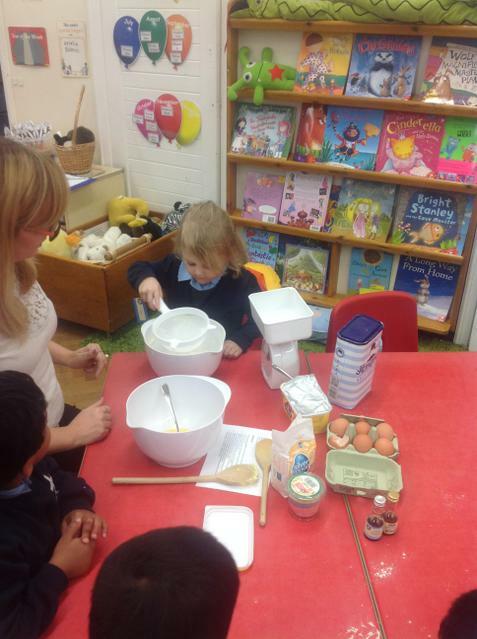 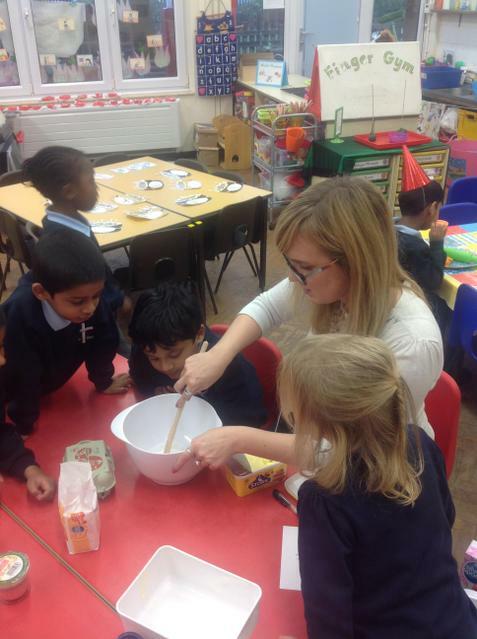 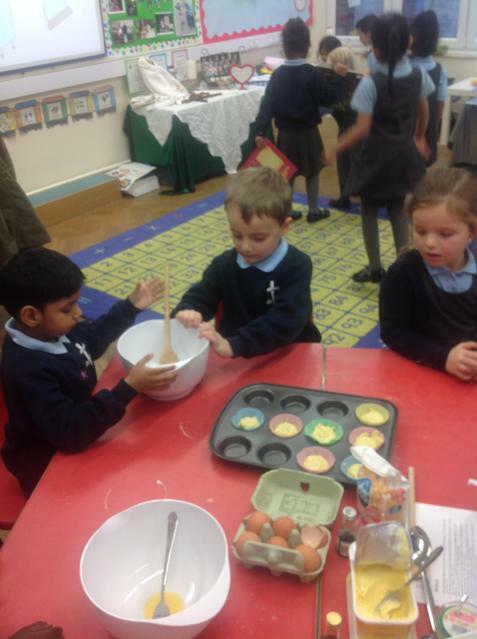 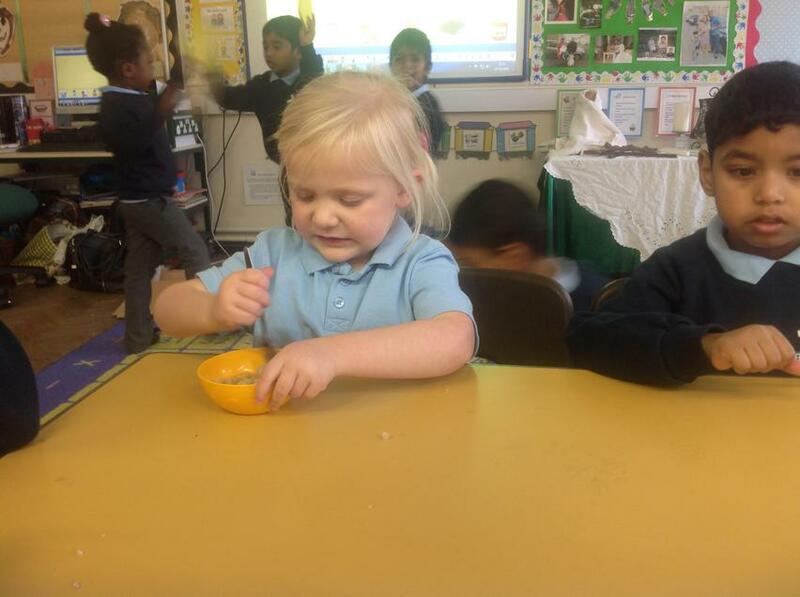 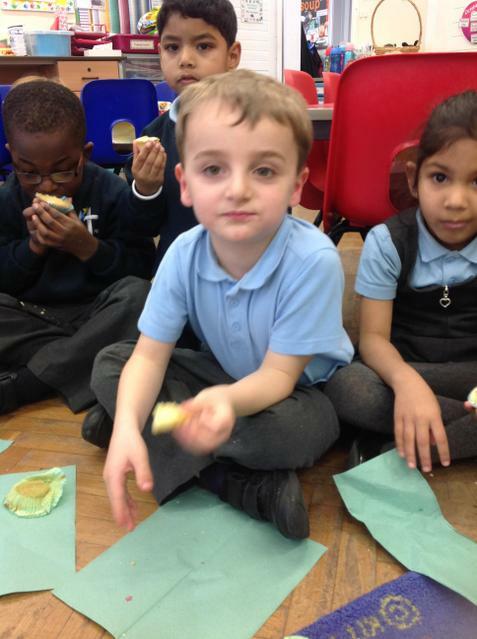 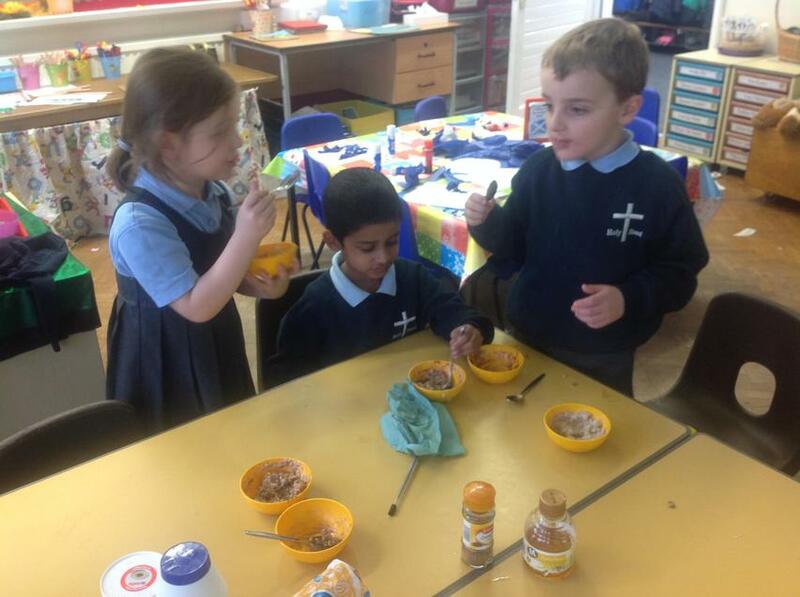 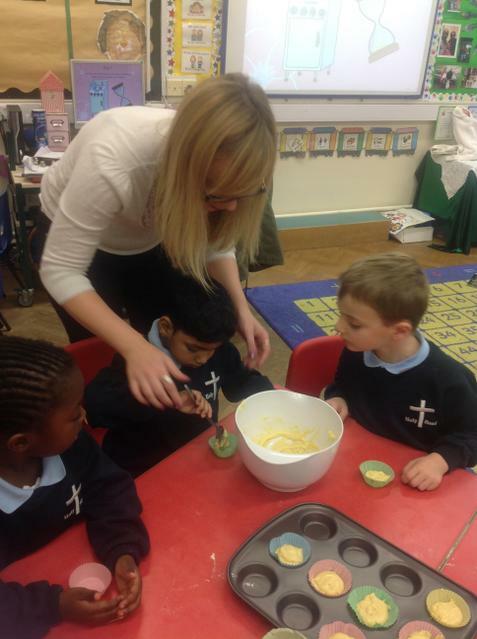 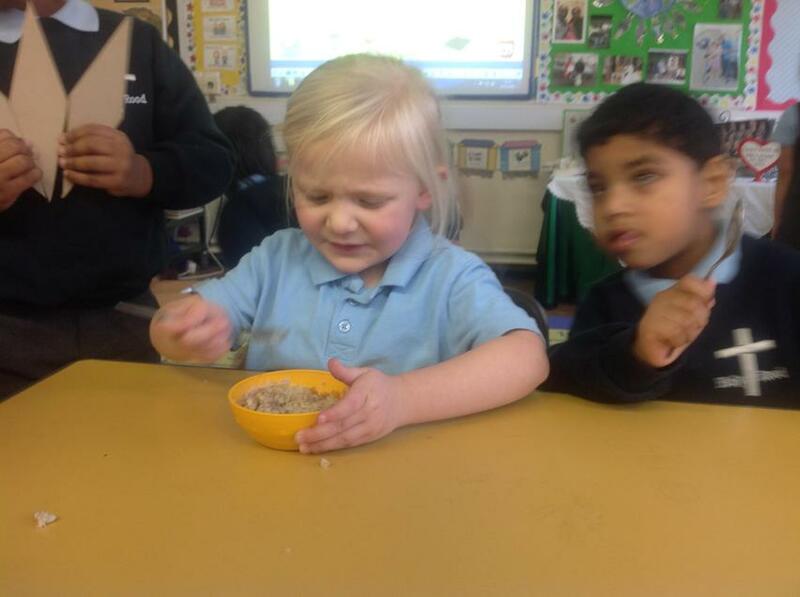 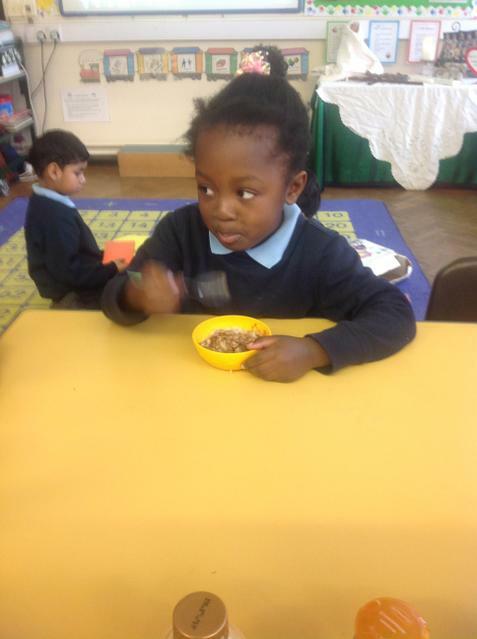 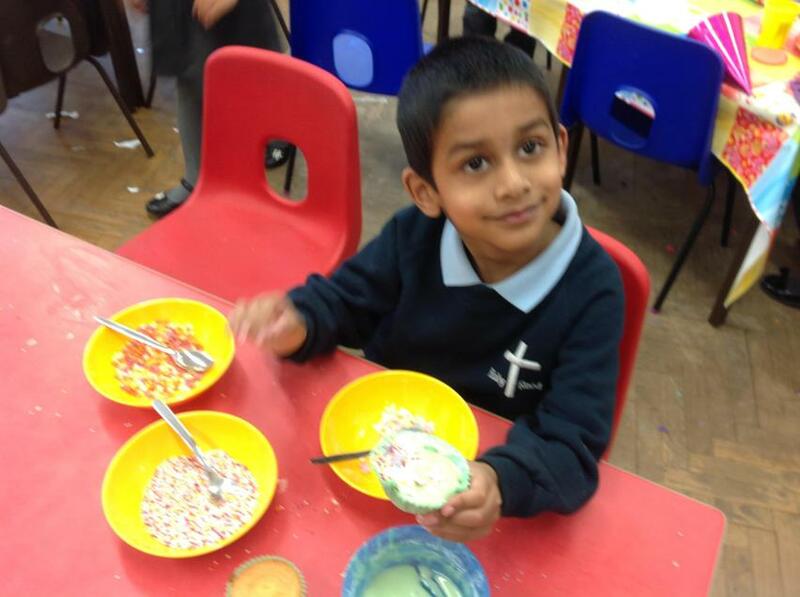 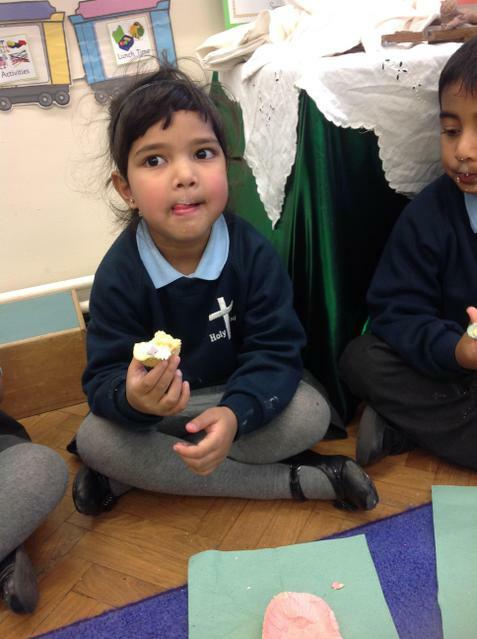 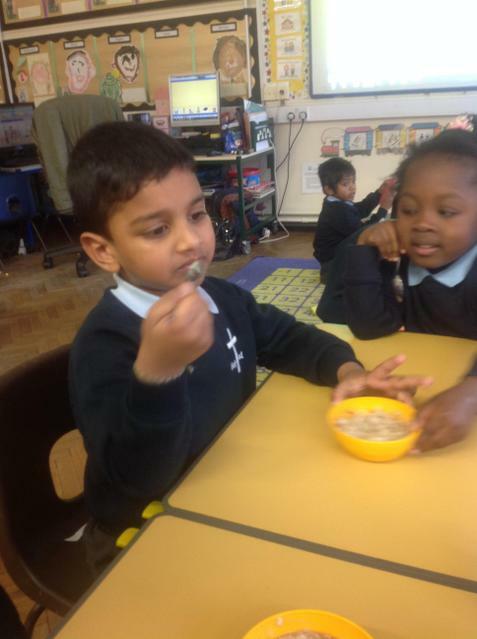 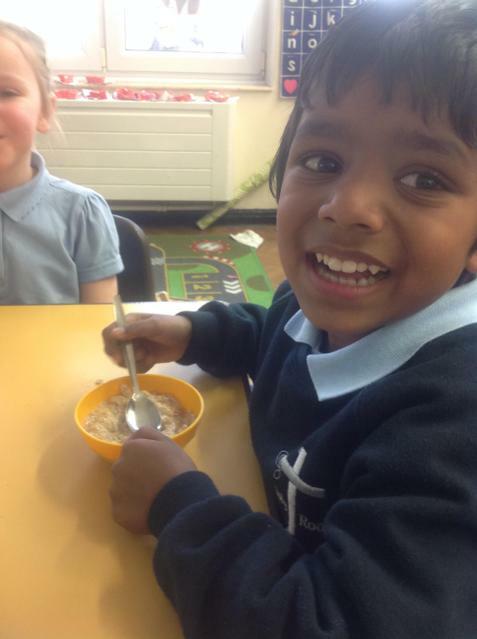 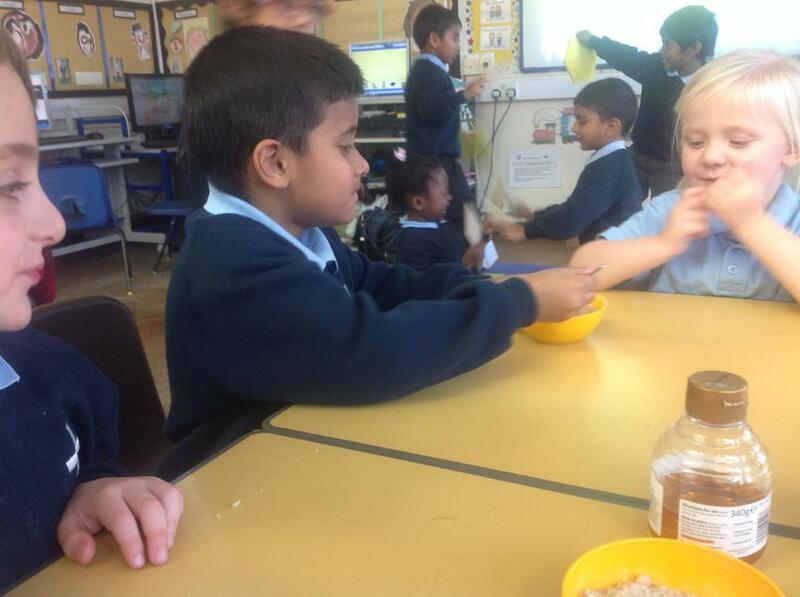 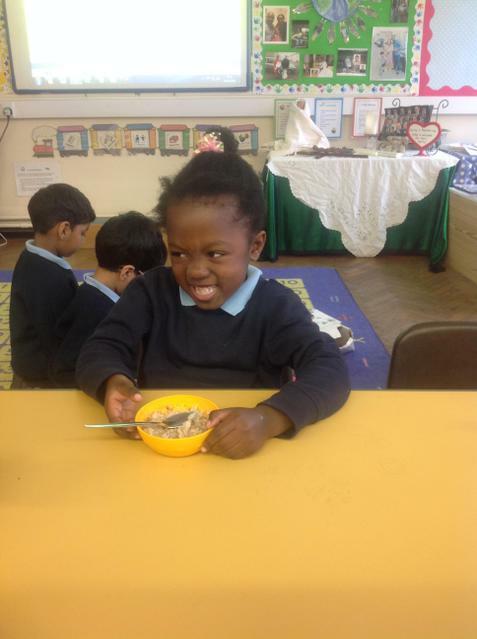 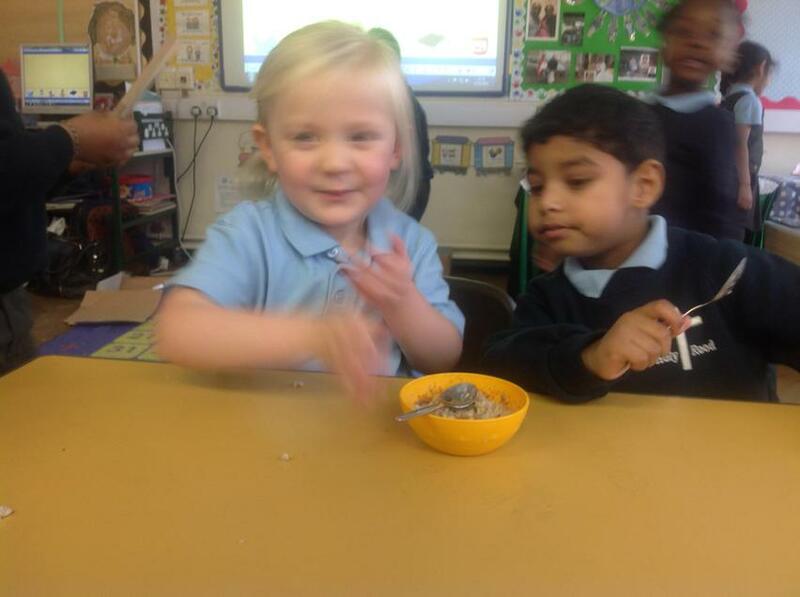 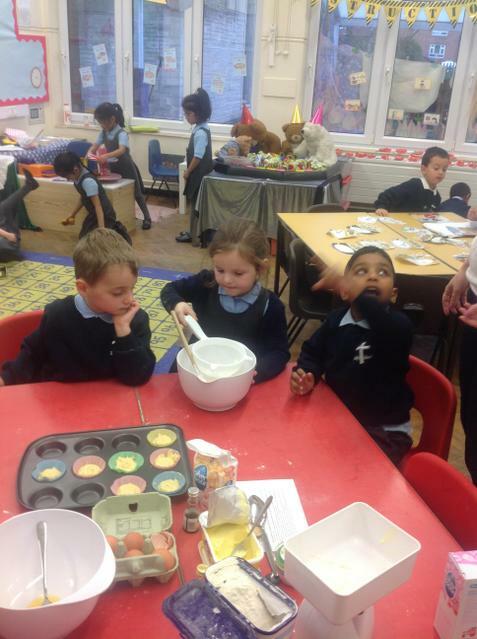 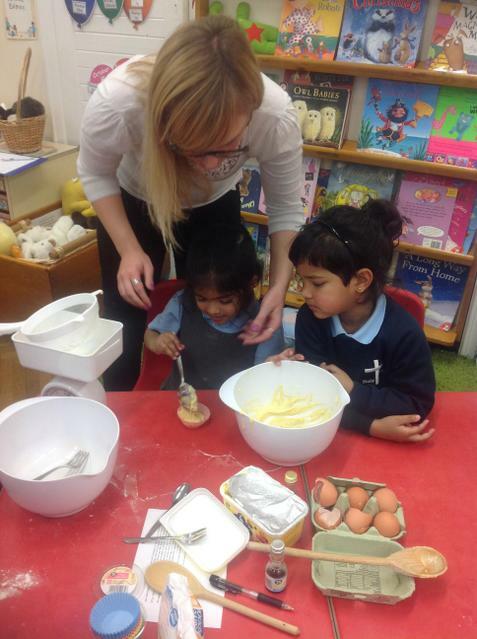 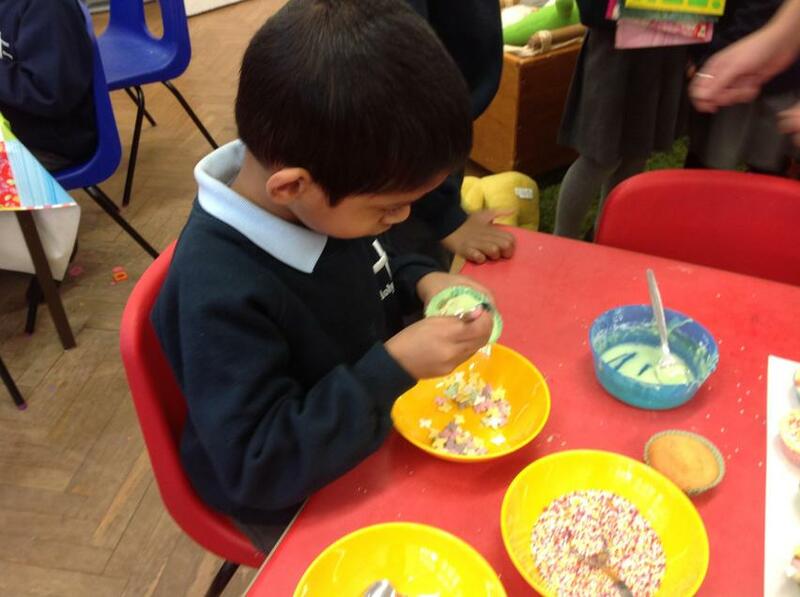 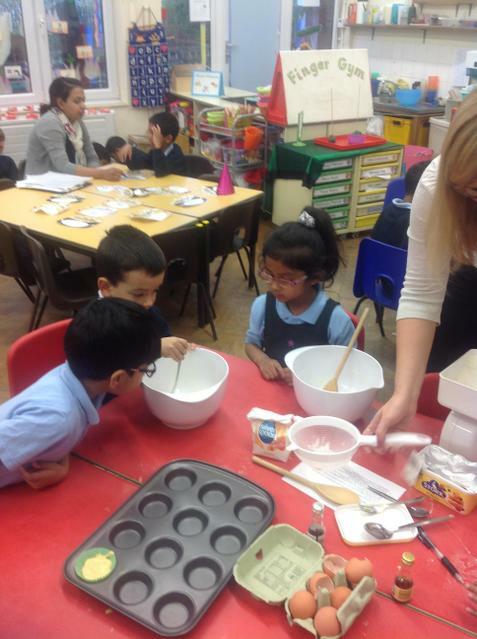 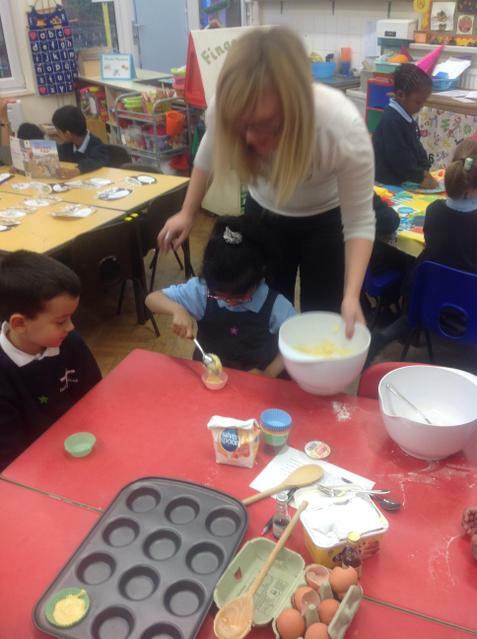 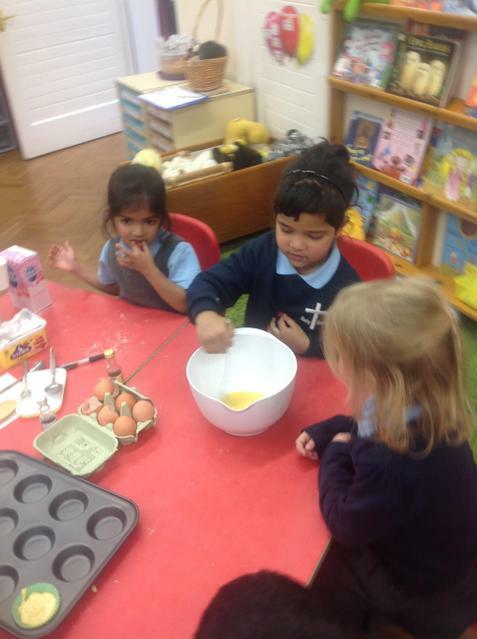 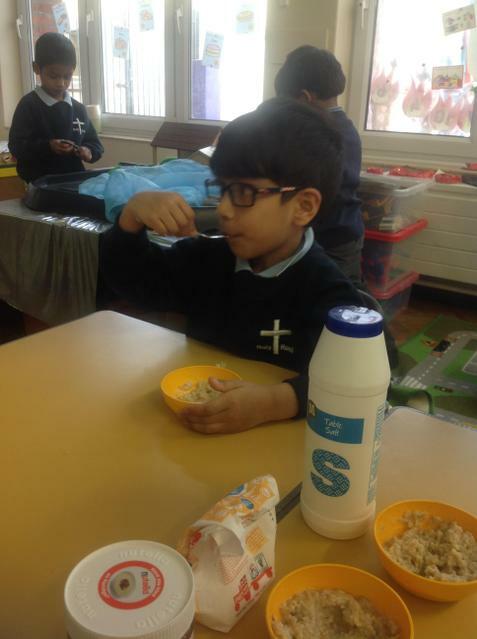 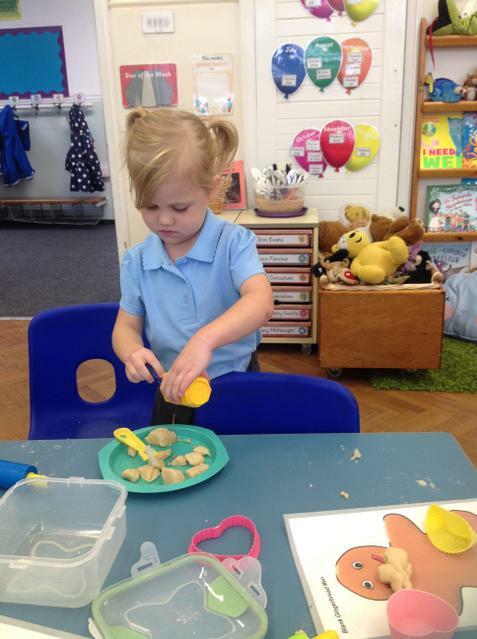 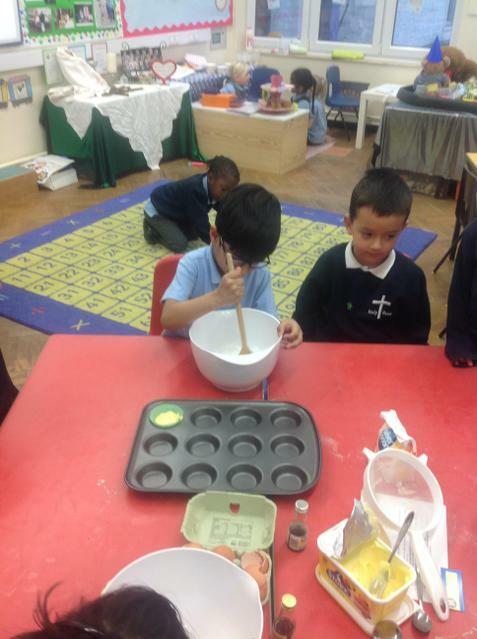 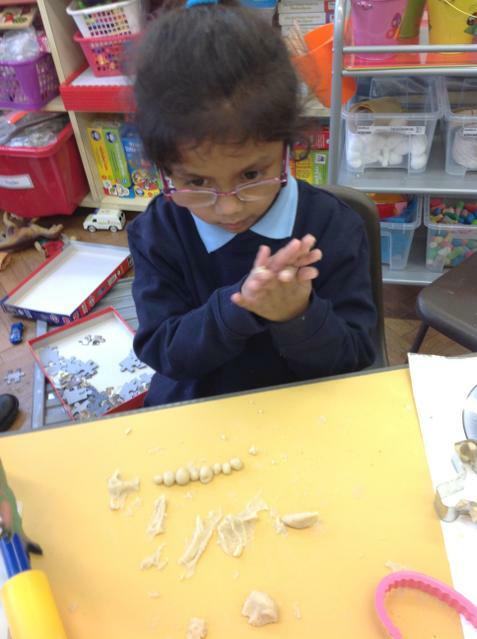 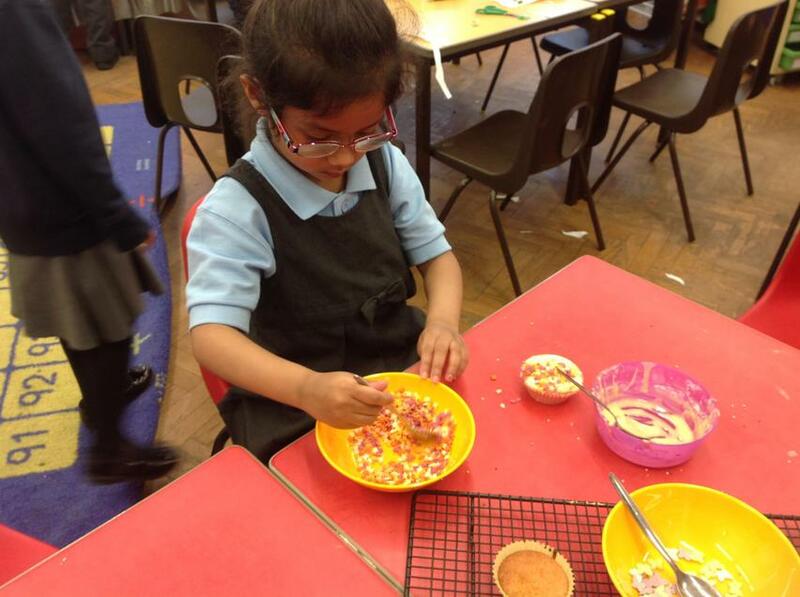 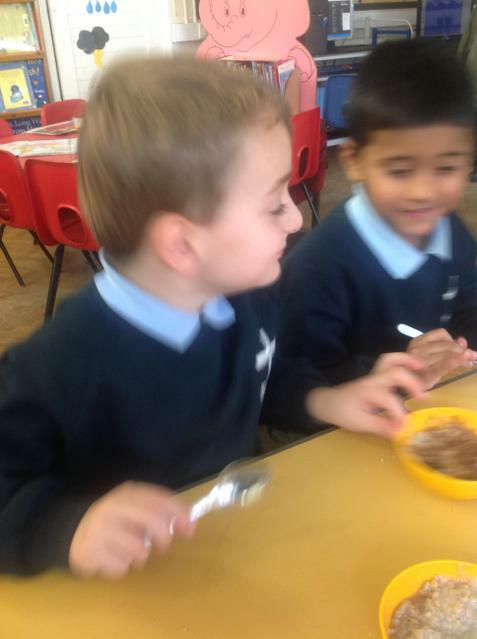 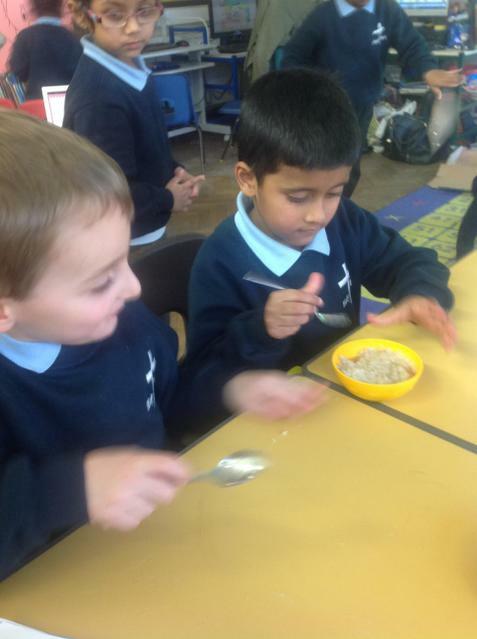 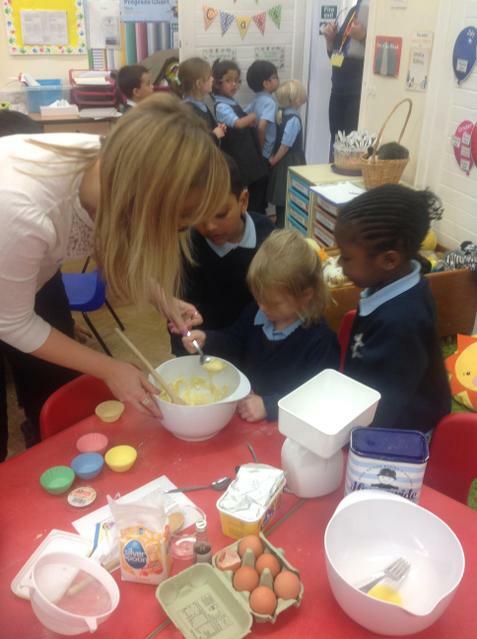 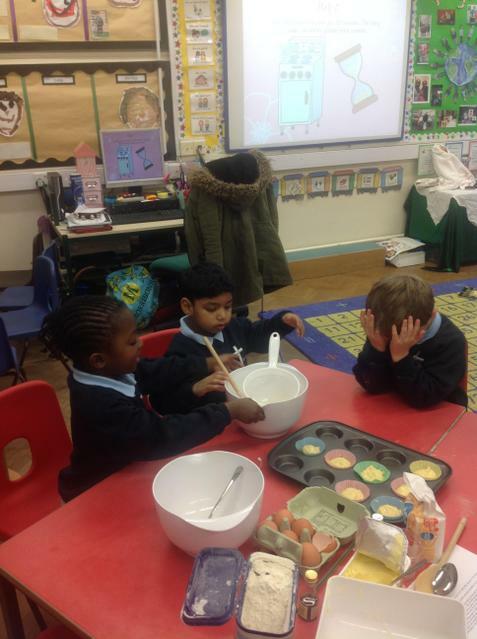 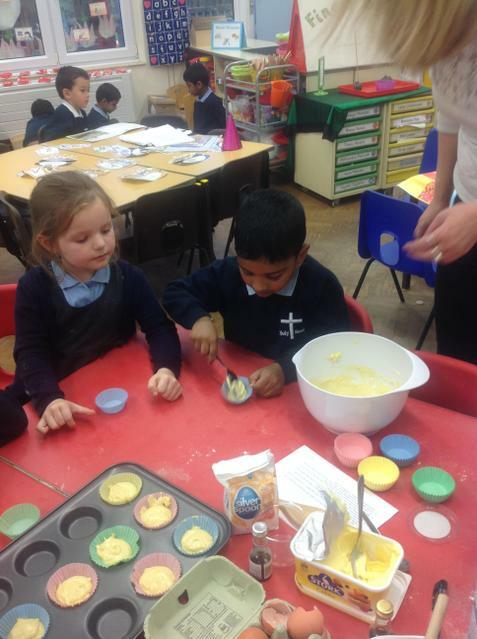 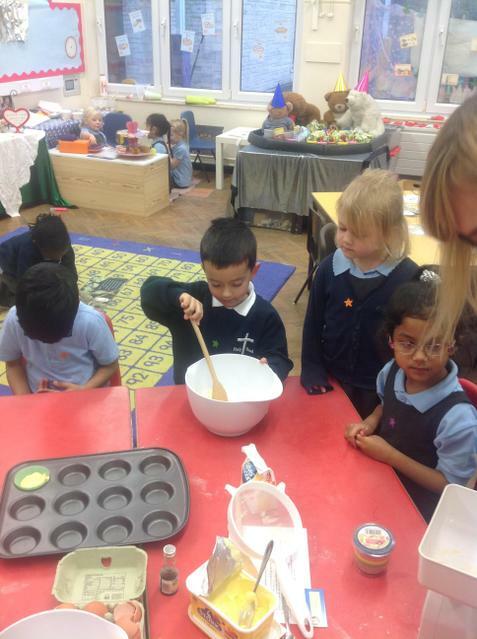 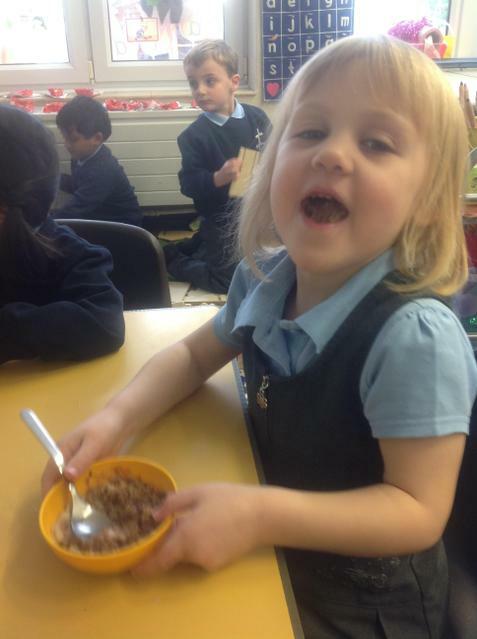 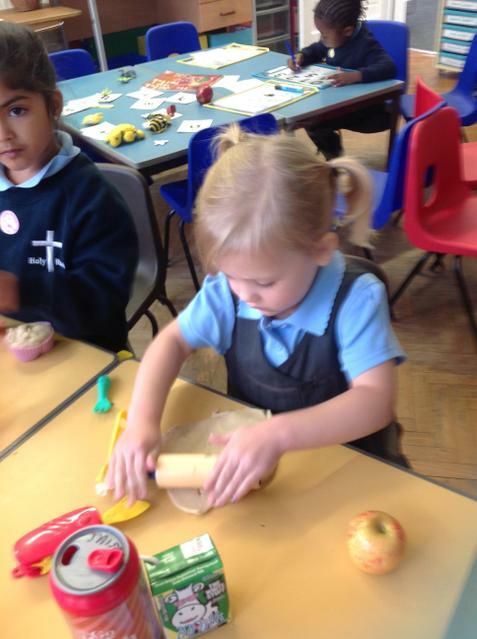 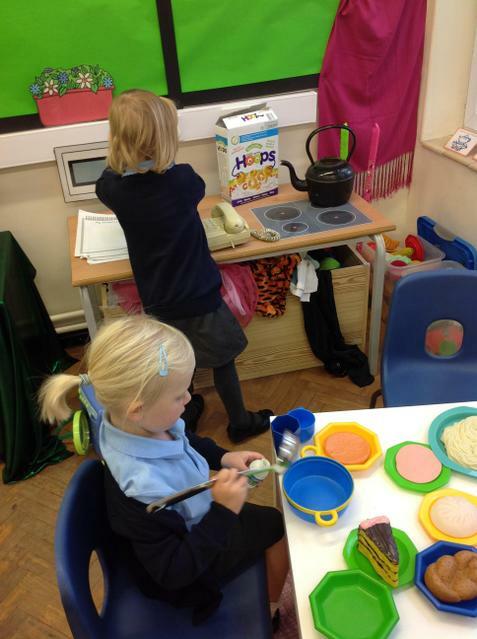 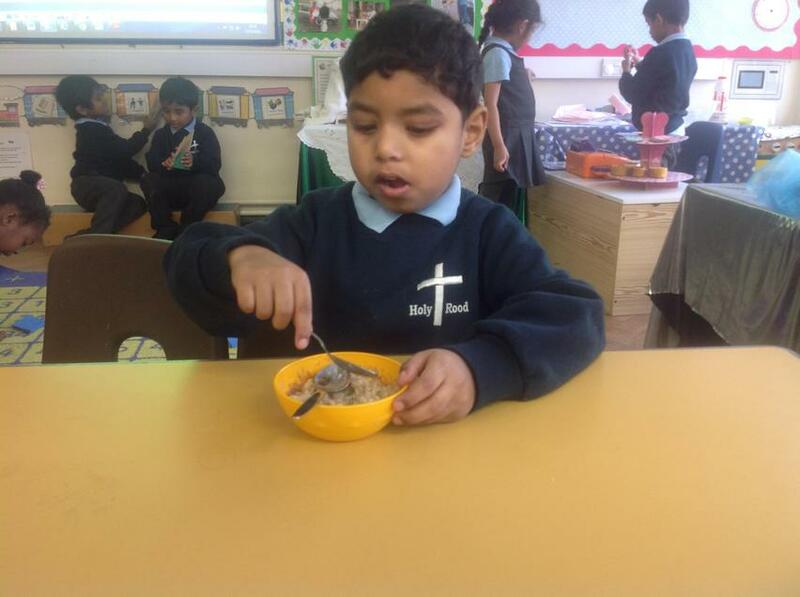 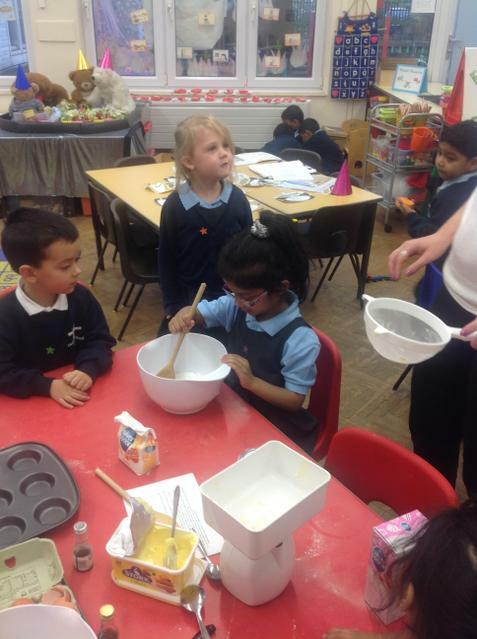 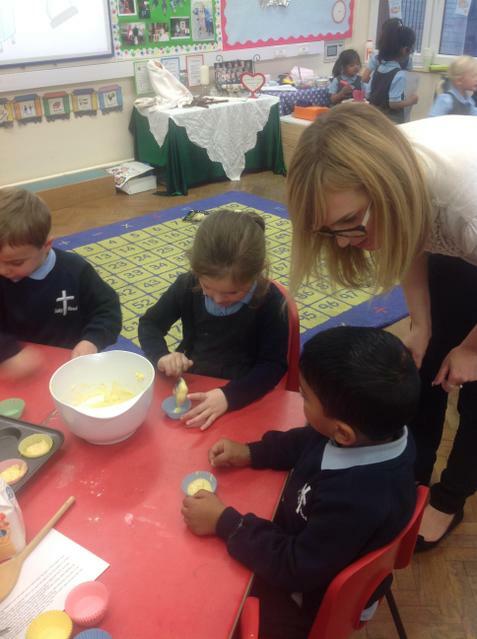 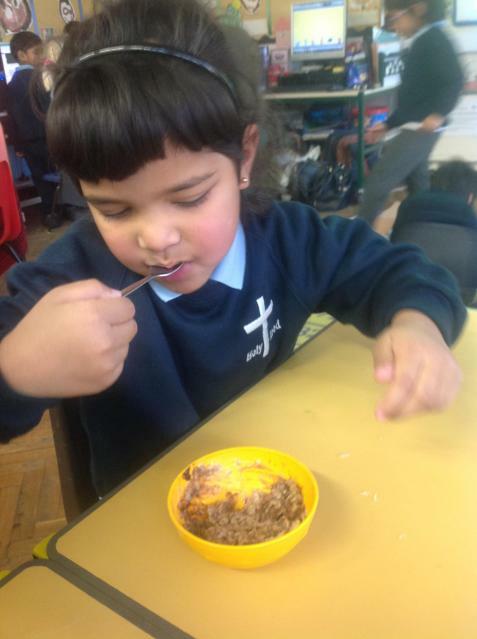 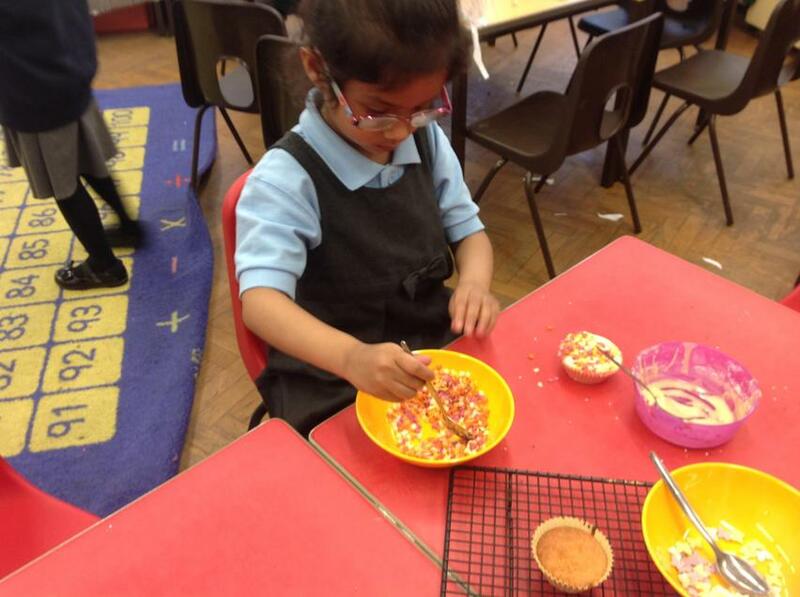 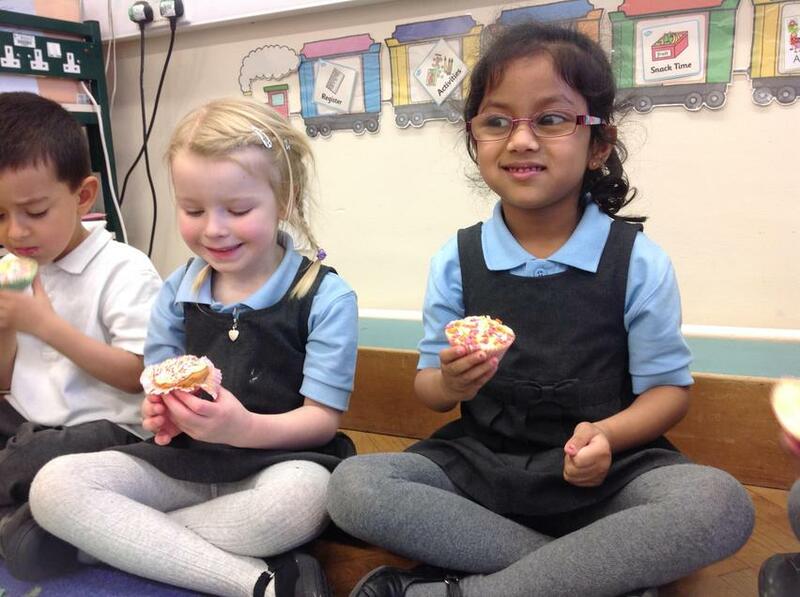 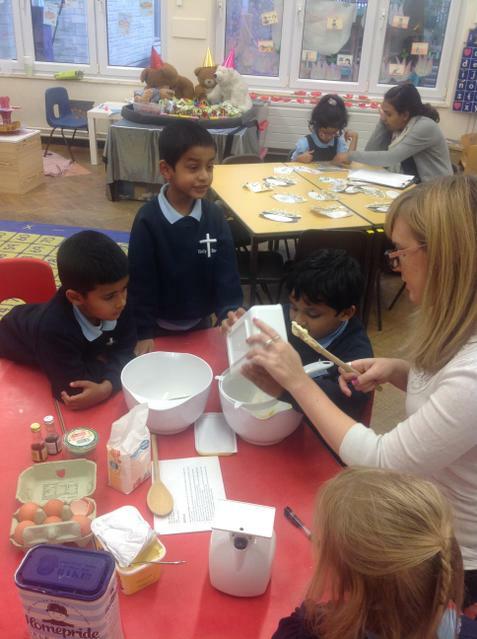 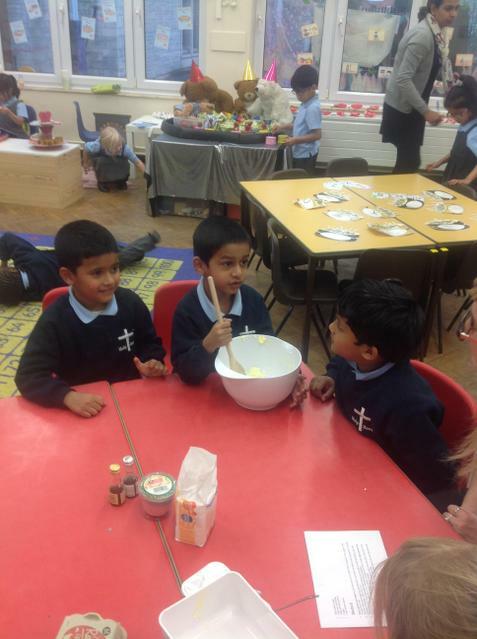 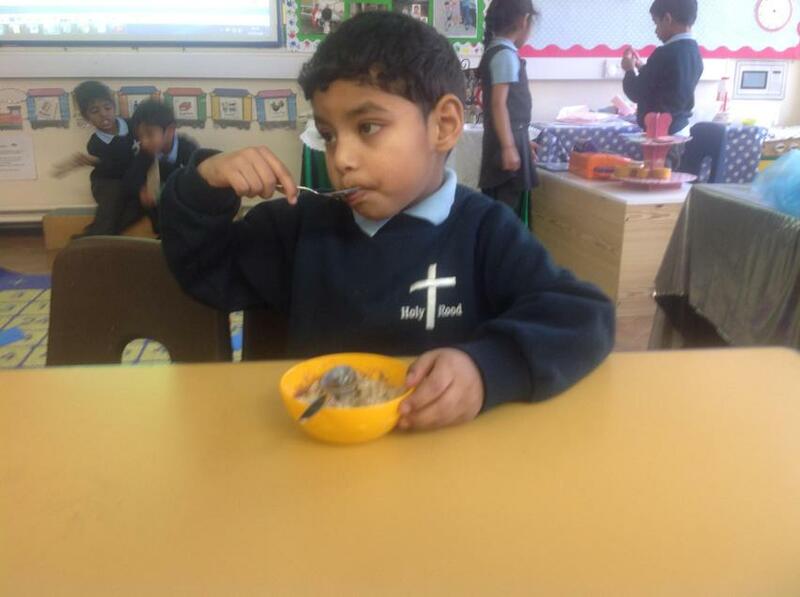 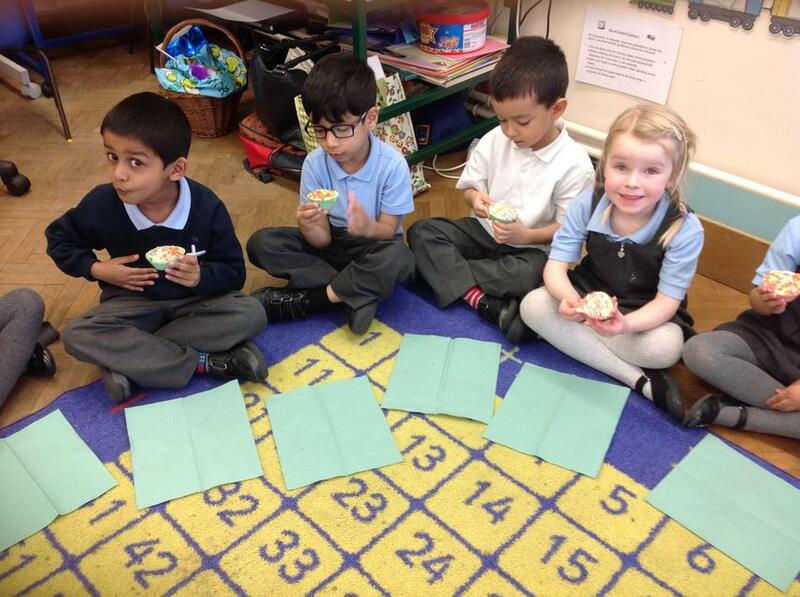 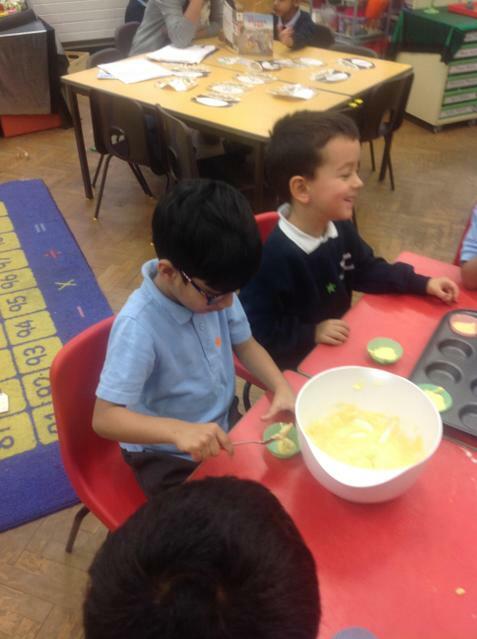 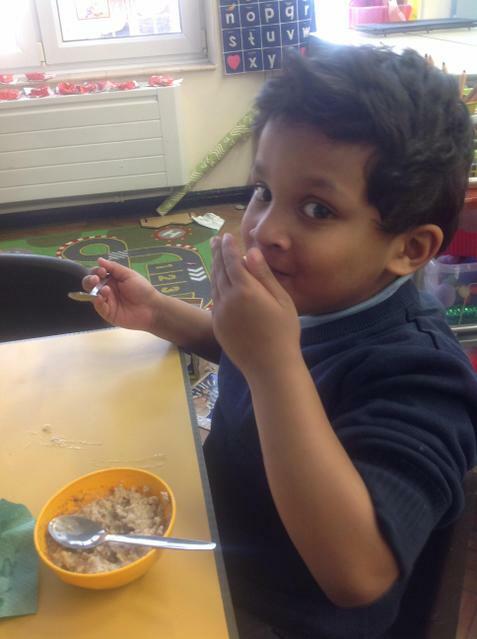 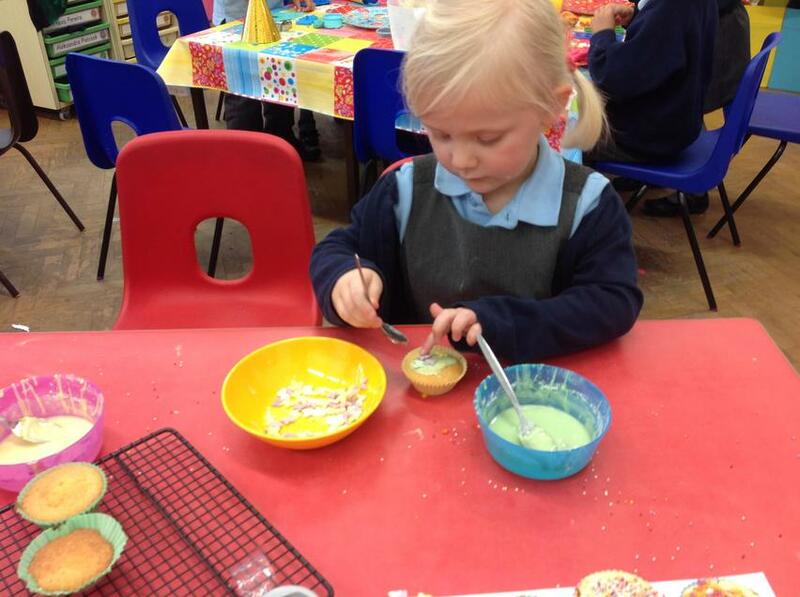 We made porridge using Scottish oats and tasted it with different toppings. 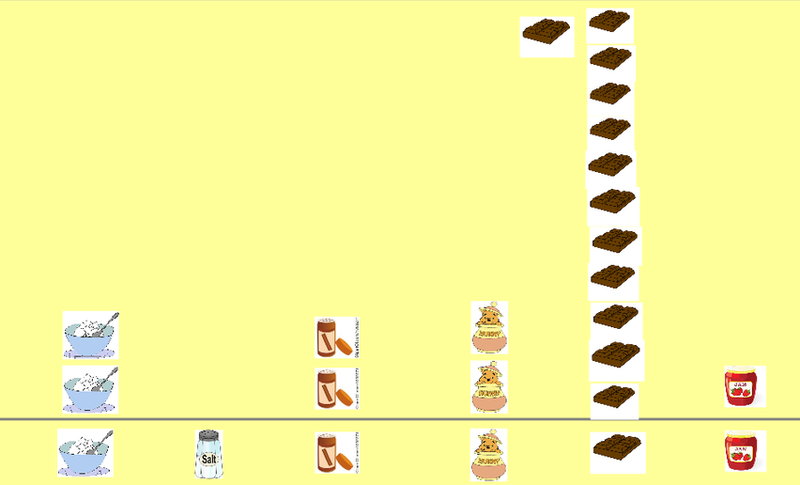 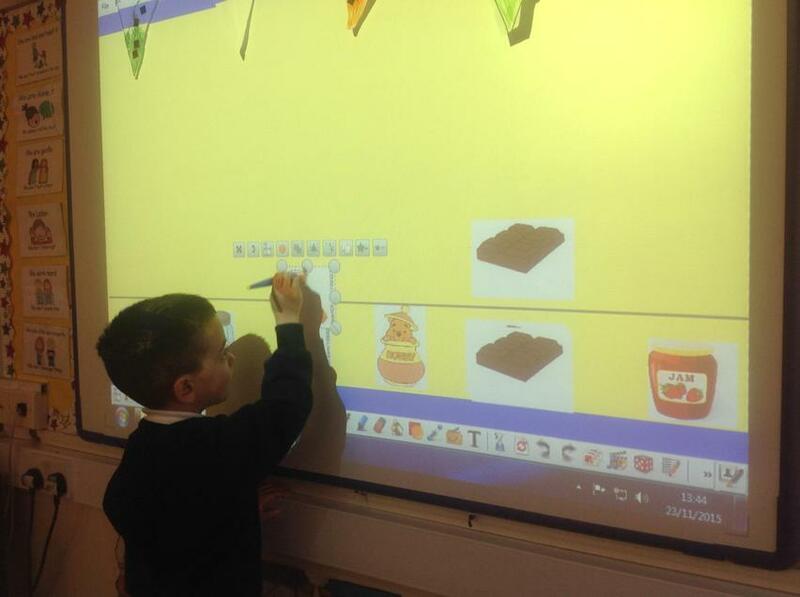 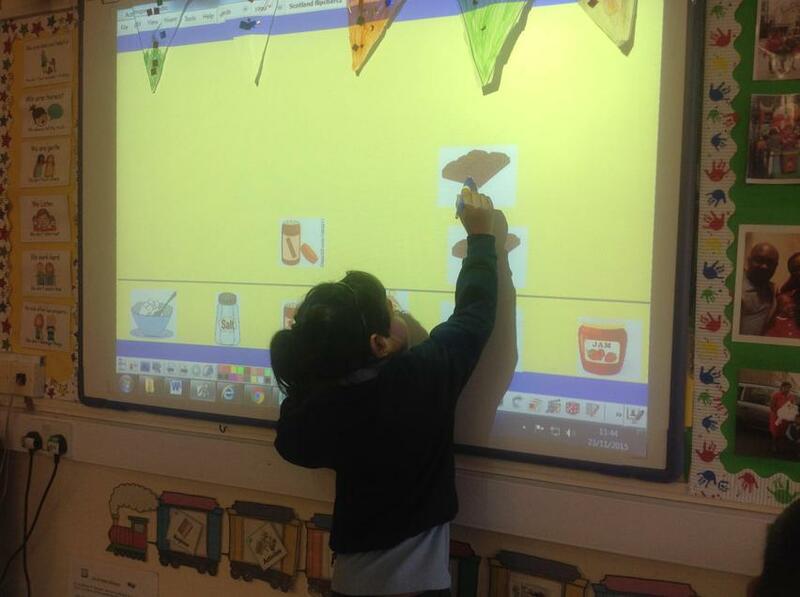 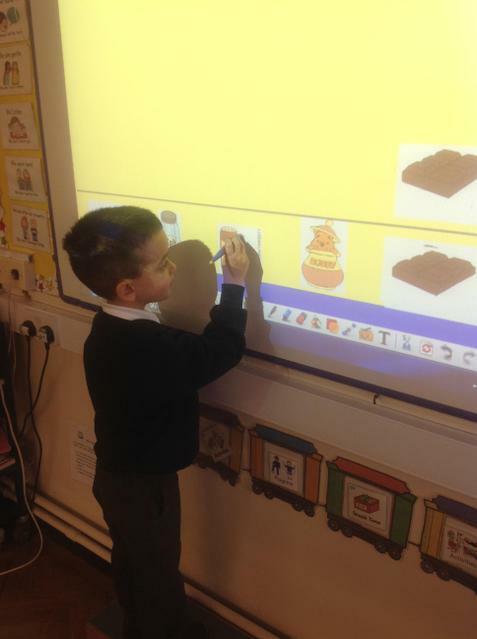 We then made a pictogram to see which topping was the most popular. 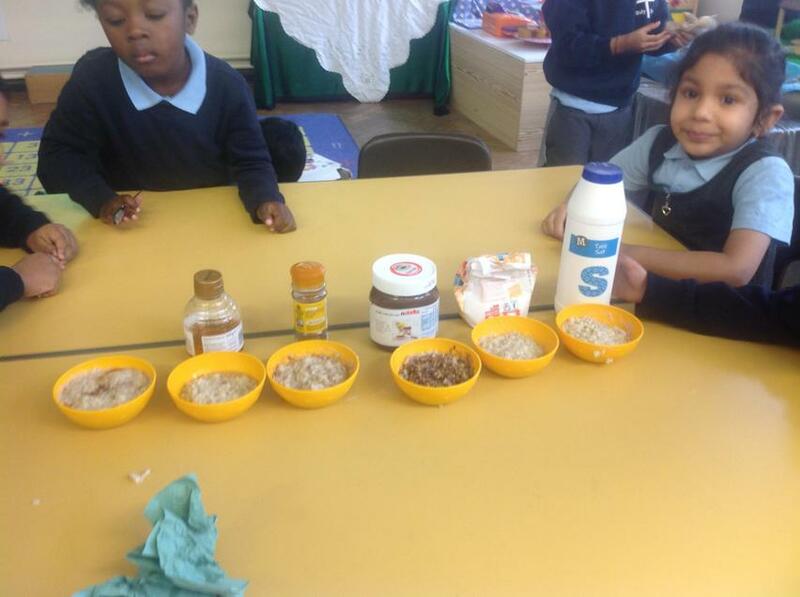 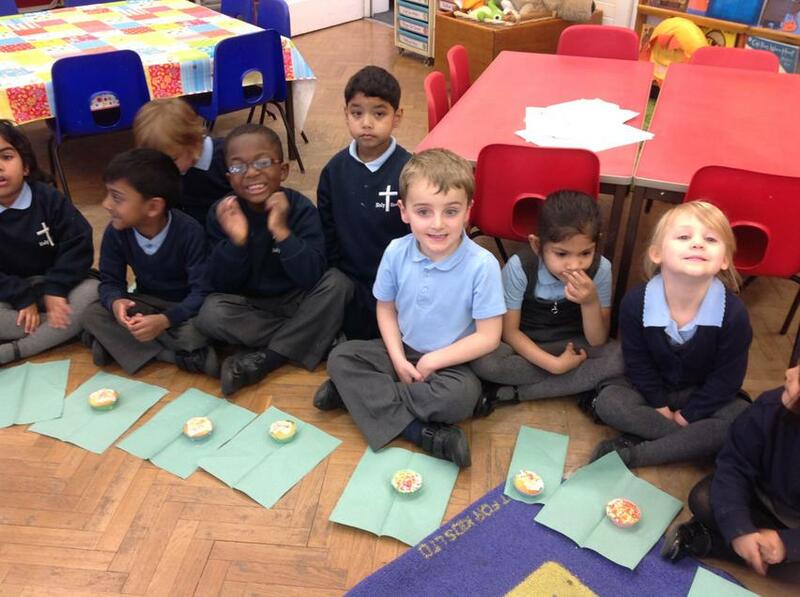 Can you see which topping was the most popular? 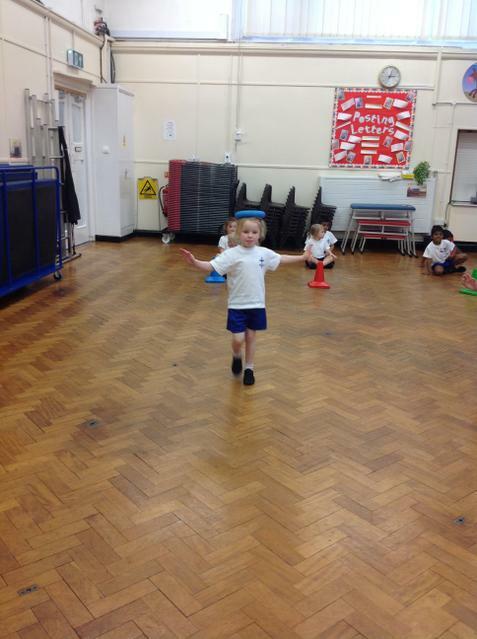 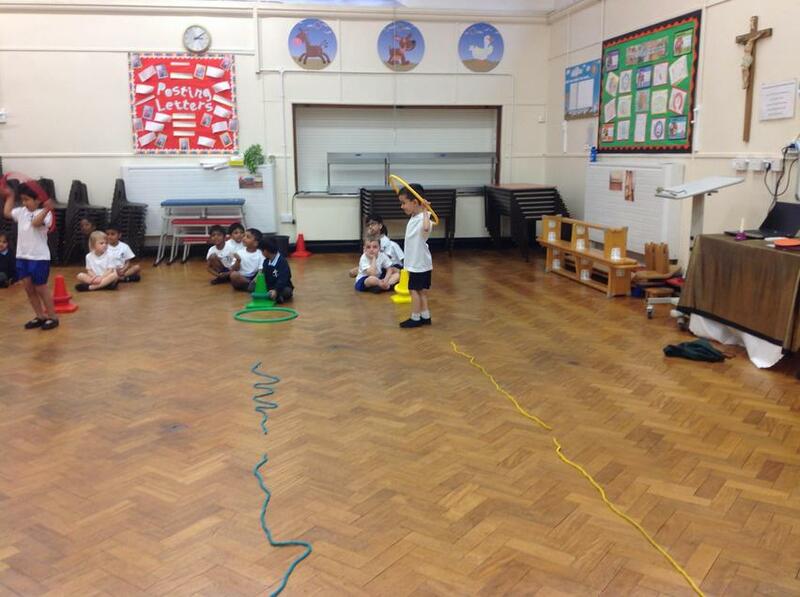 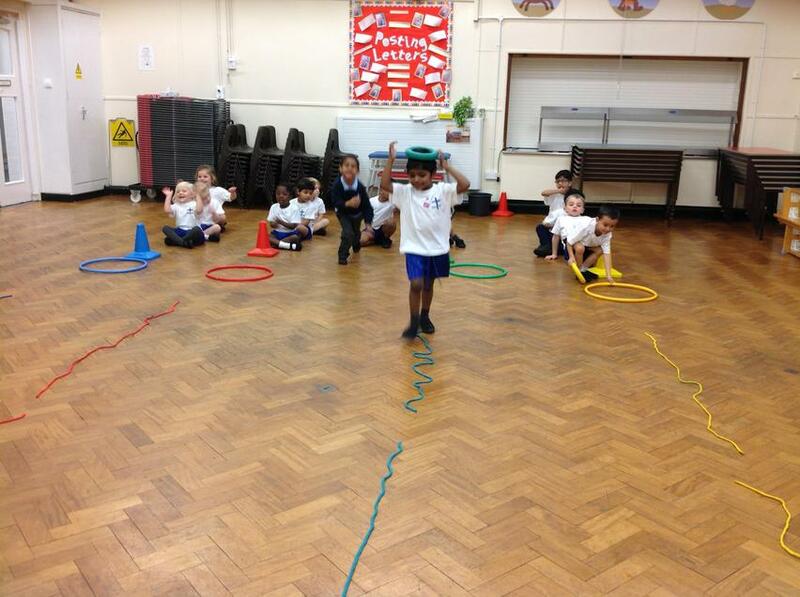 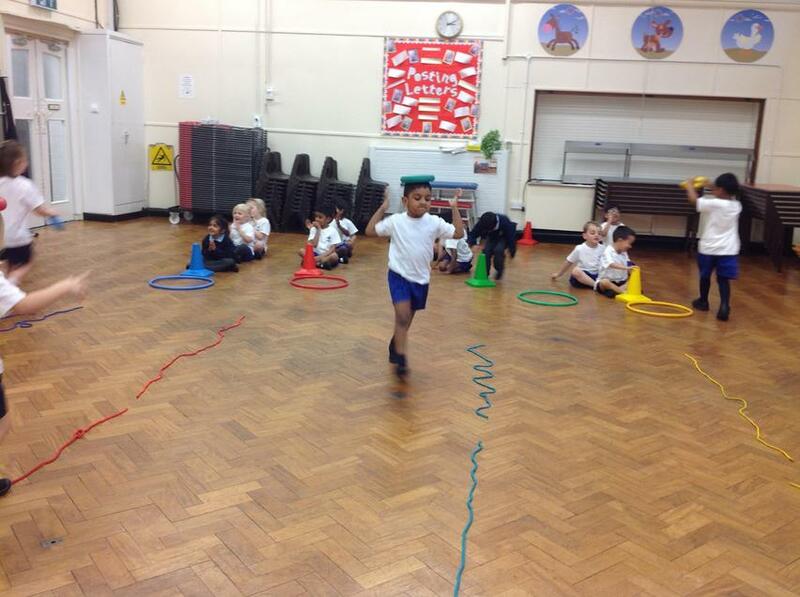 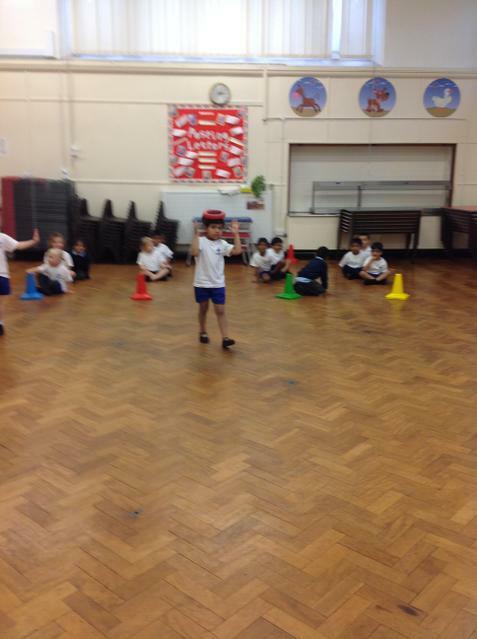 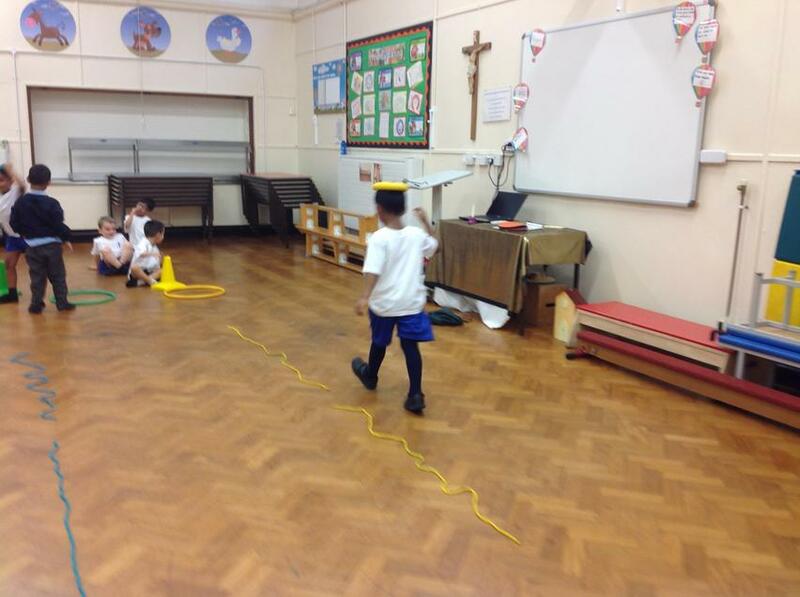 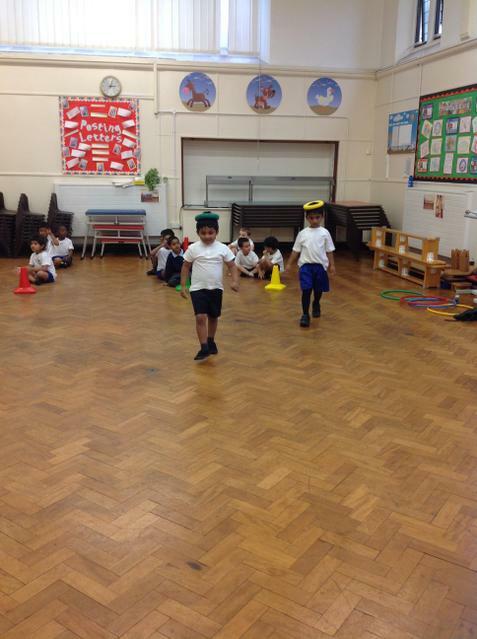 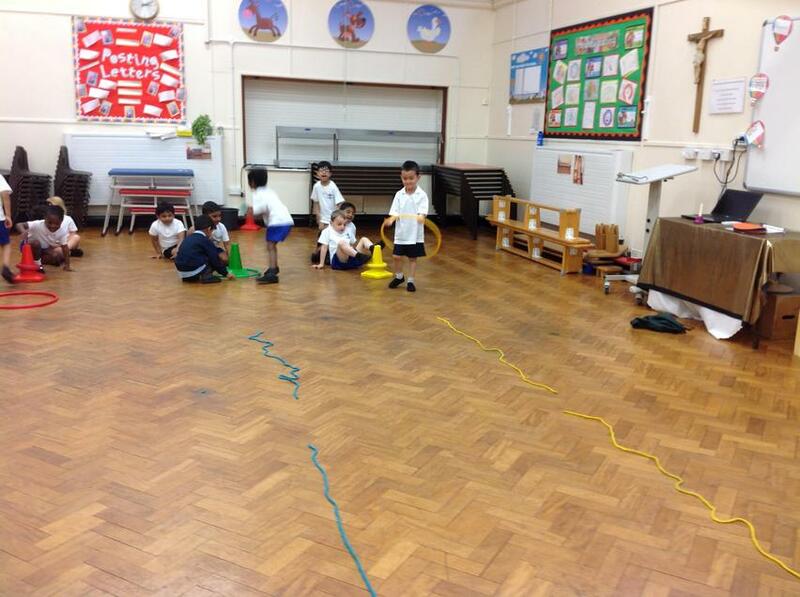 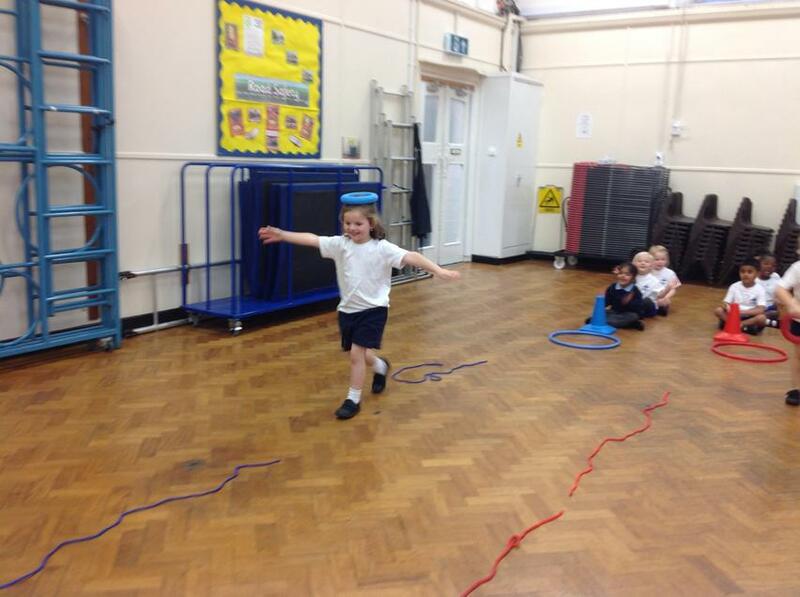 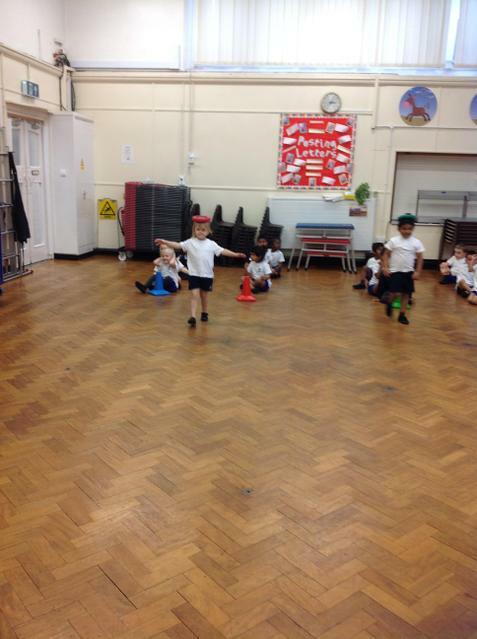 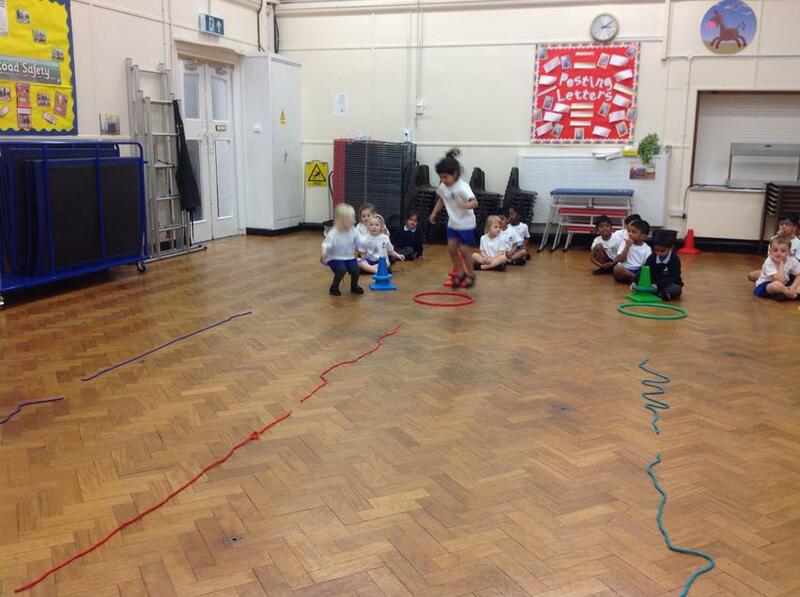 We have been playing lots of team games in PE. 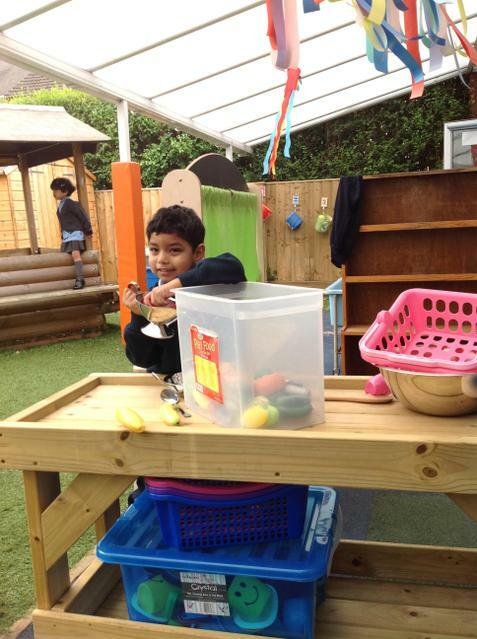 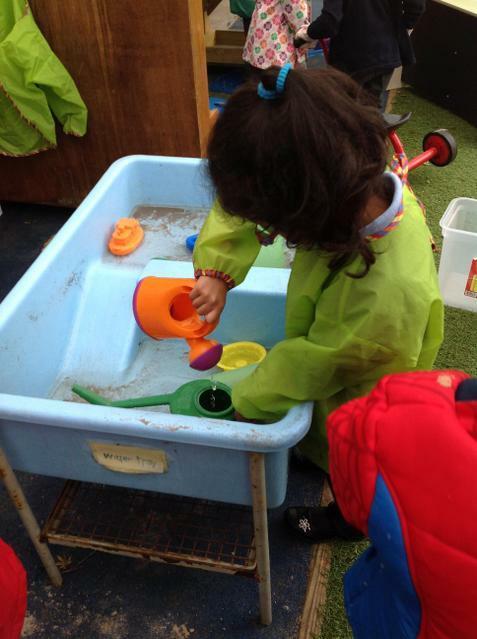 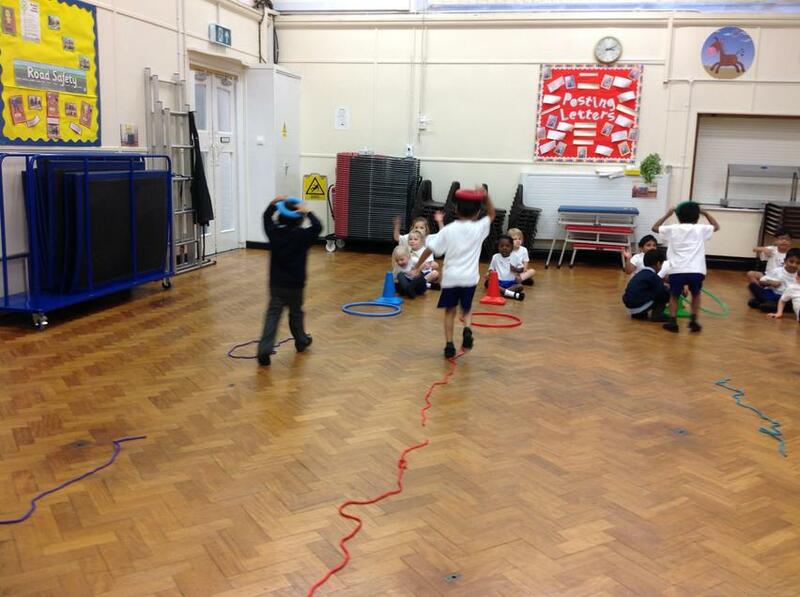 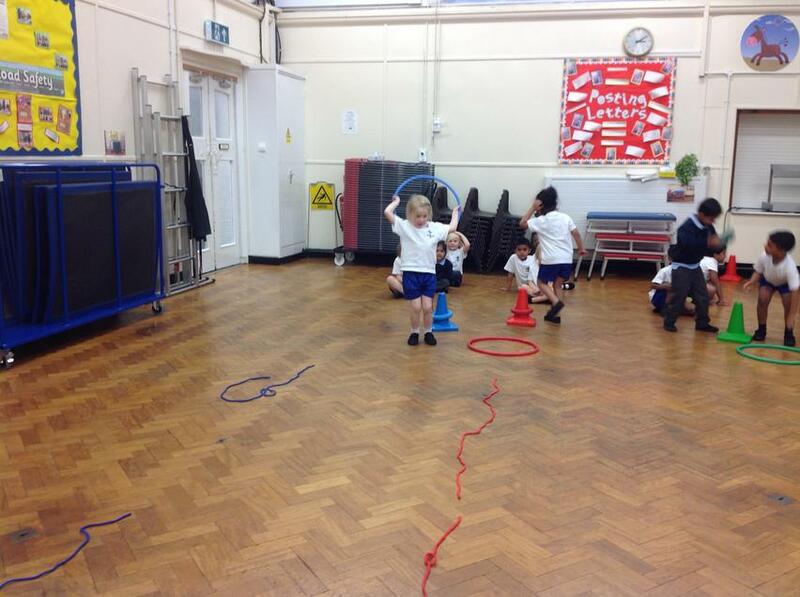 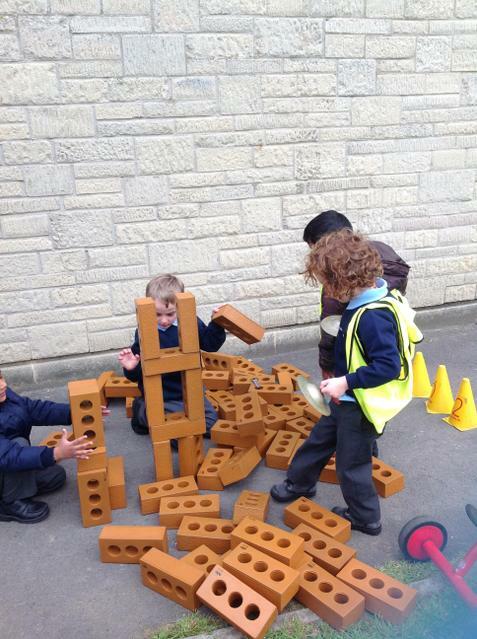 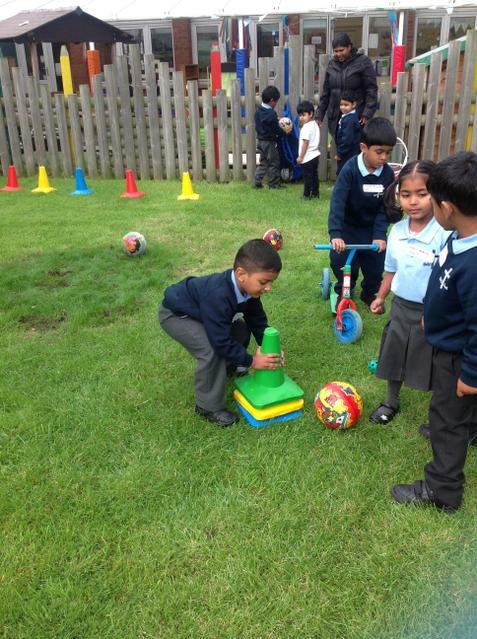 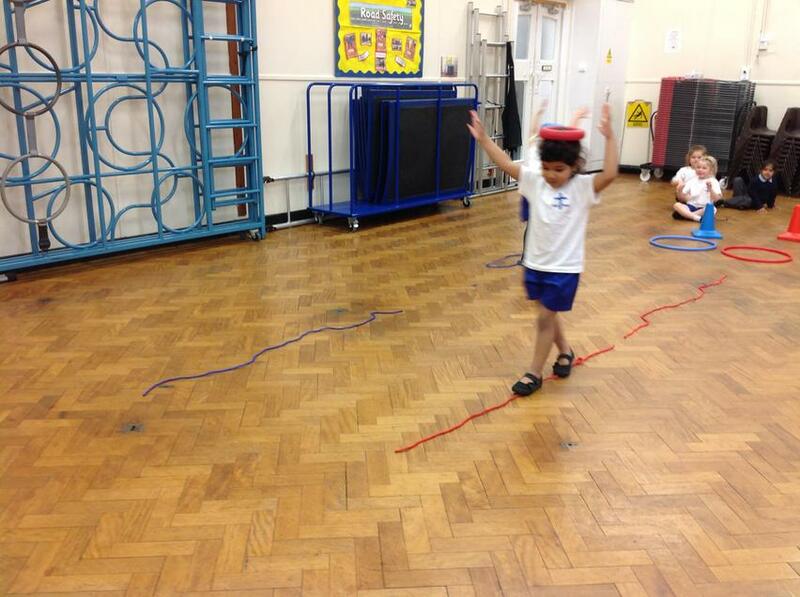 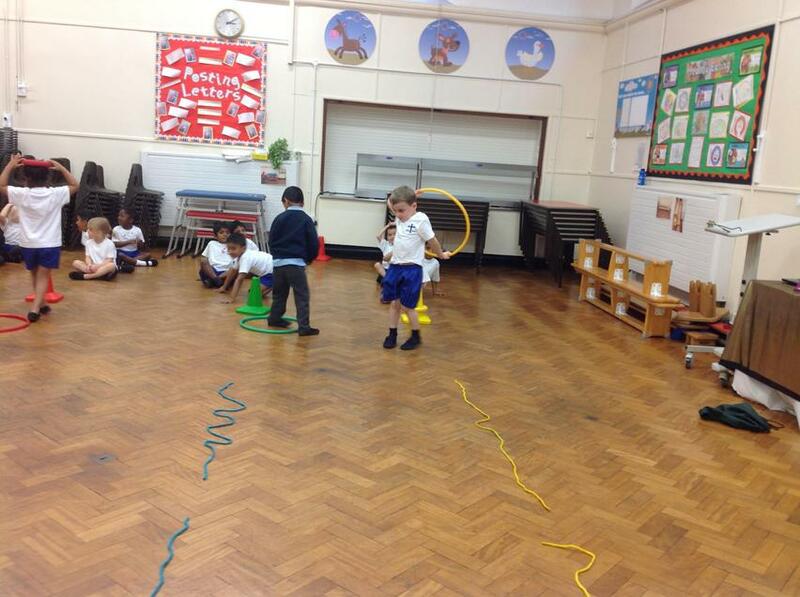 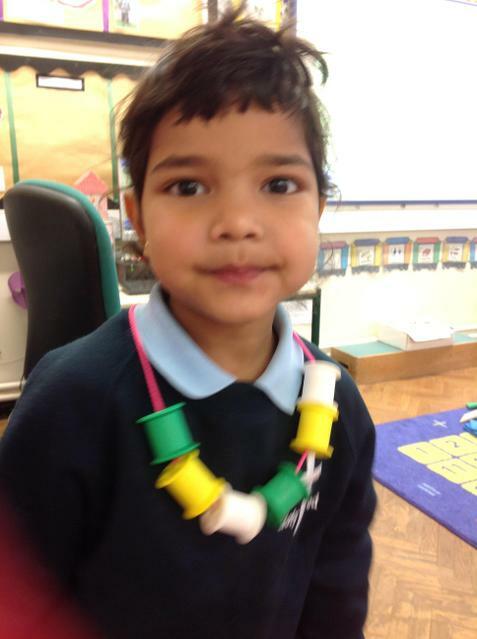 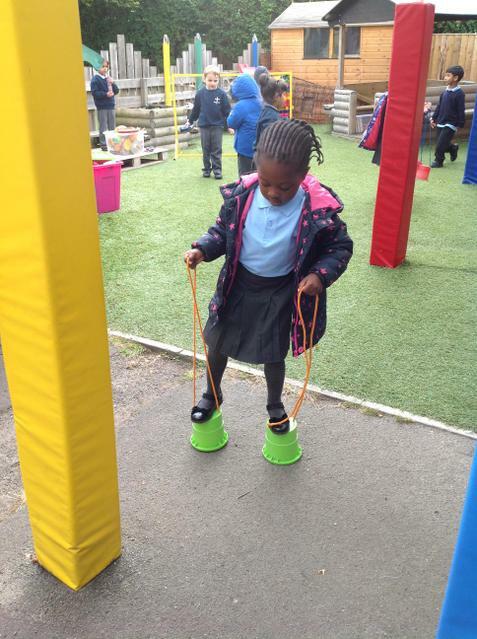 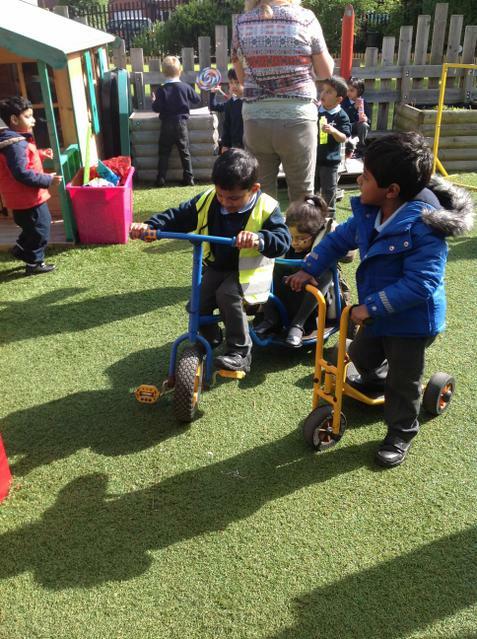 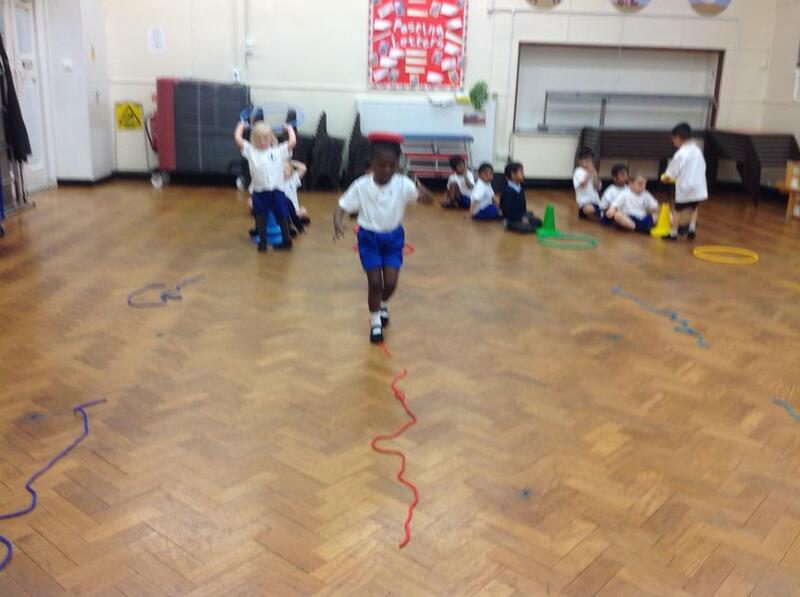 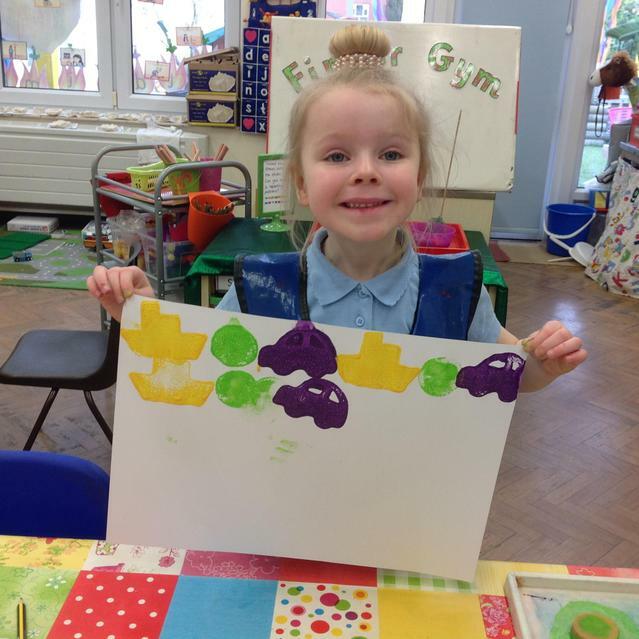 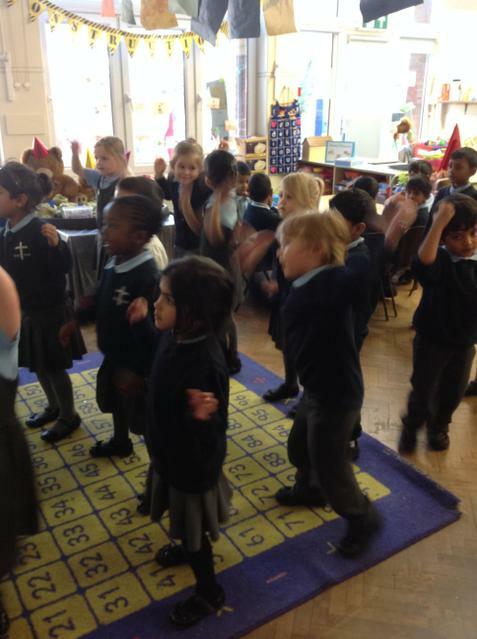 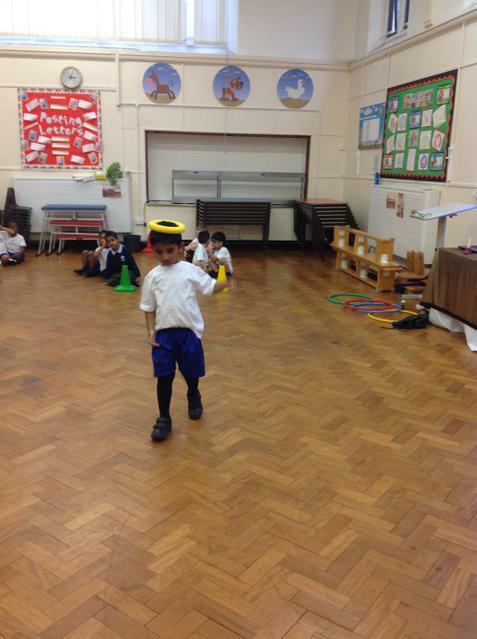 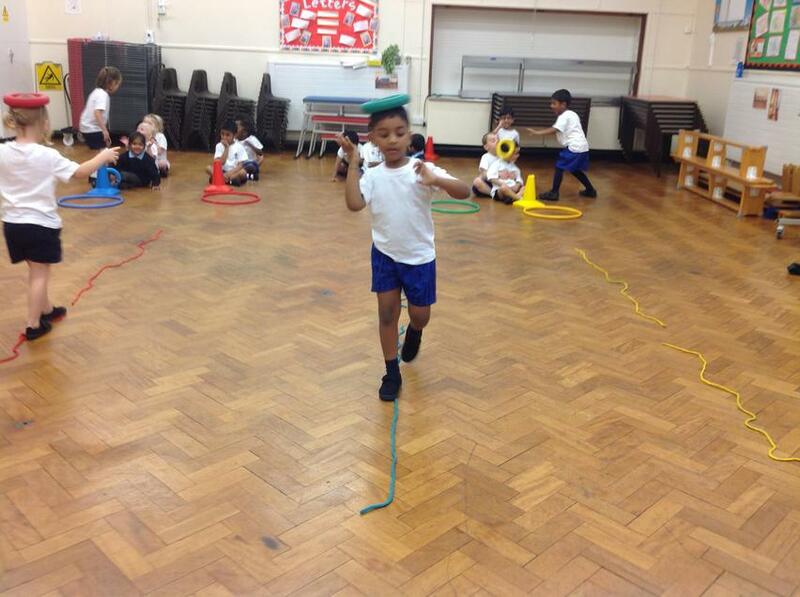 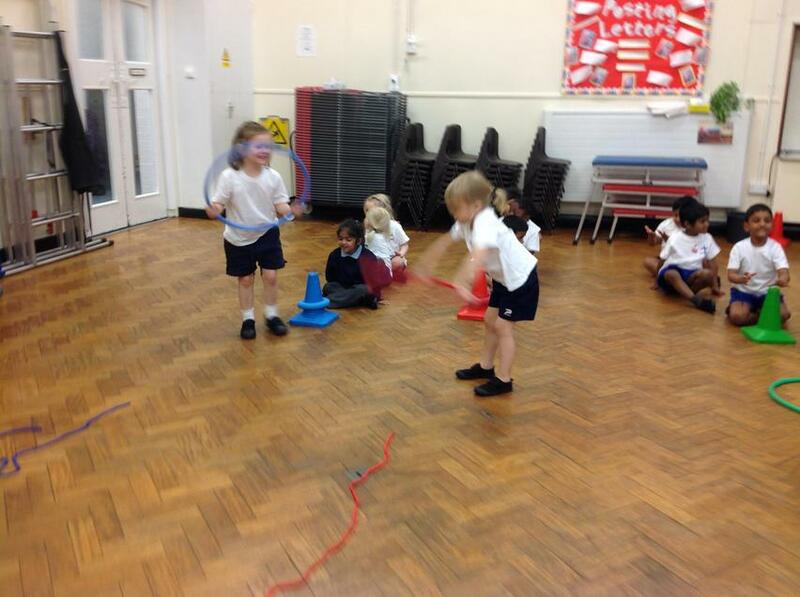 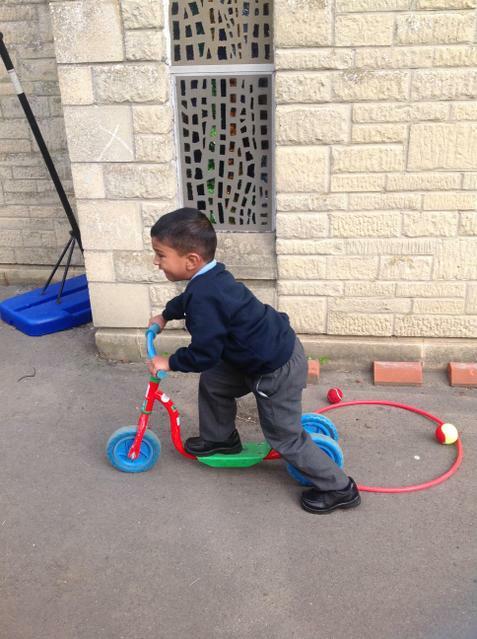 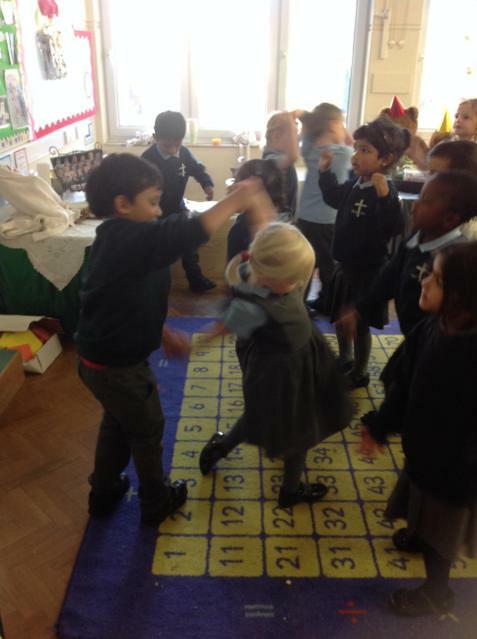 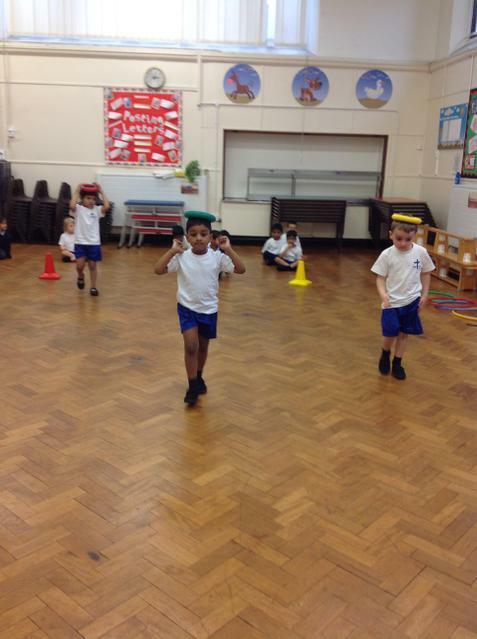 These games have helped us to improve our balancing and movement skills. 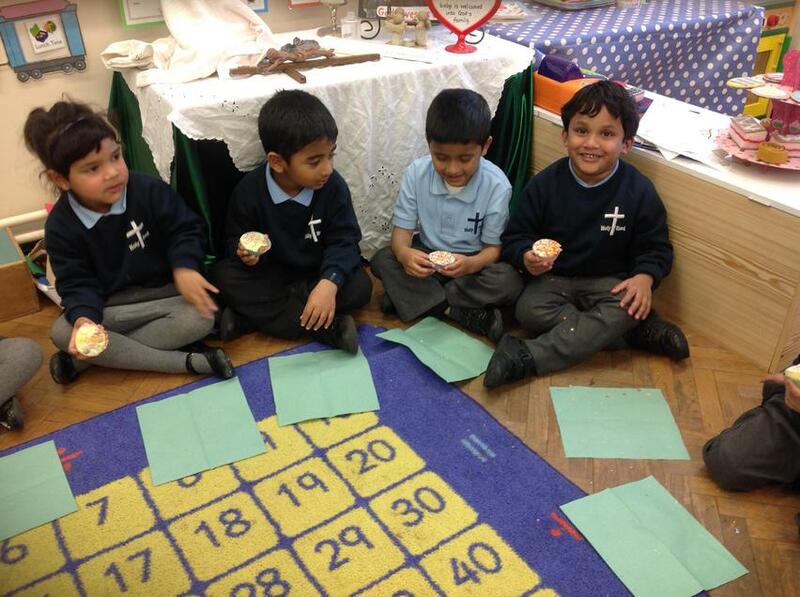 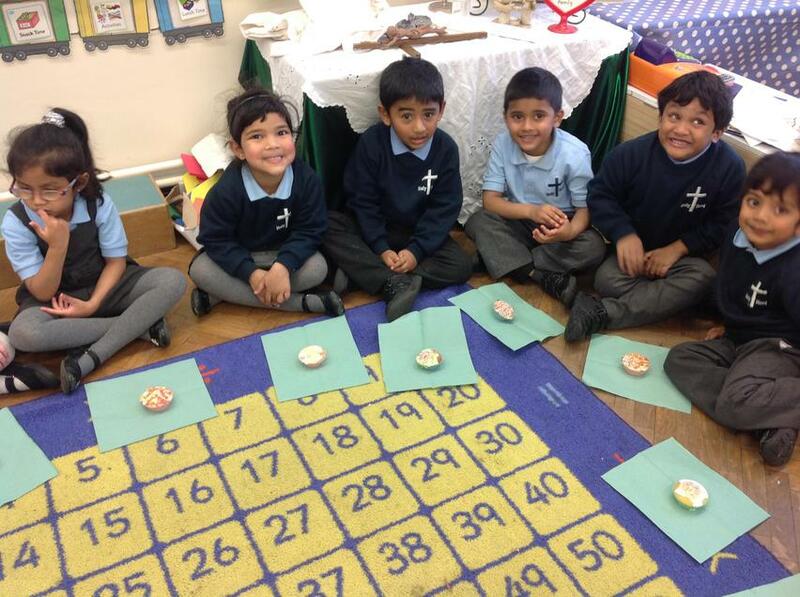 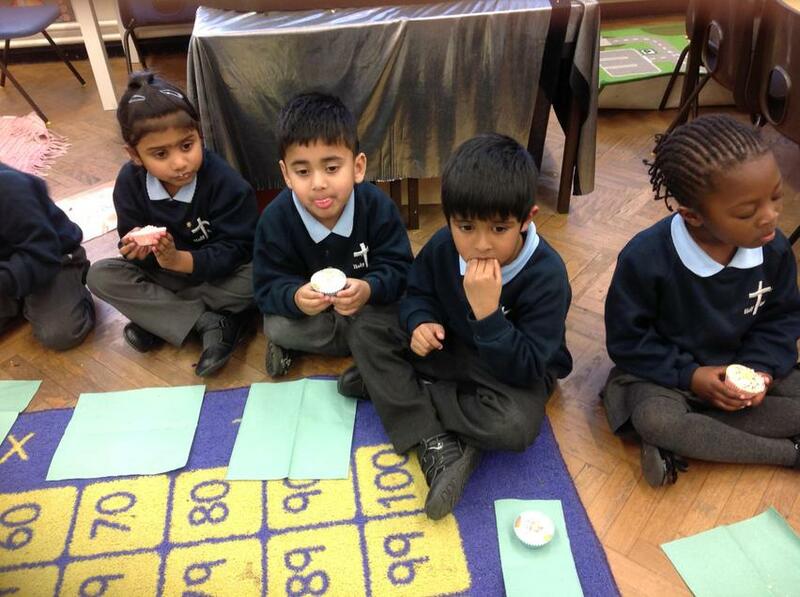 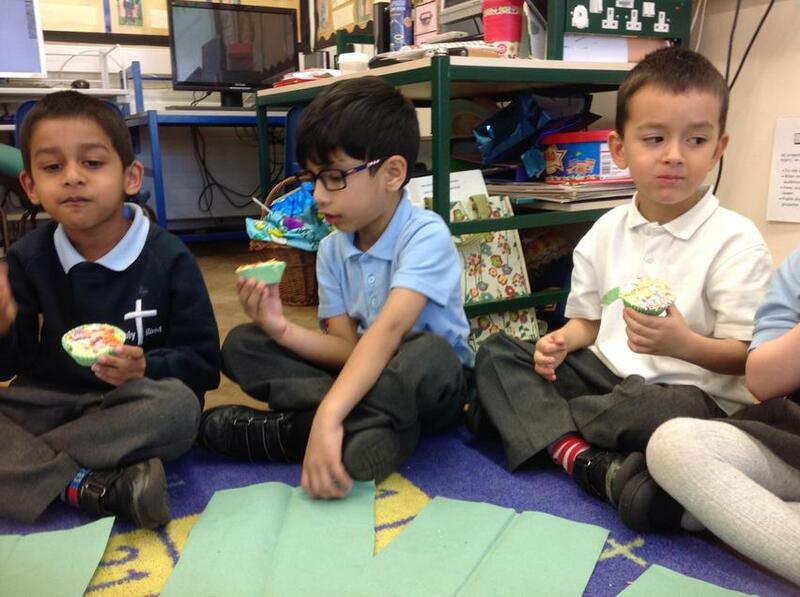 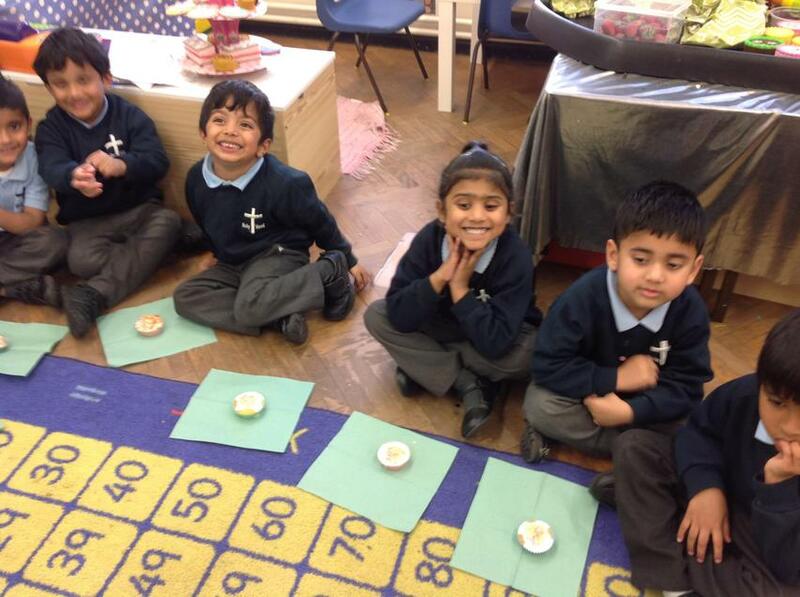 They have also helped us with our listening and social skills as we need to listen carefully to instructions and take turns in order to have the best chance of winning. 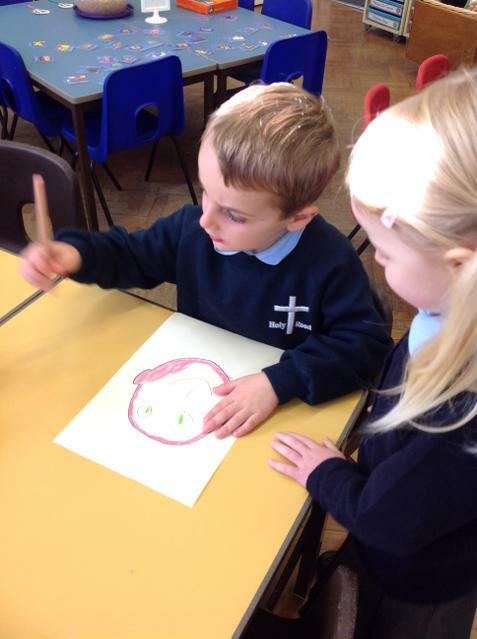 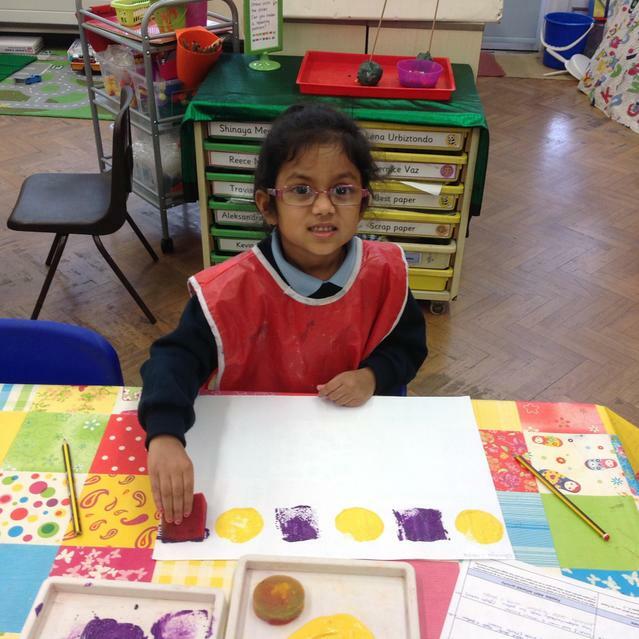 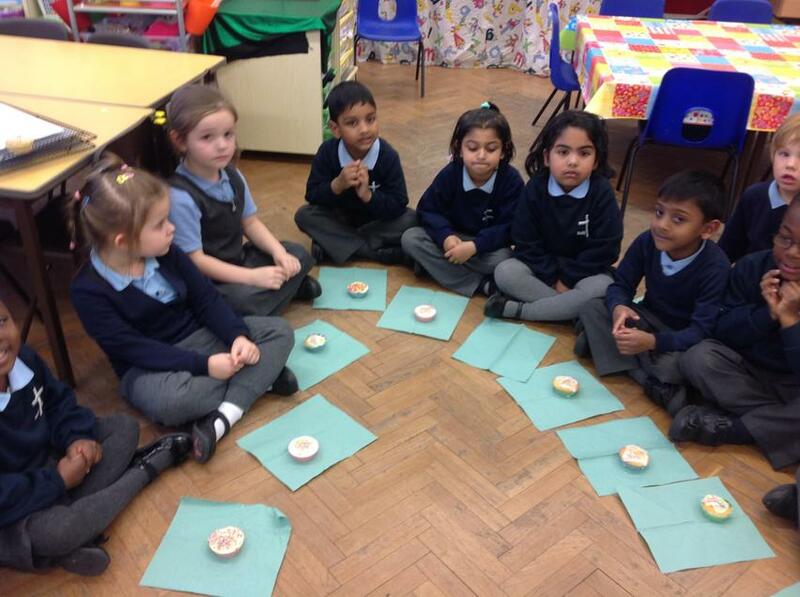 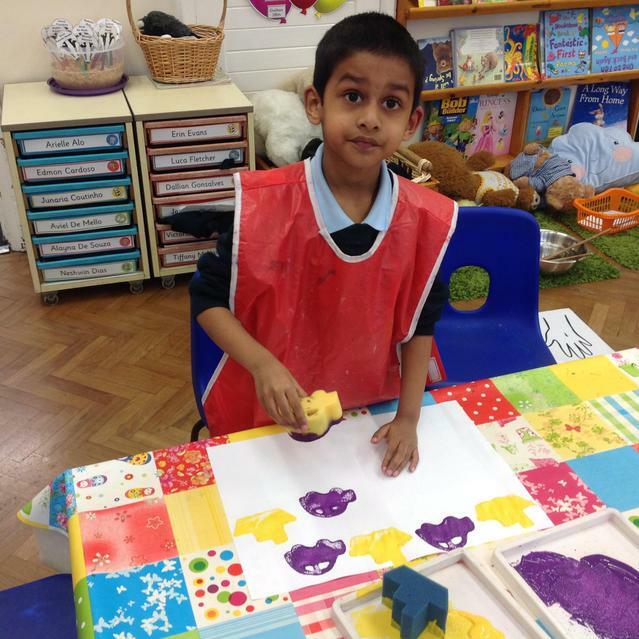 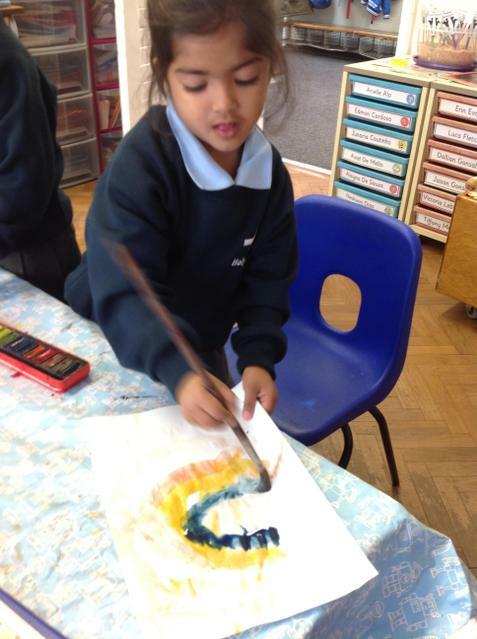 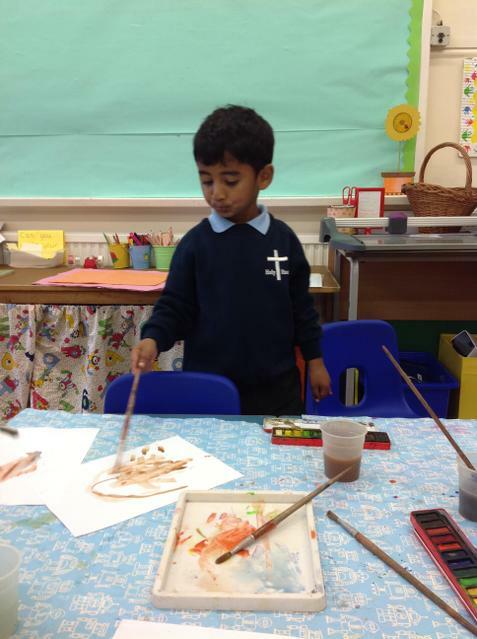 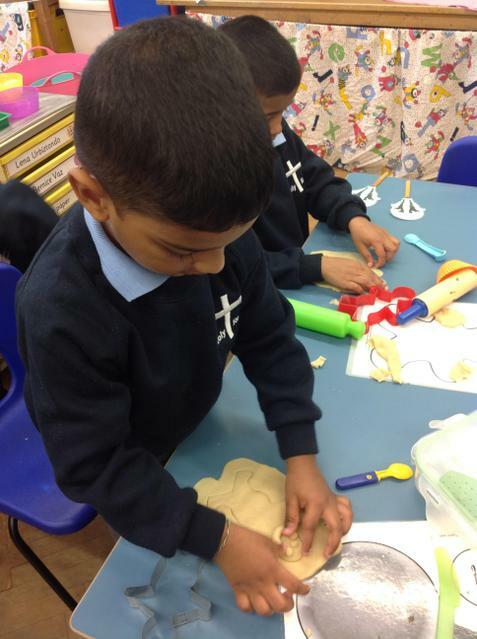 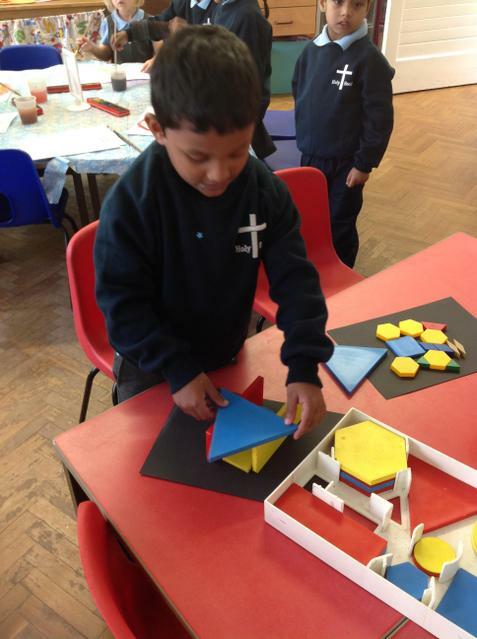 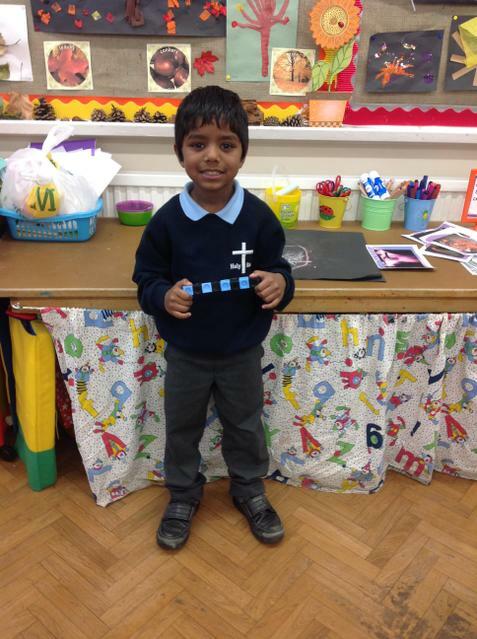 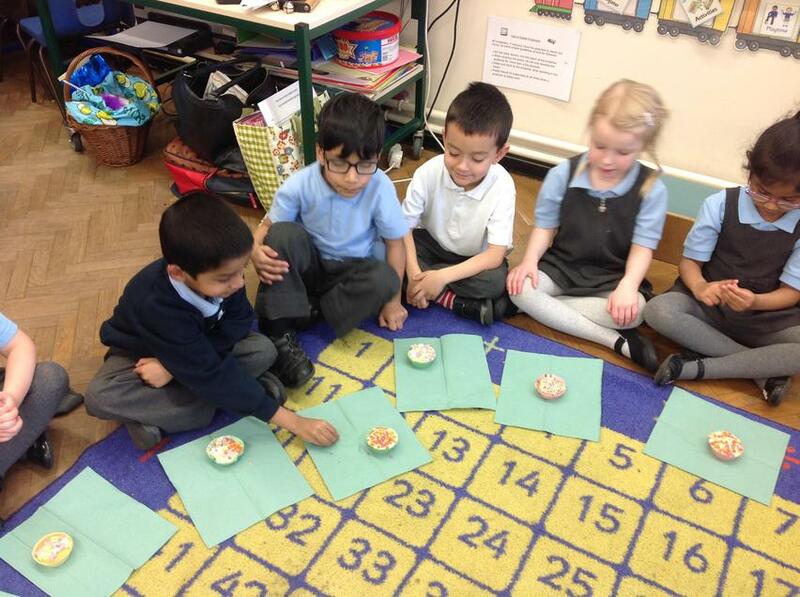 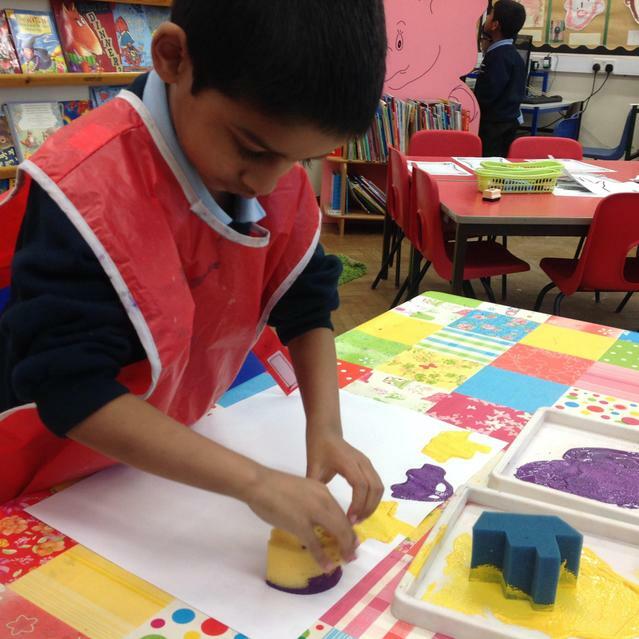 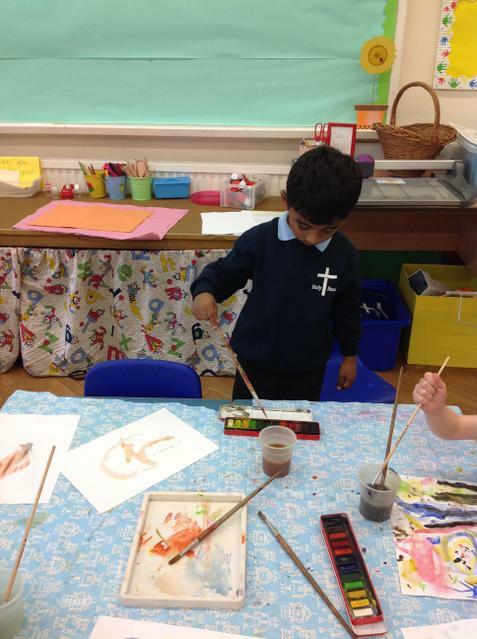 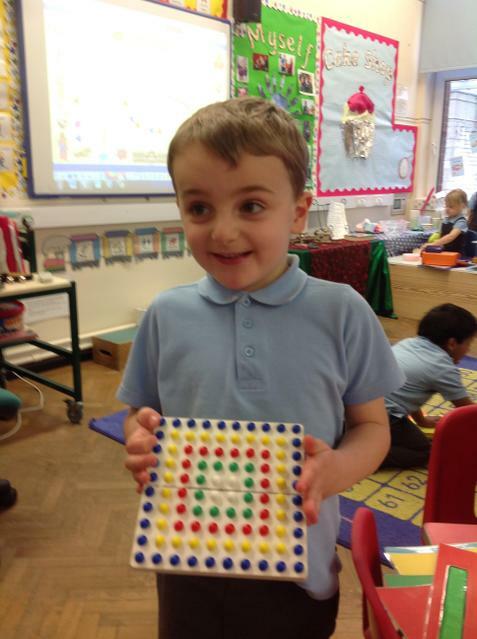 Within our topic on Diwali, we looked at the beautiful Rangoli patterns Hindu people create outside their homes. 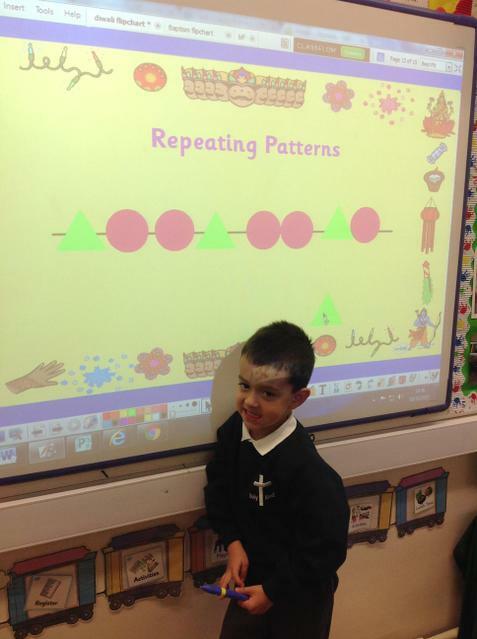 This inspired us to look at different types of patterns. 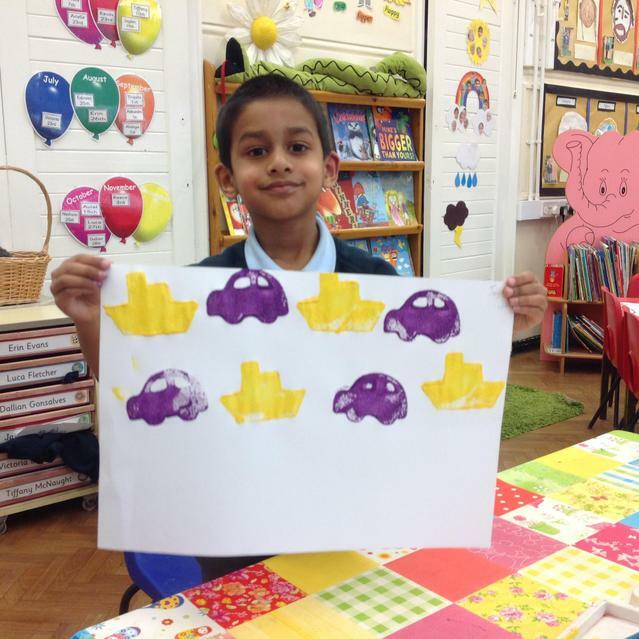 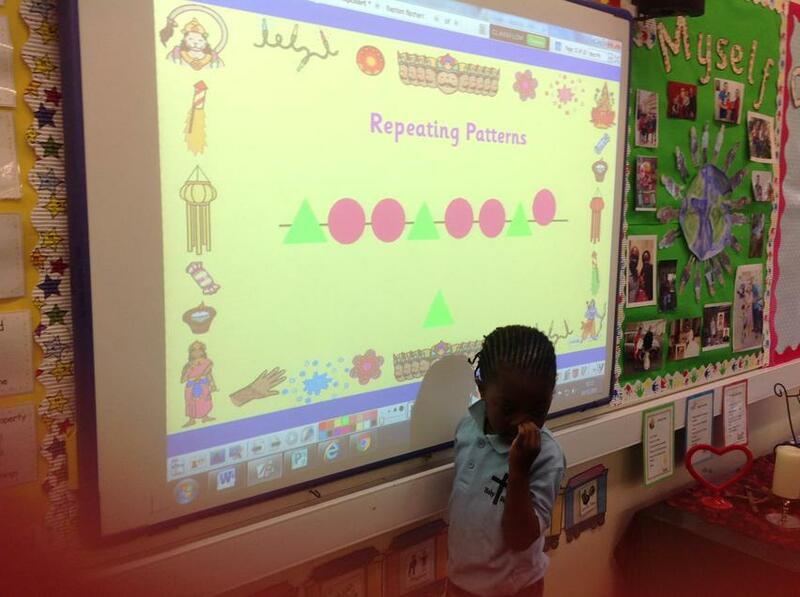 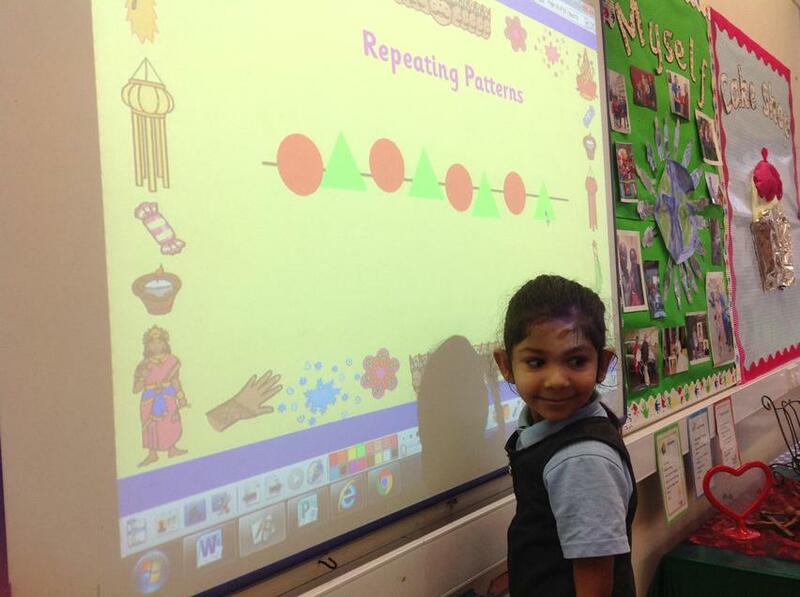 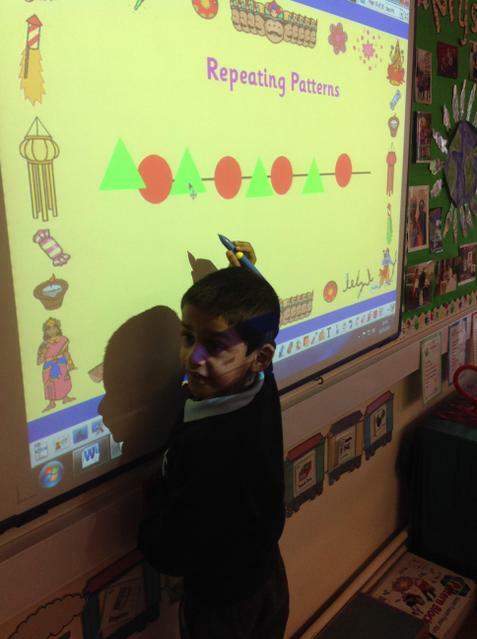 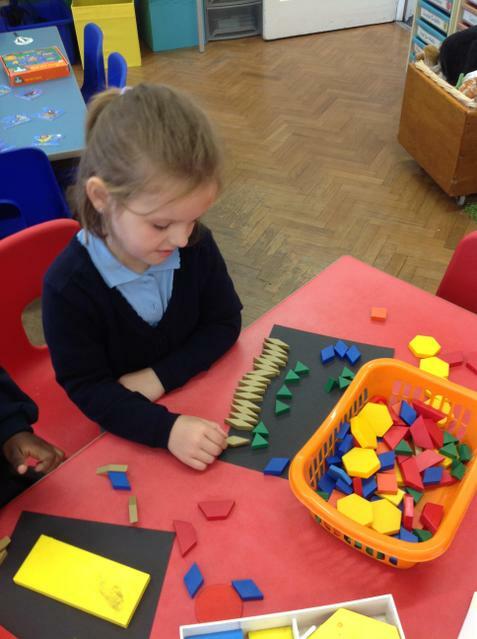 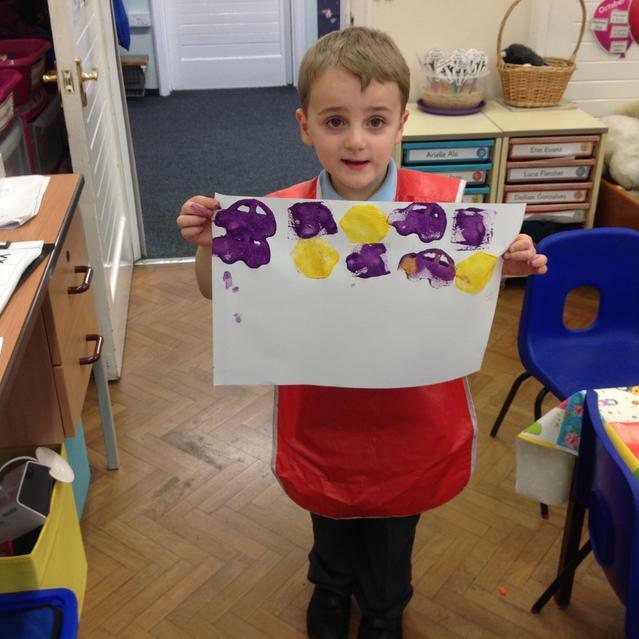 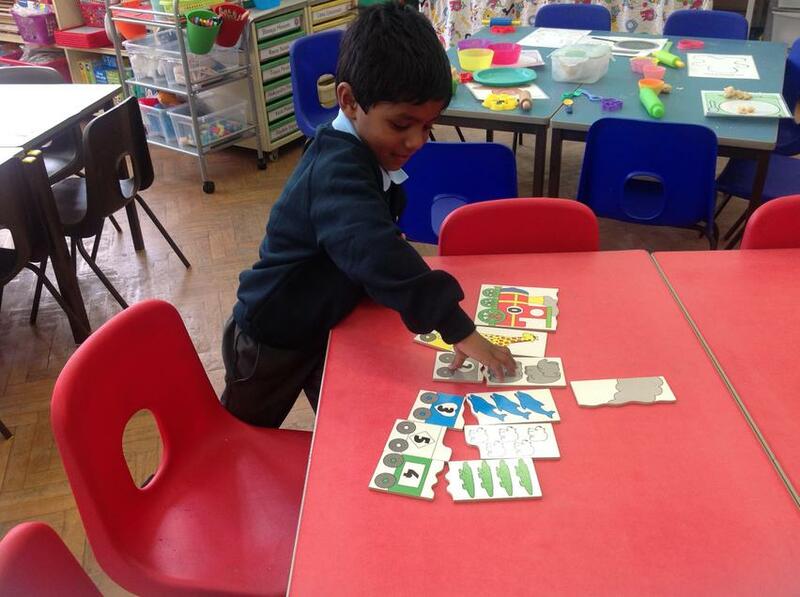 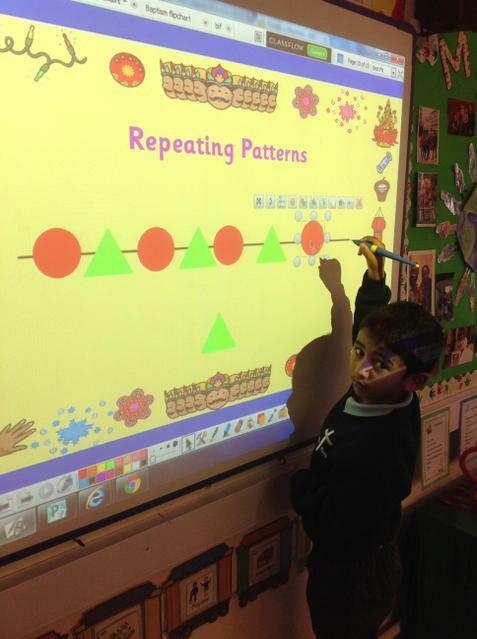 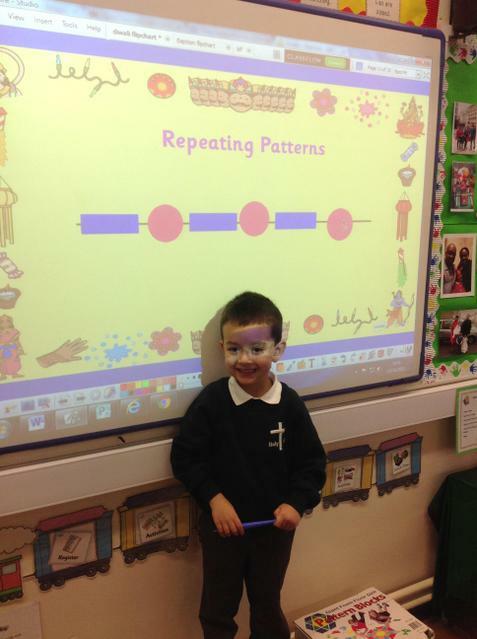 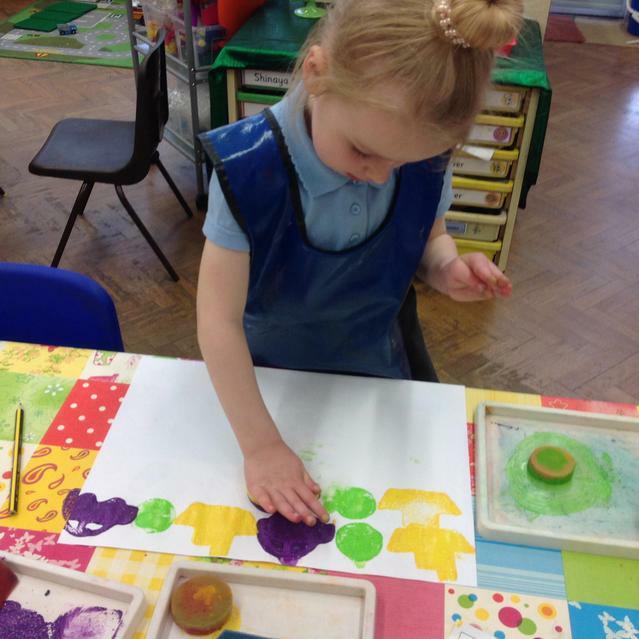 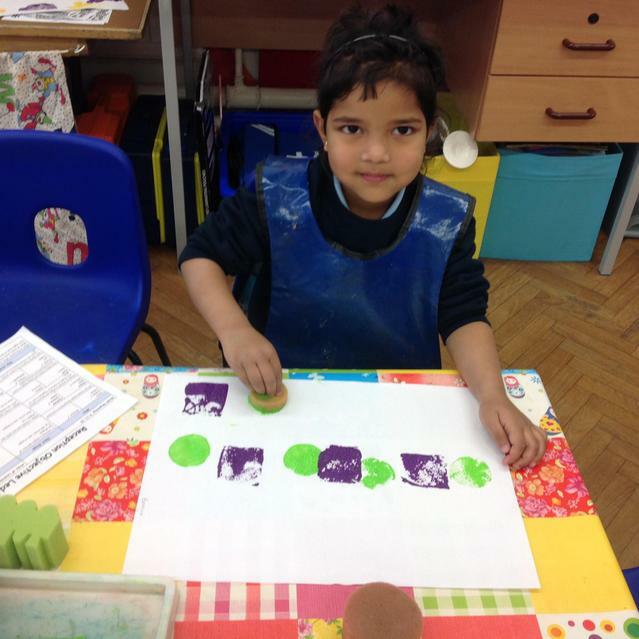 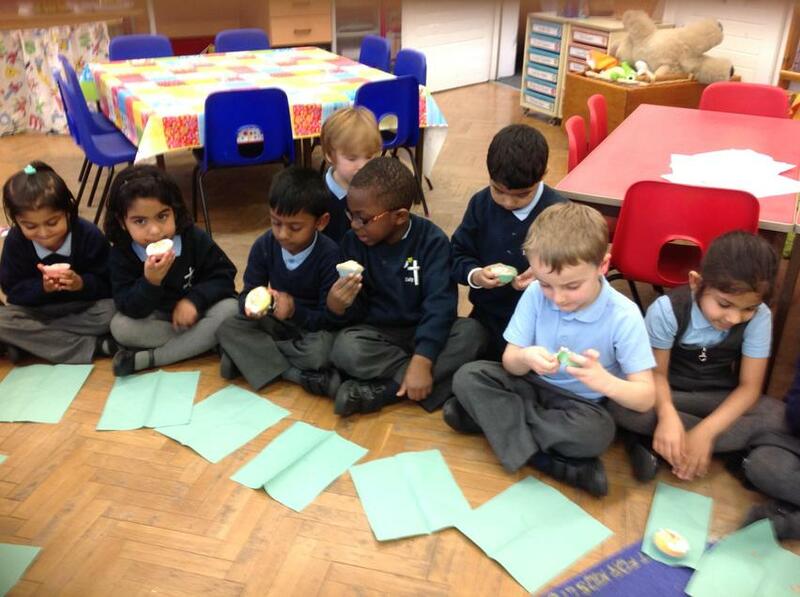 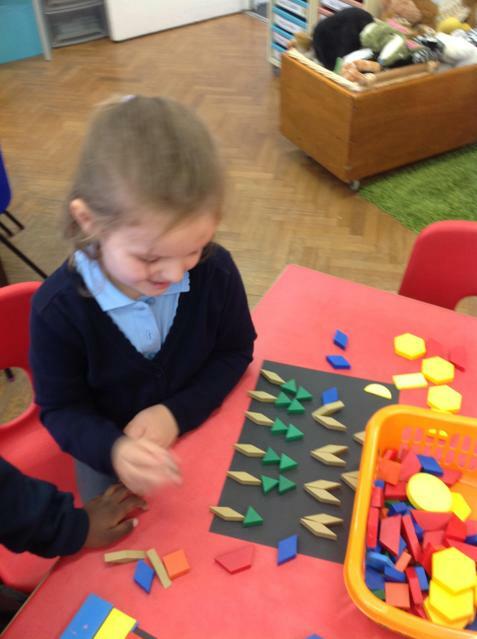 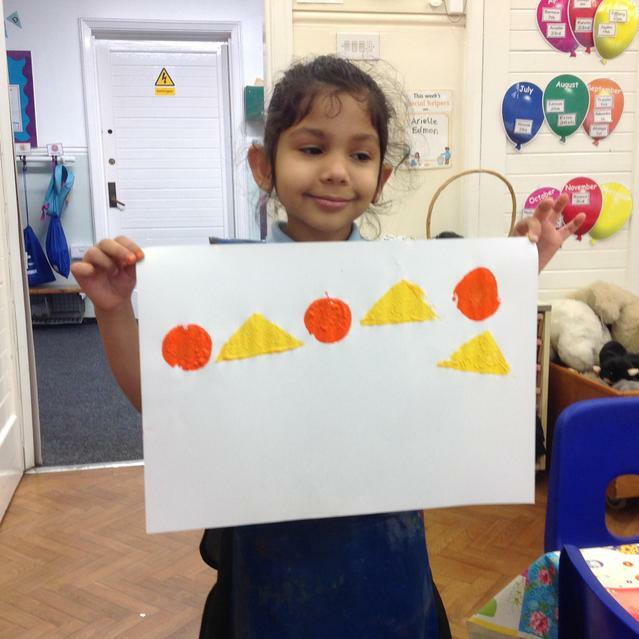 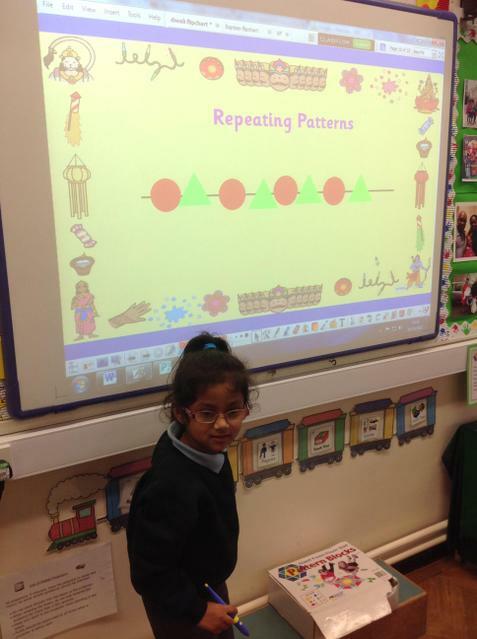 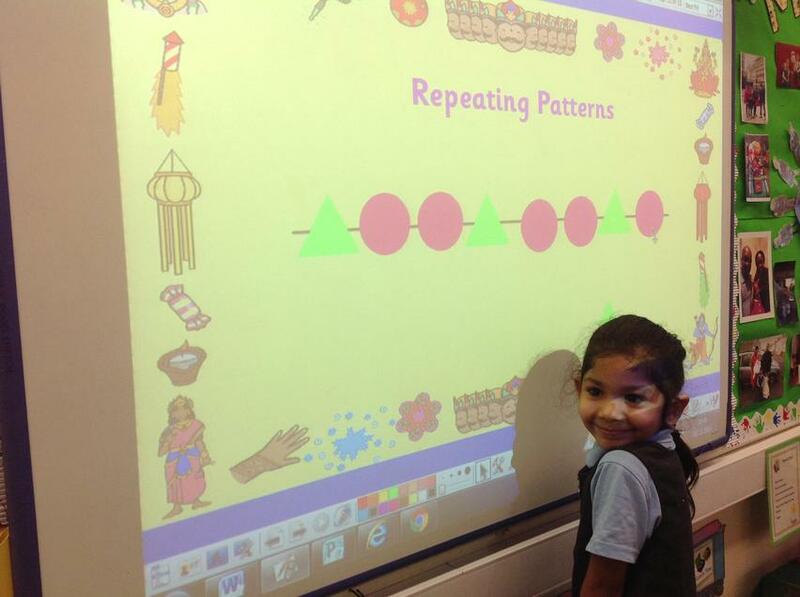 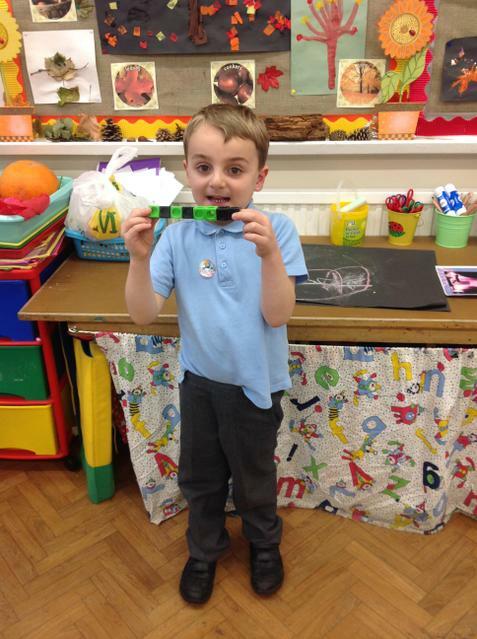 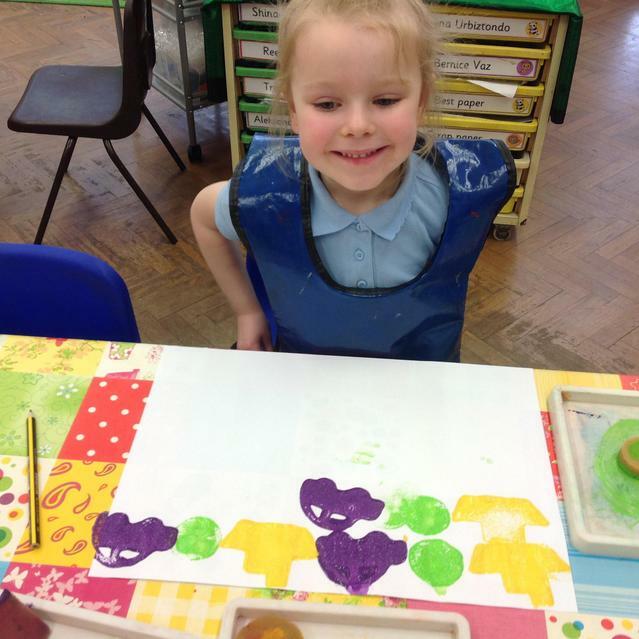 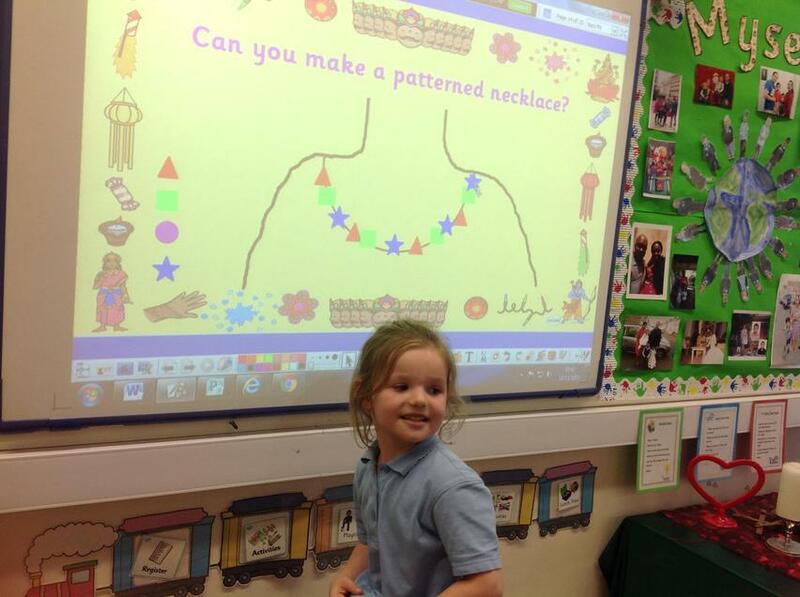 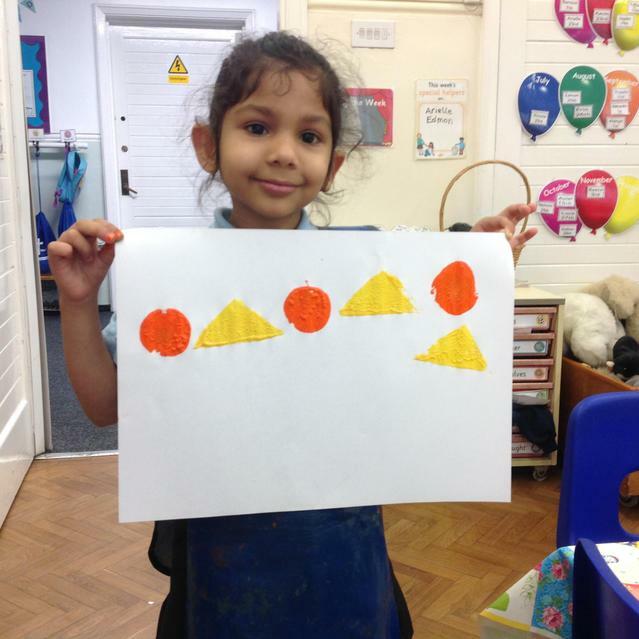 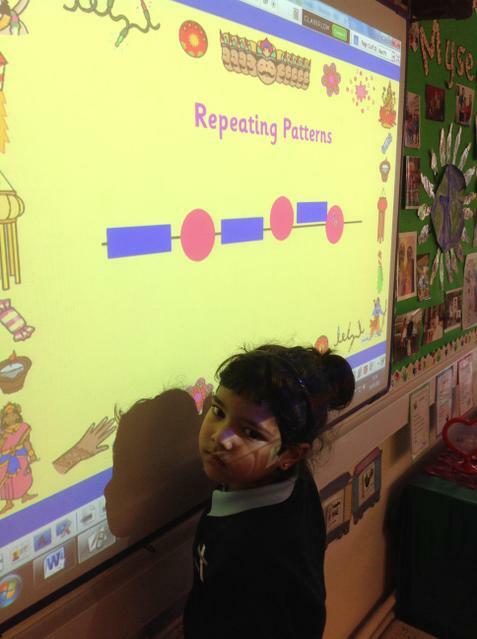 We then created some of our own repeating patterns. 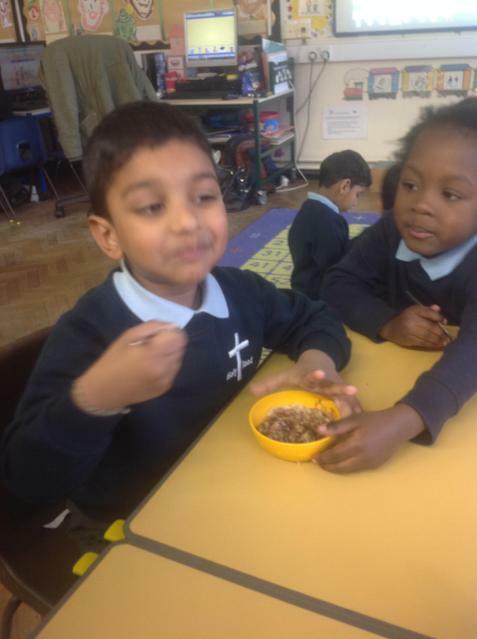 Take a look at how good they are. 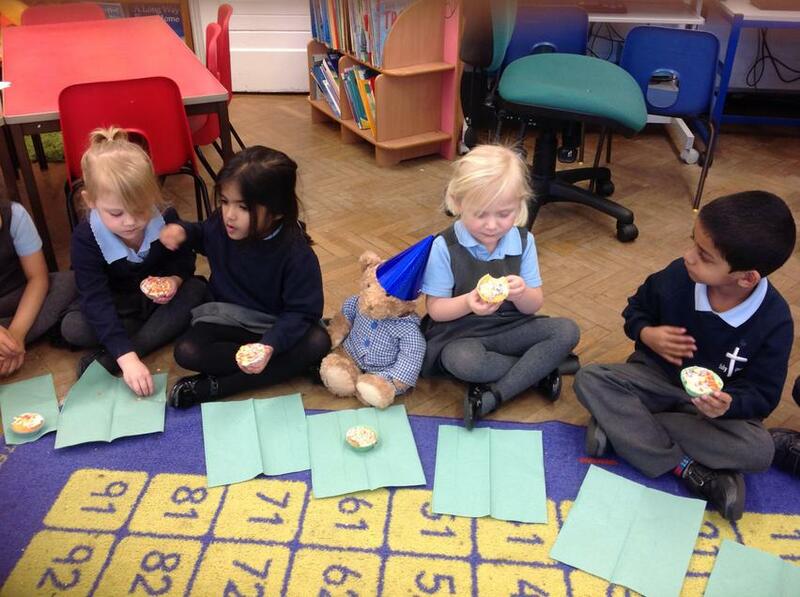 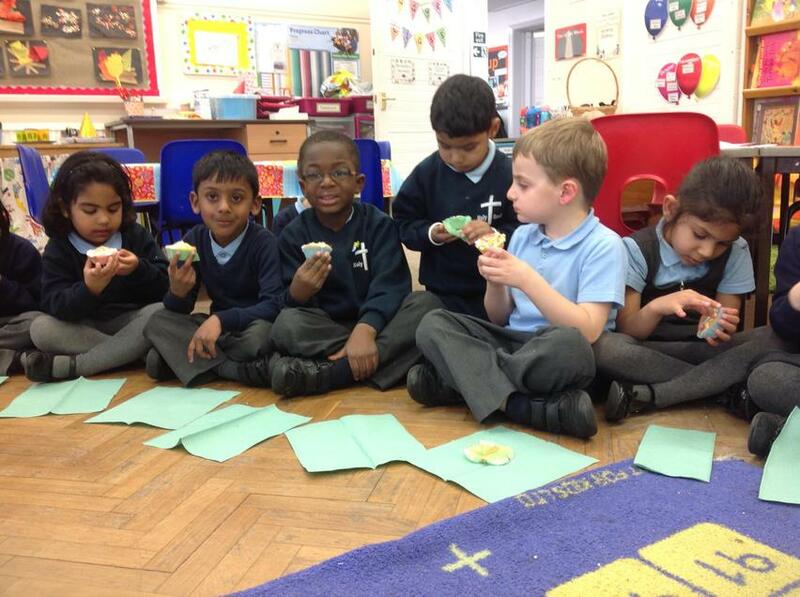 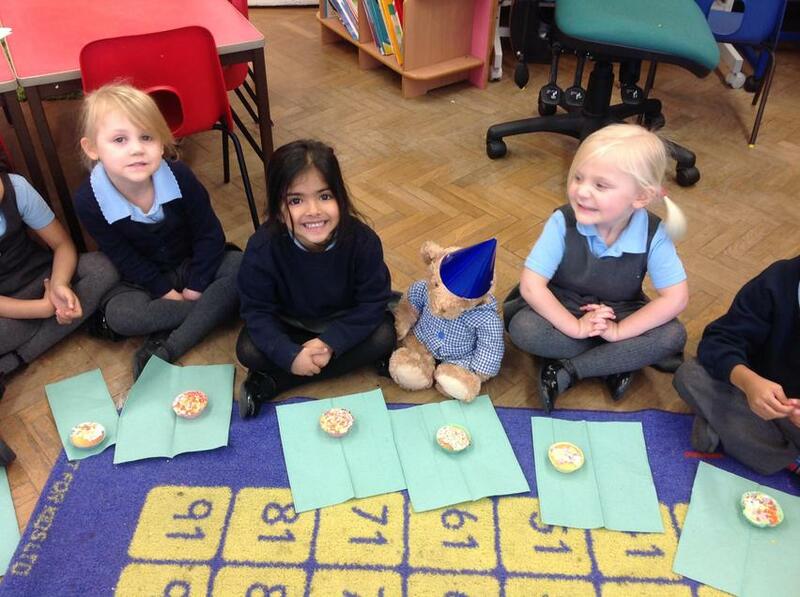 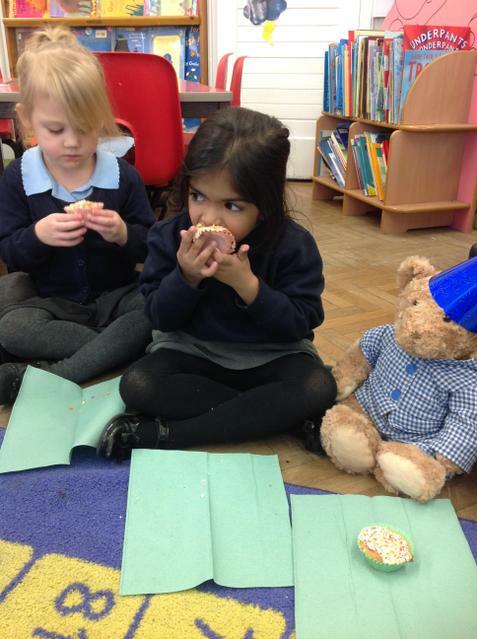 This week we were busy preparing for Ted’s birthday. 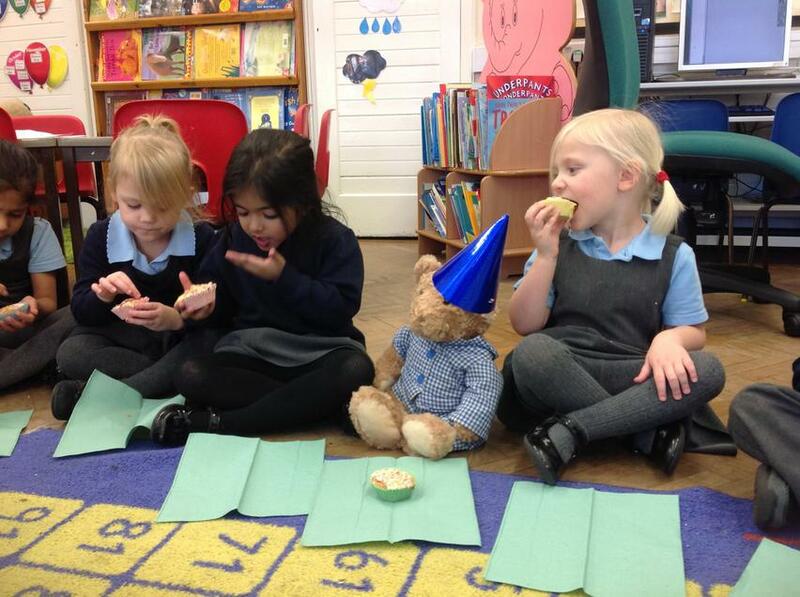 He turned 5 on Friday so we had a party for him. 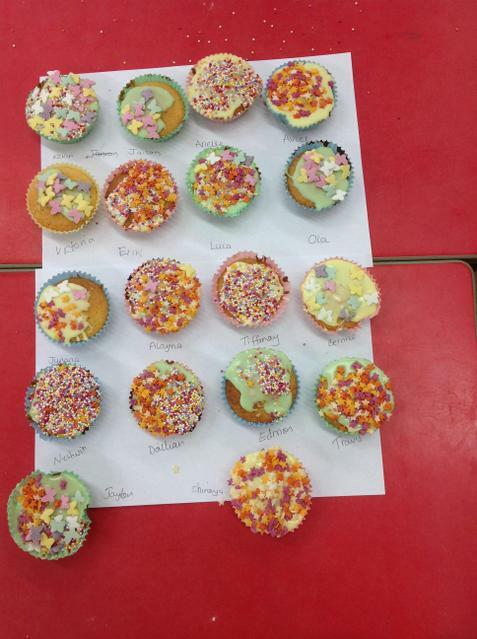 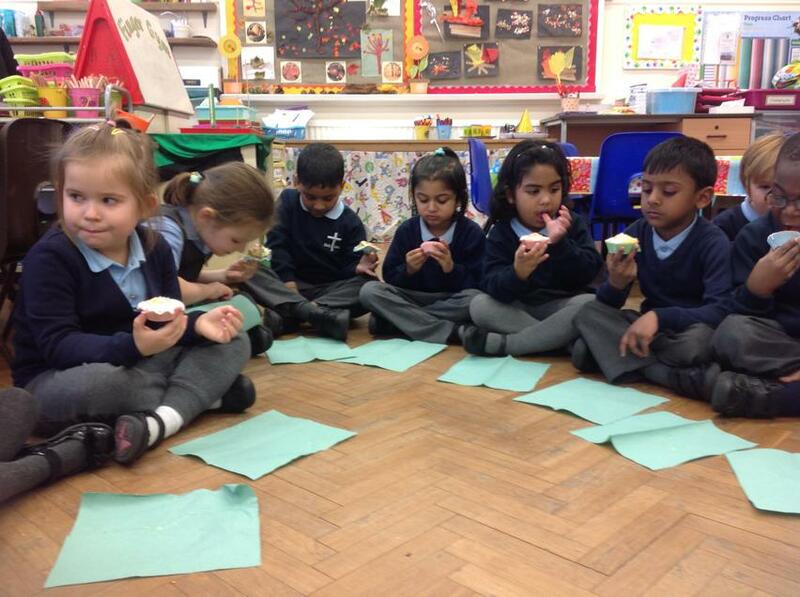 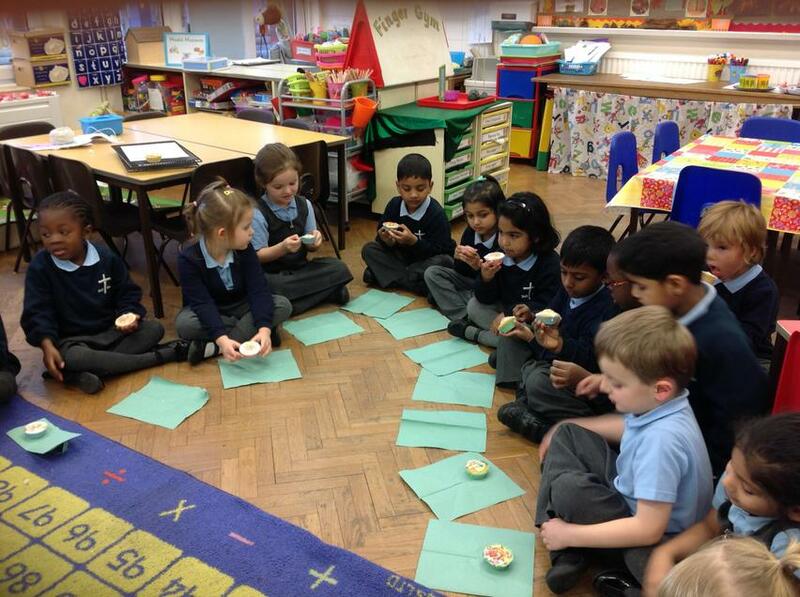 We made and decorated cakes, made decorations for the classroom, wrote party lists and birthday cards, and learnt some new dance moves! 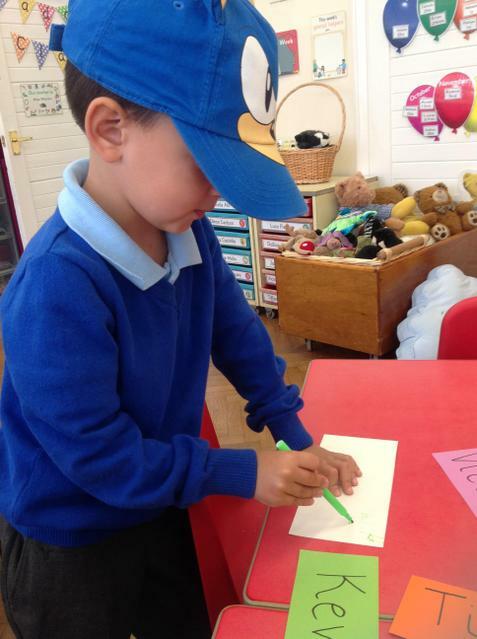 What a busy exciting week it was. 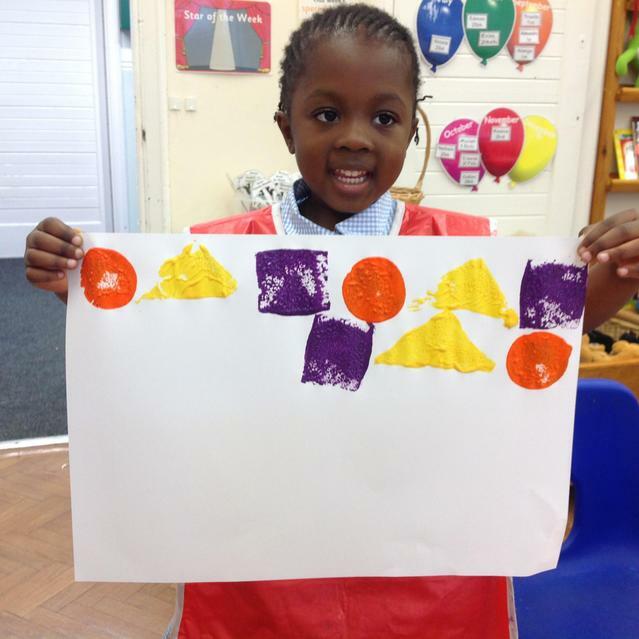 Take a look at what we got up to. 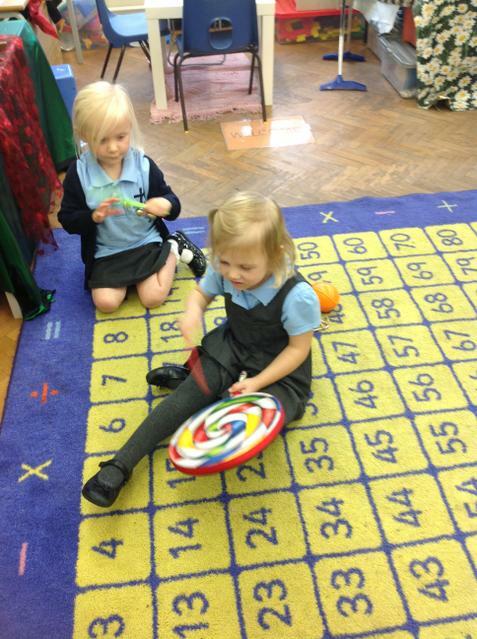 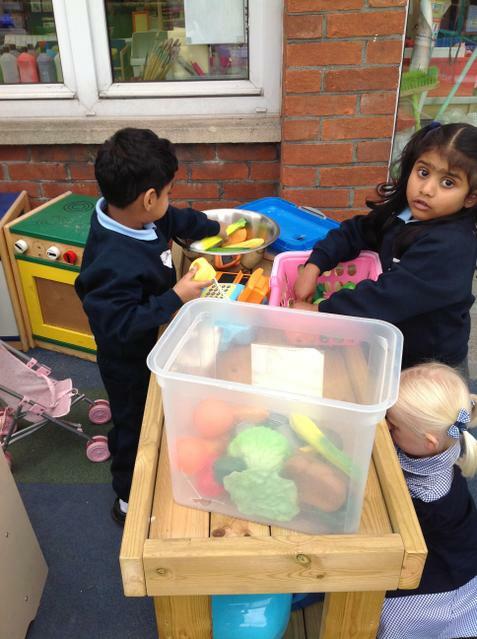 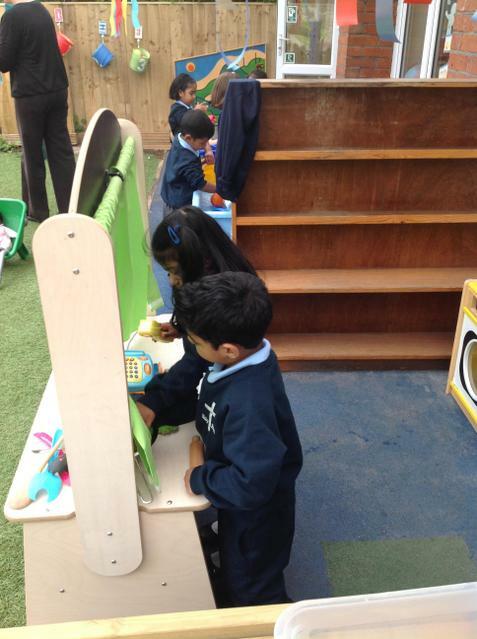 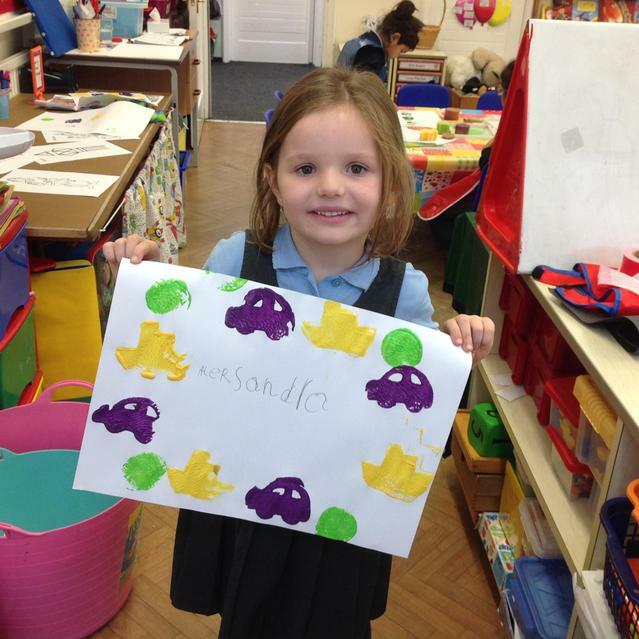 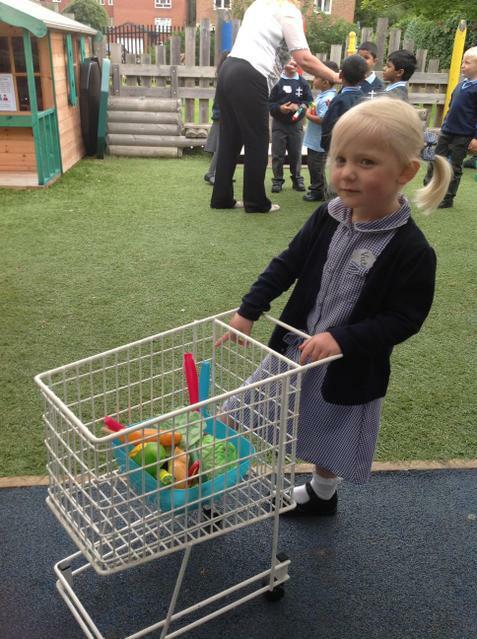 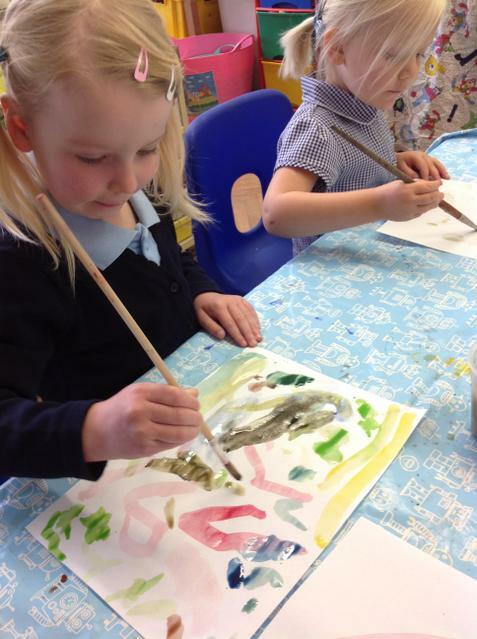 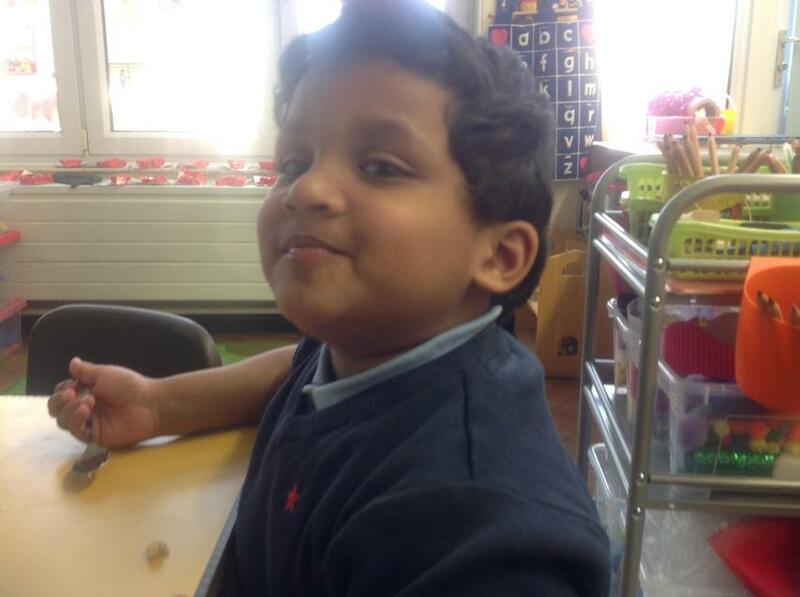 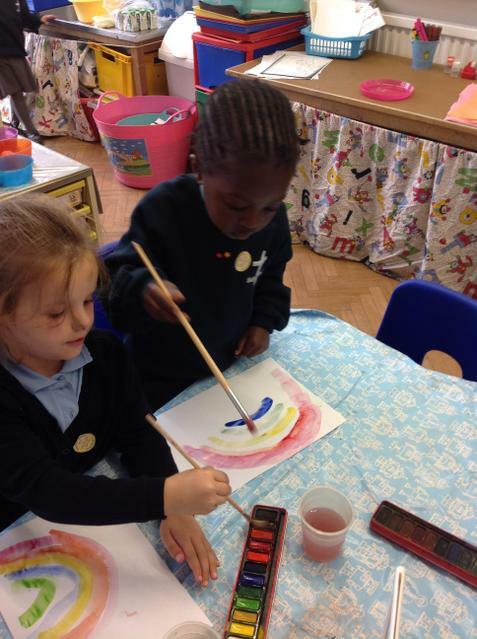 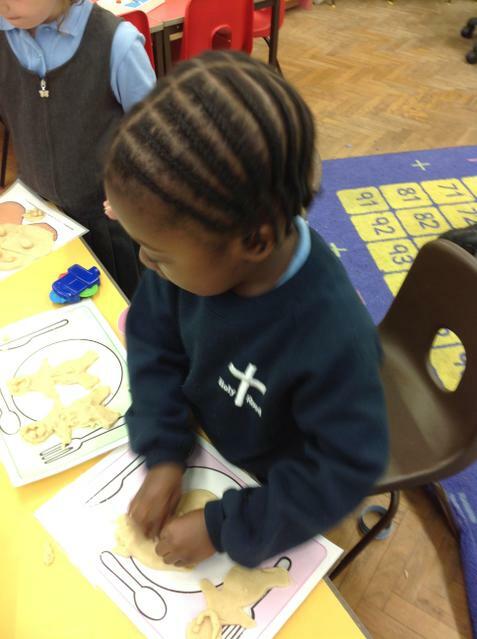 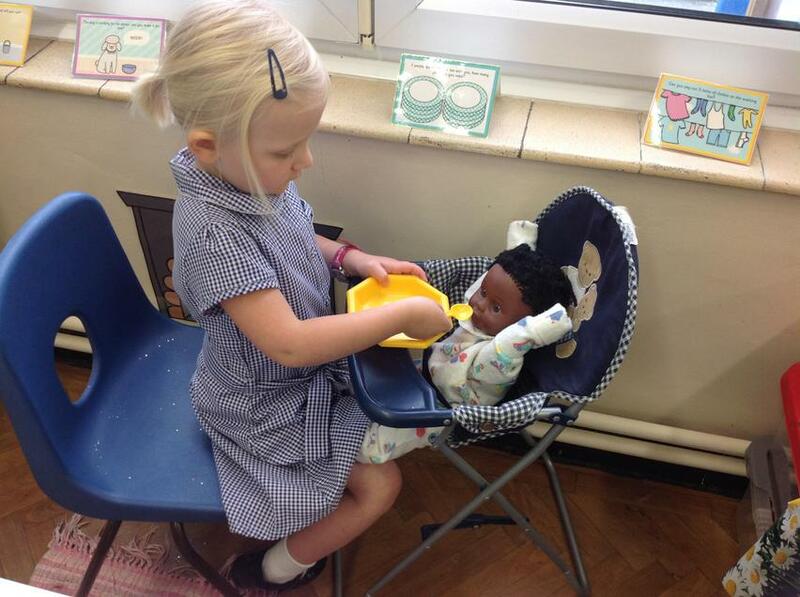 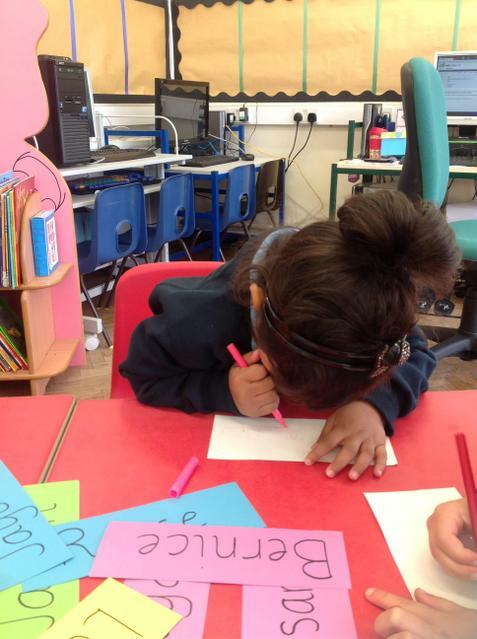 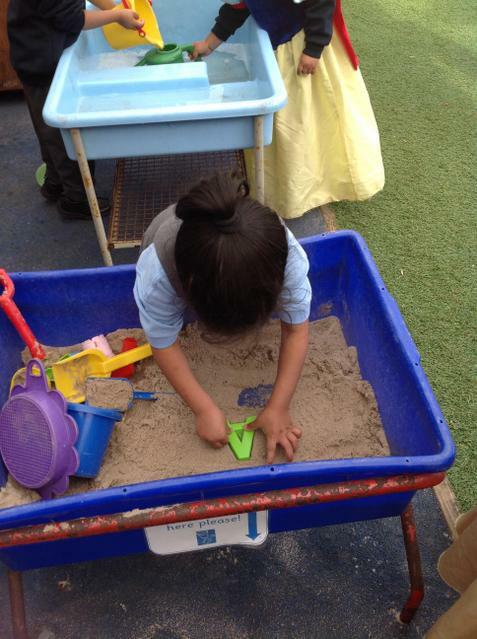 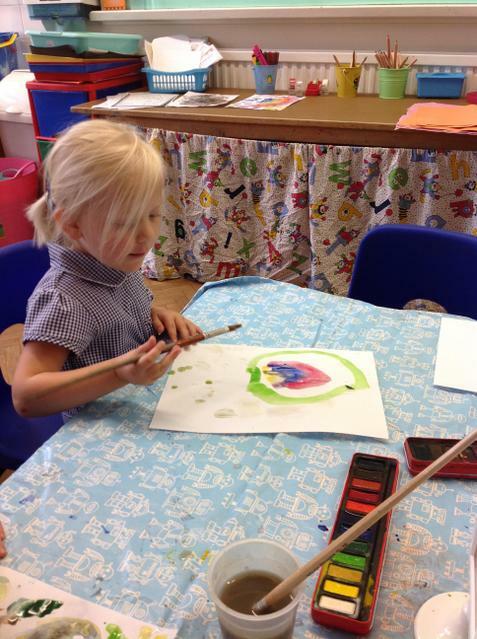 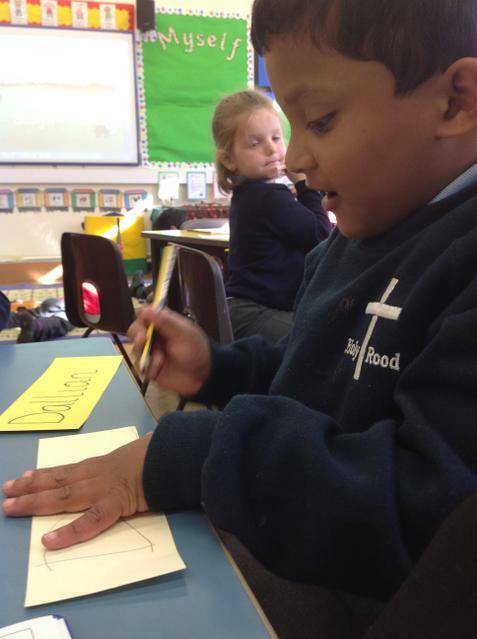 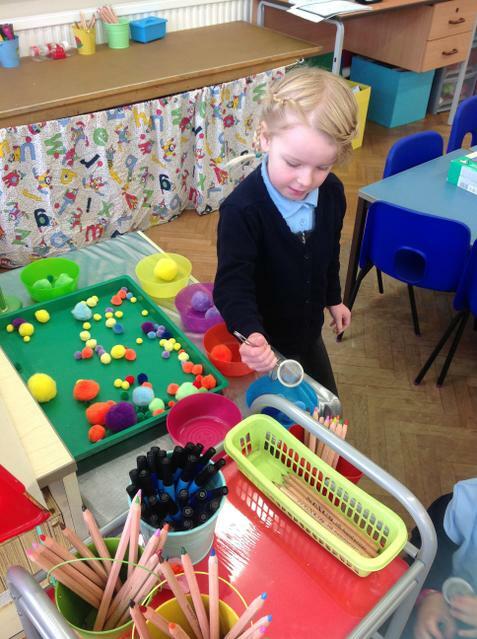 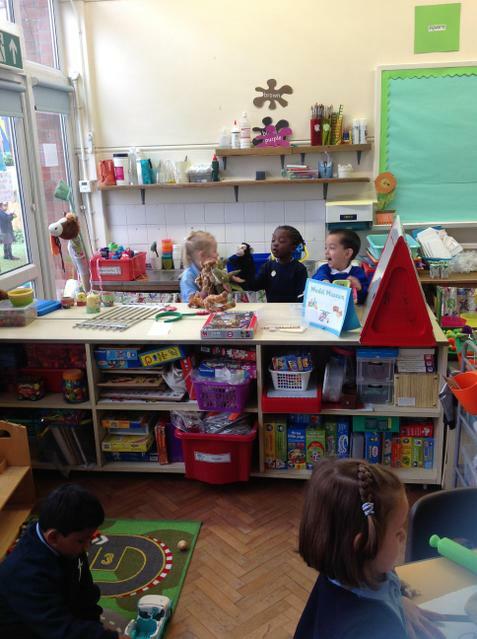 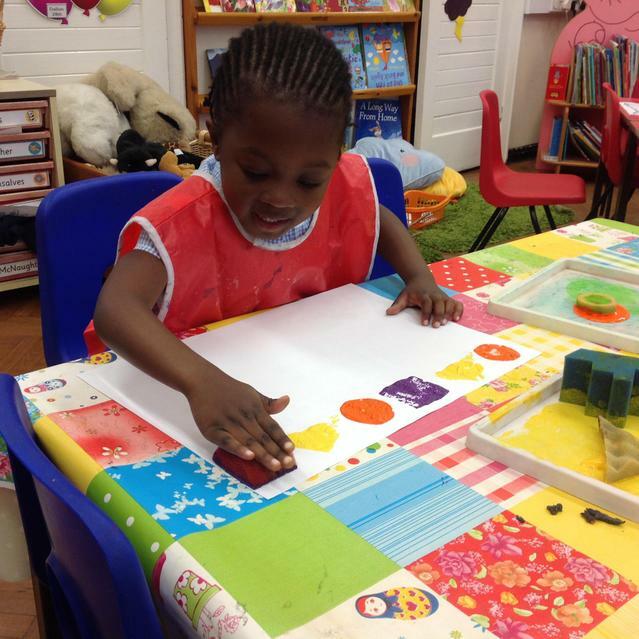 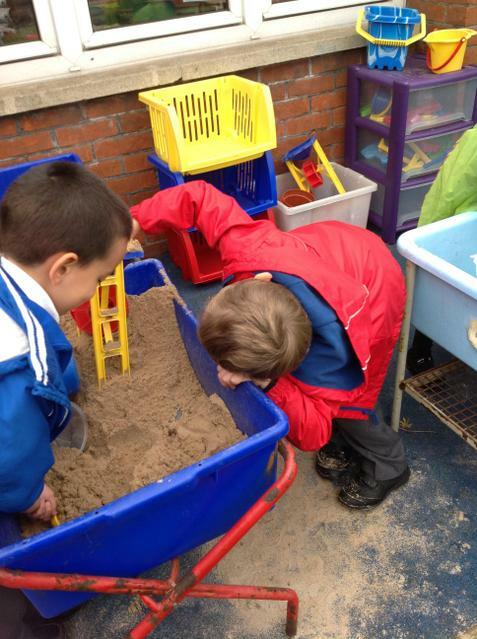 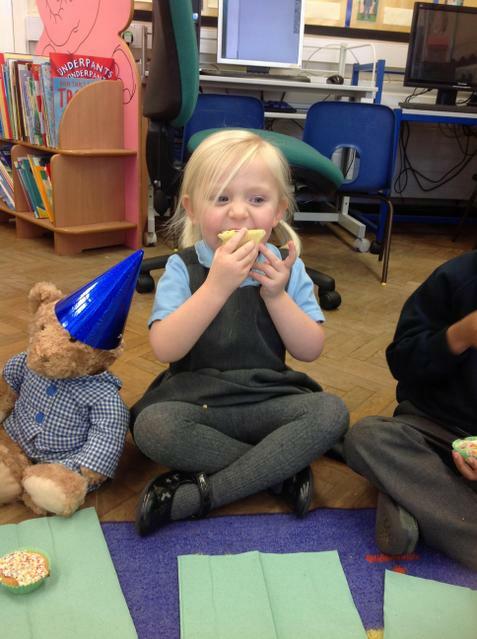 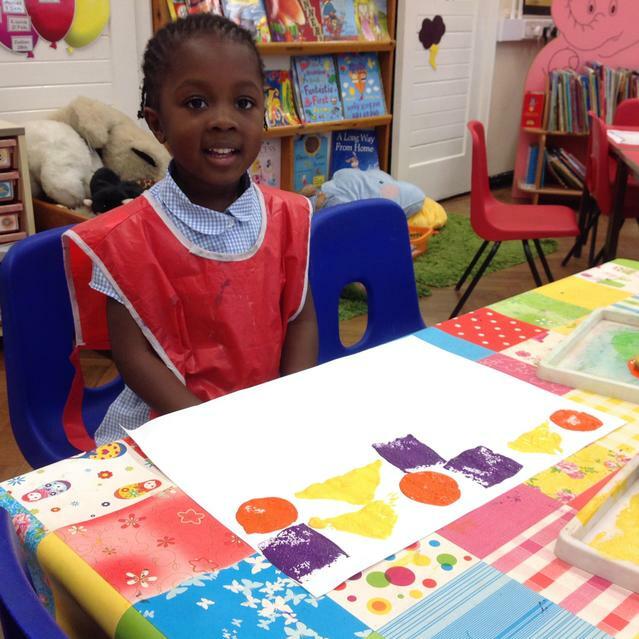 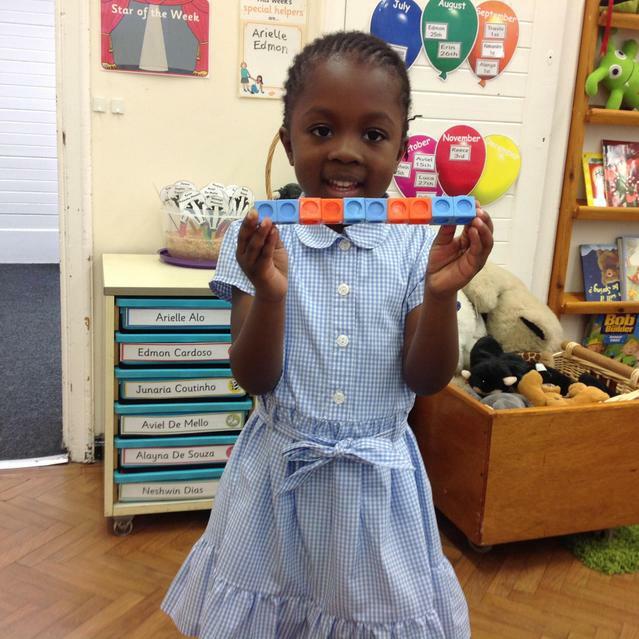 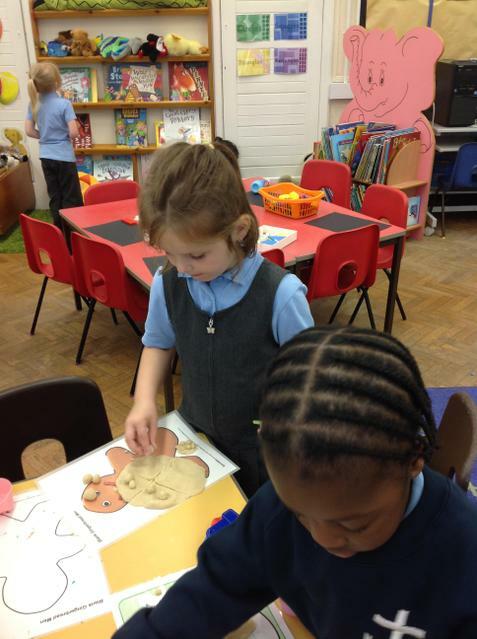 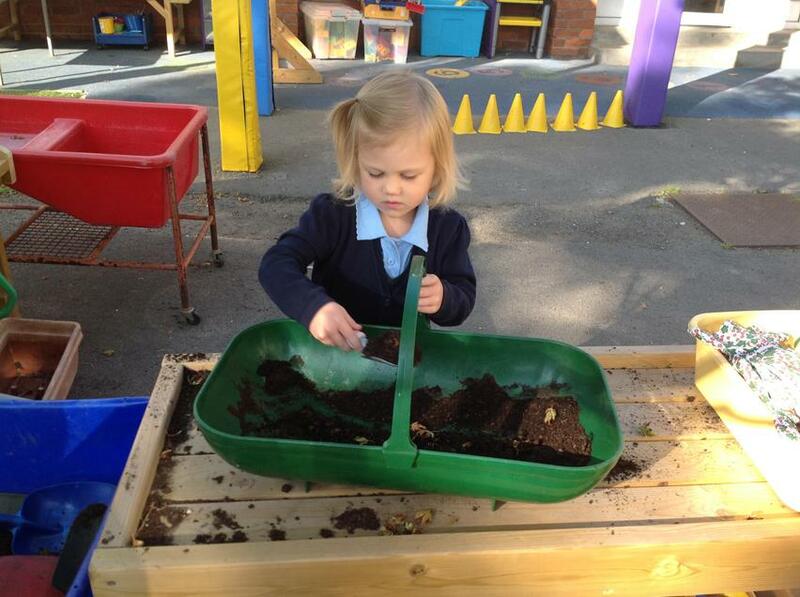 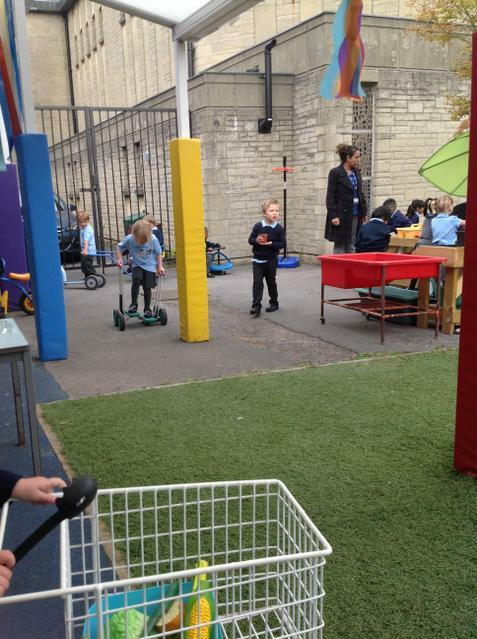 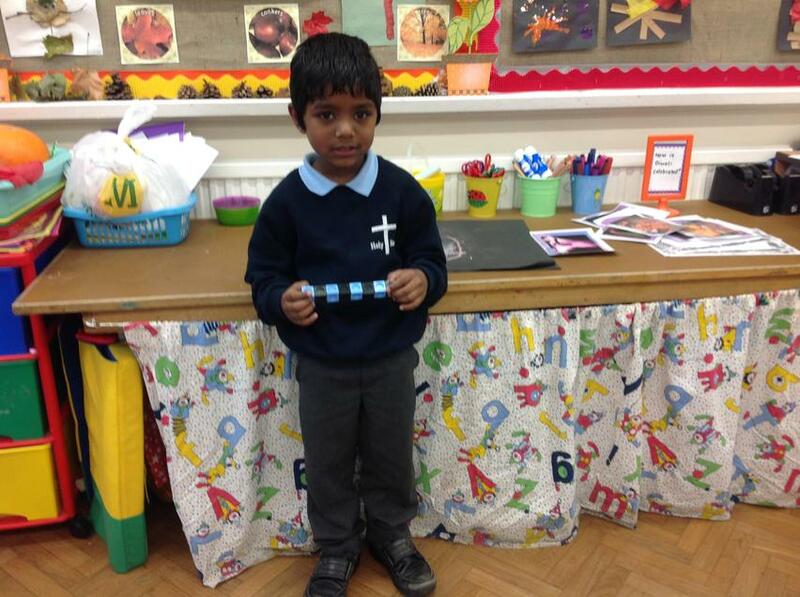 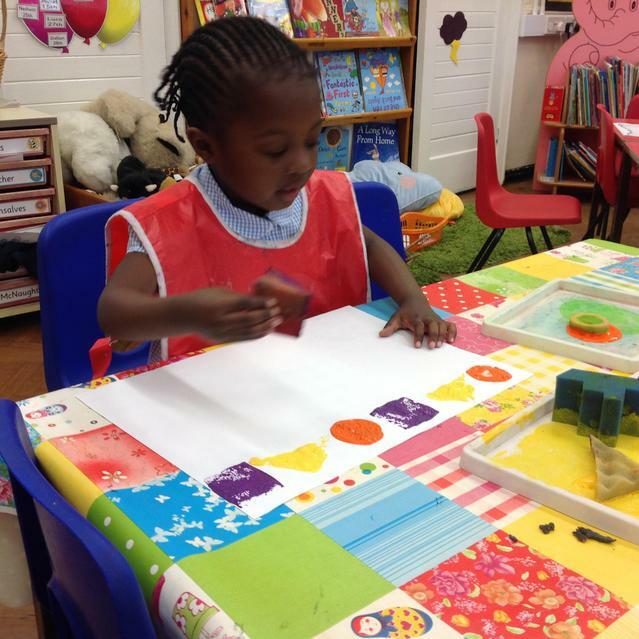 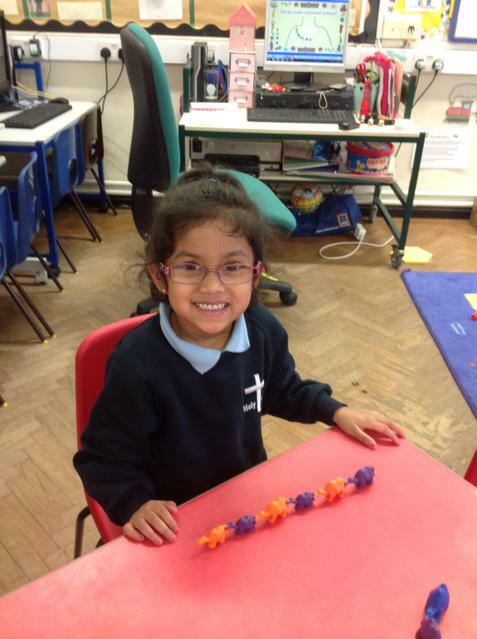 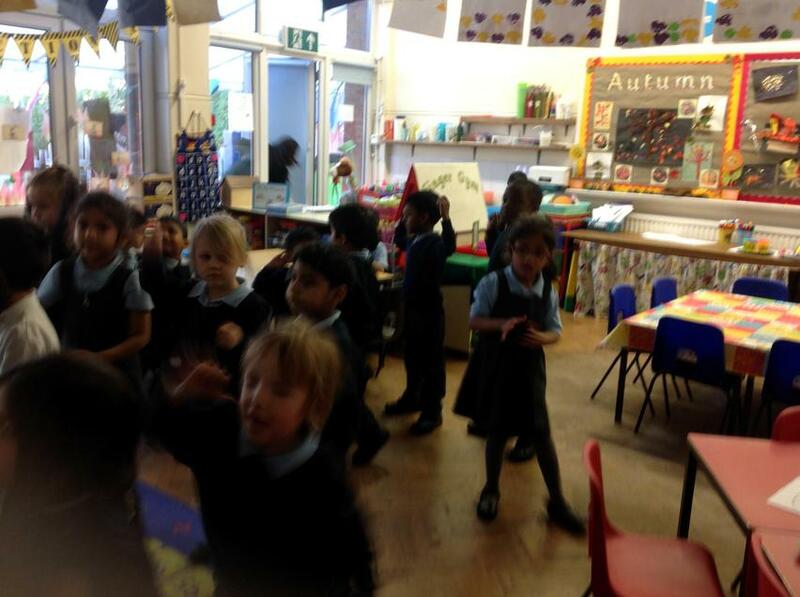 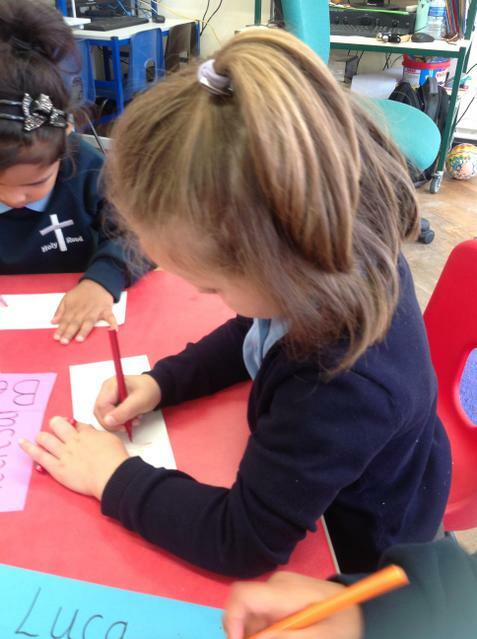 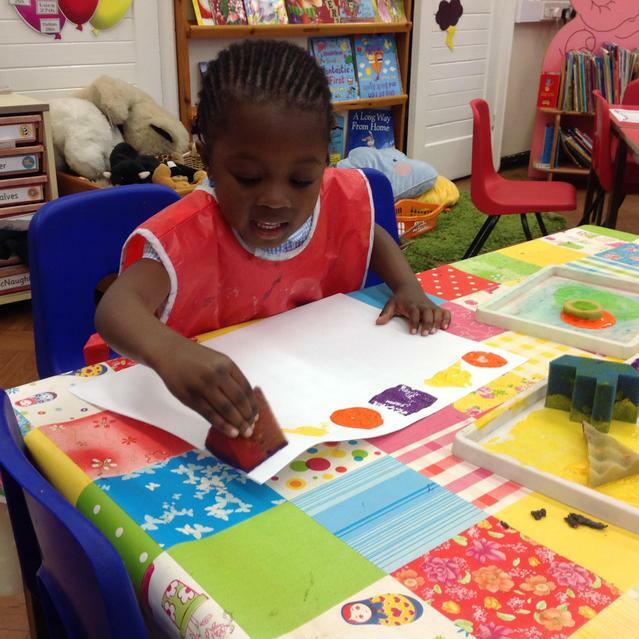 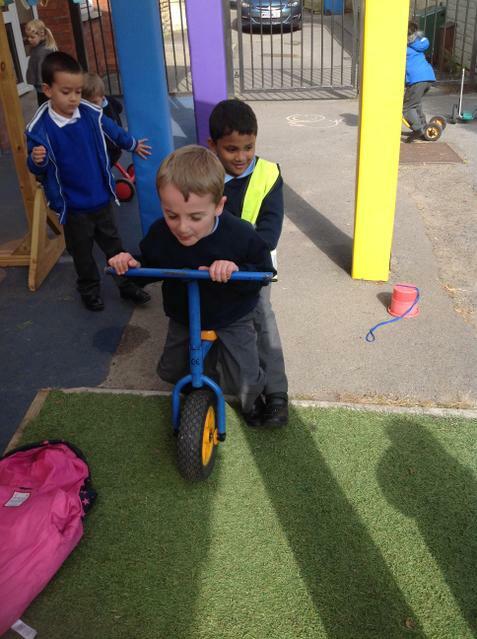 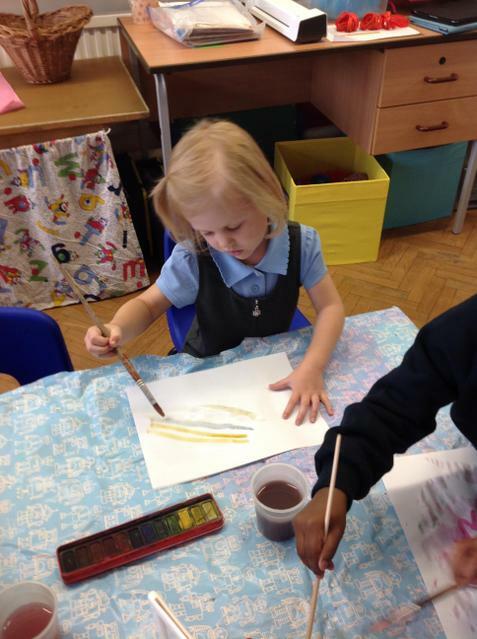 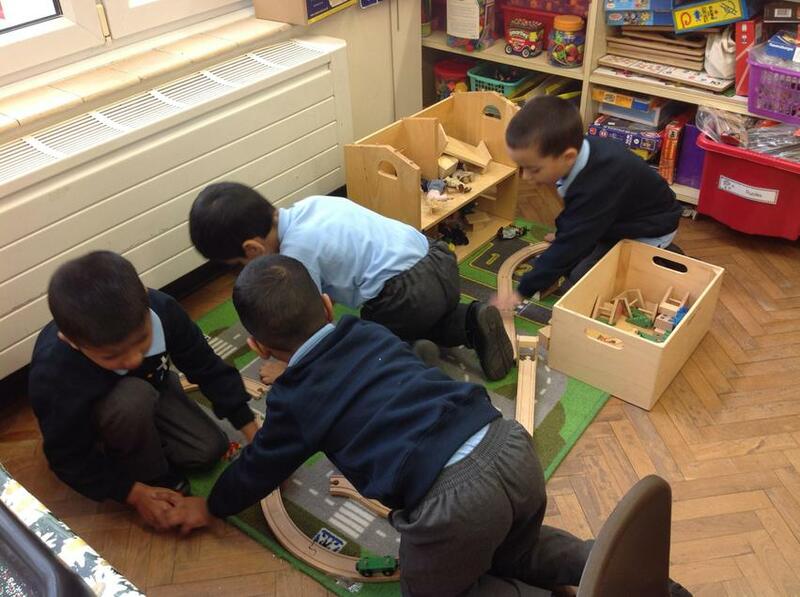 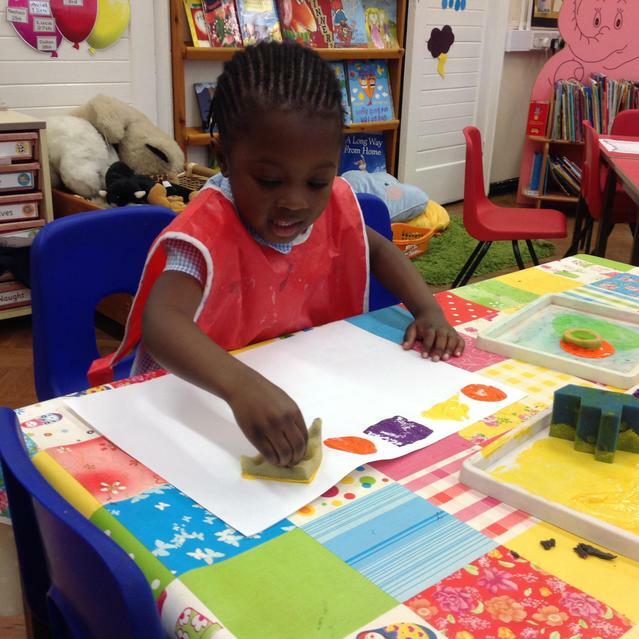 We have had great fun settling into school.